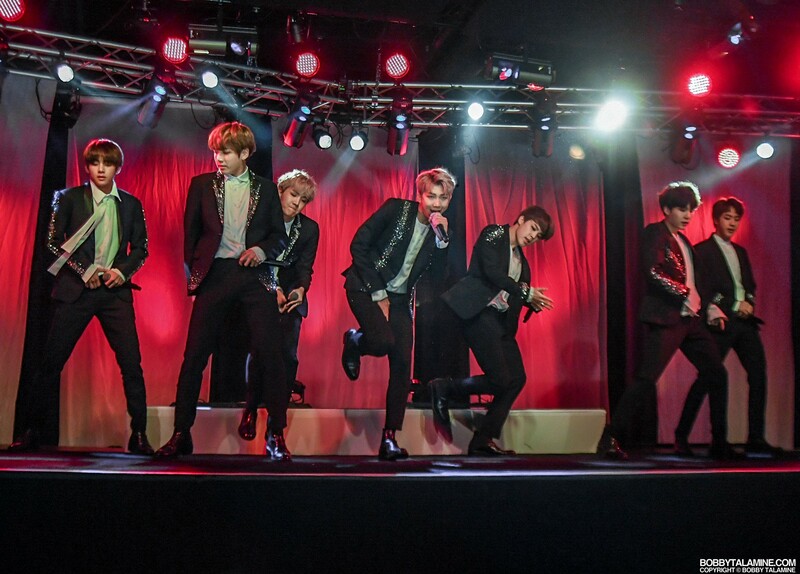 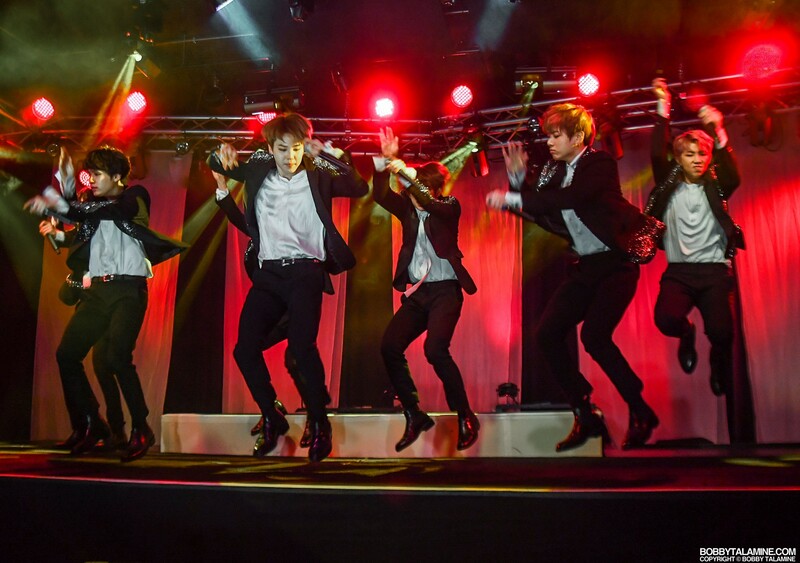 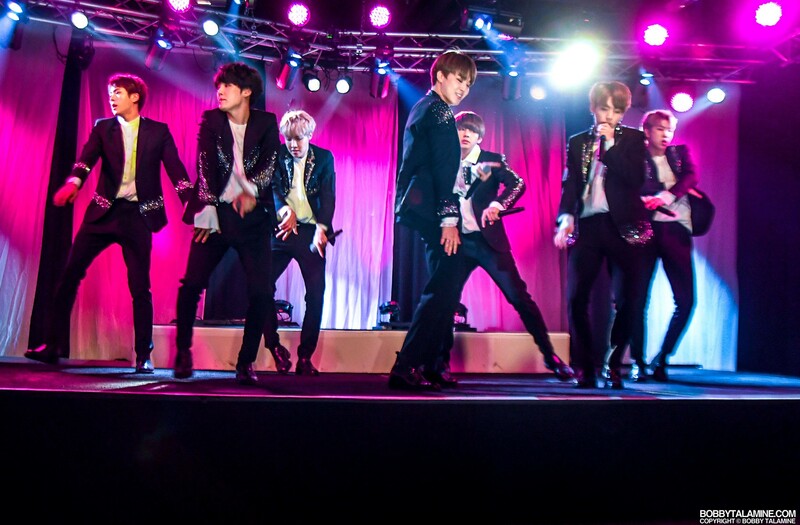 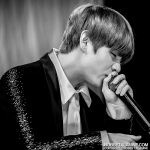 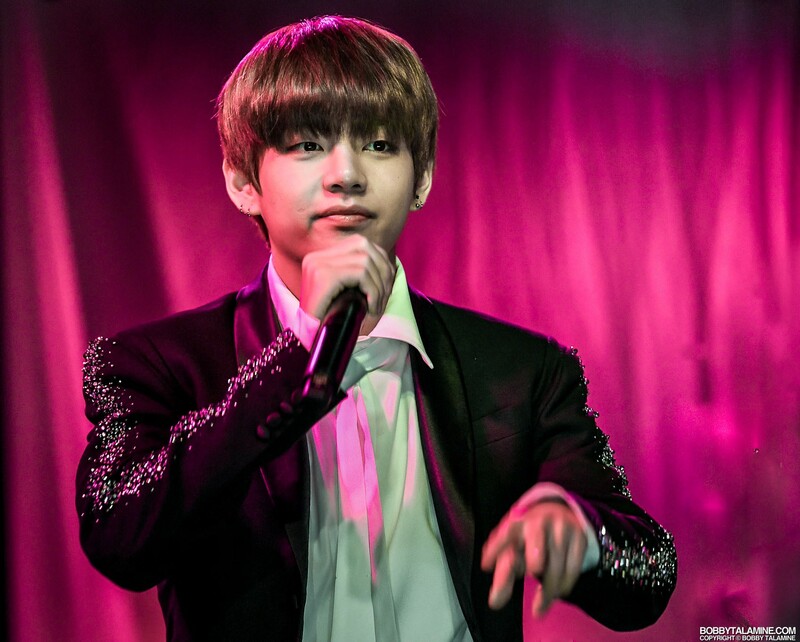 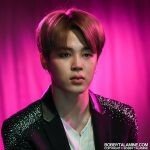 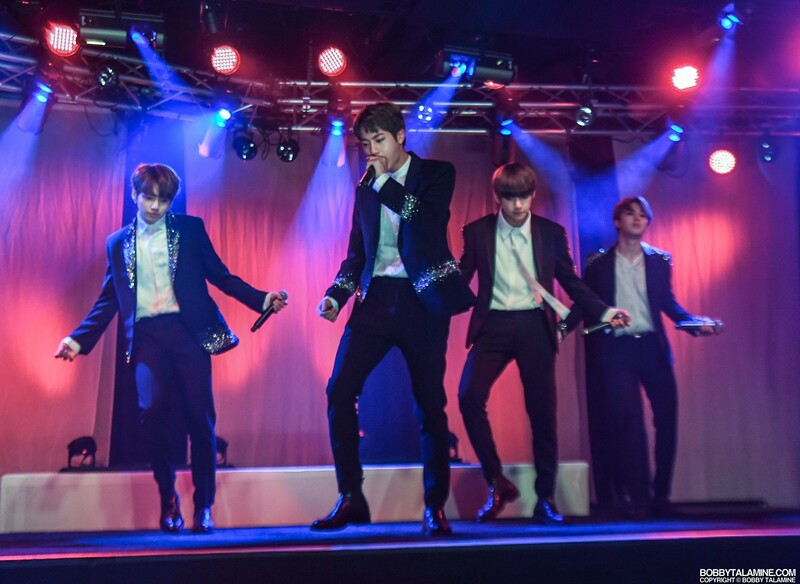 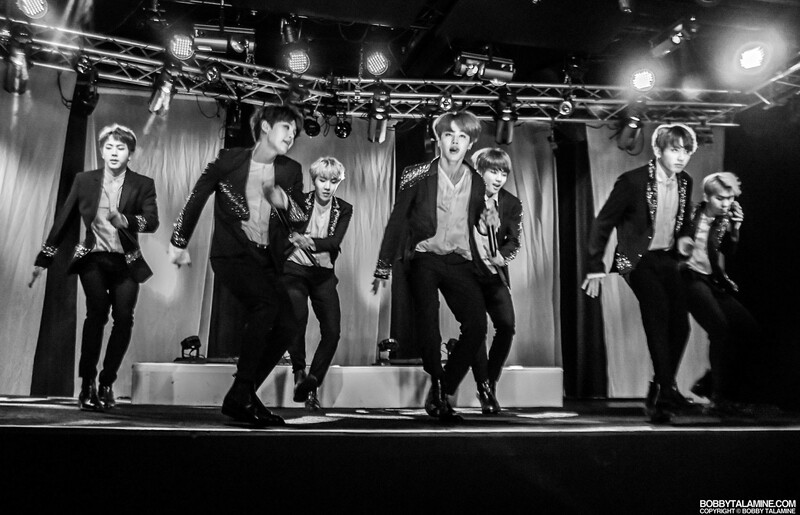 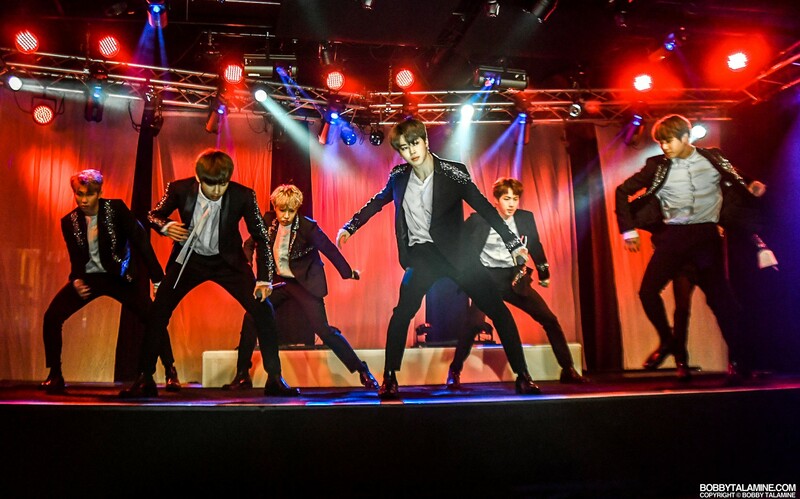 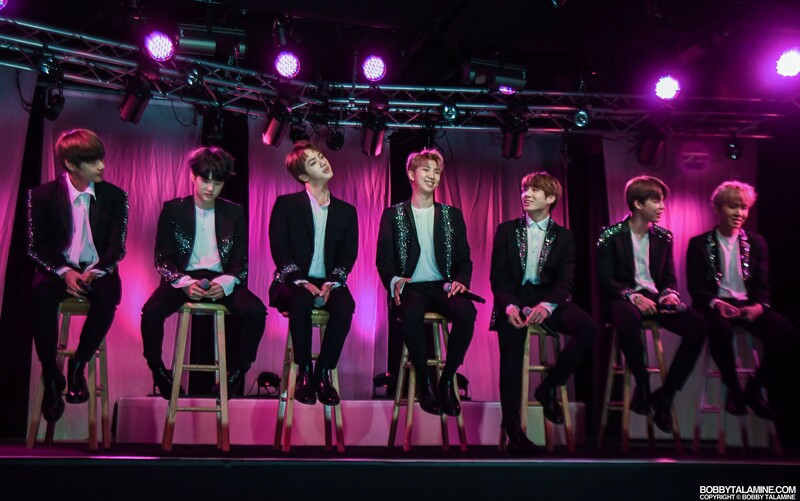 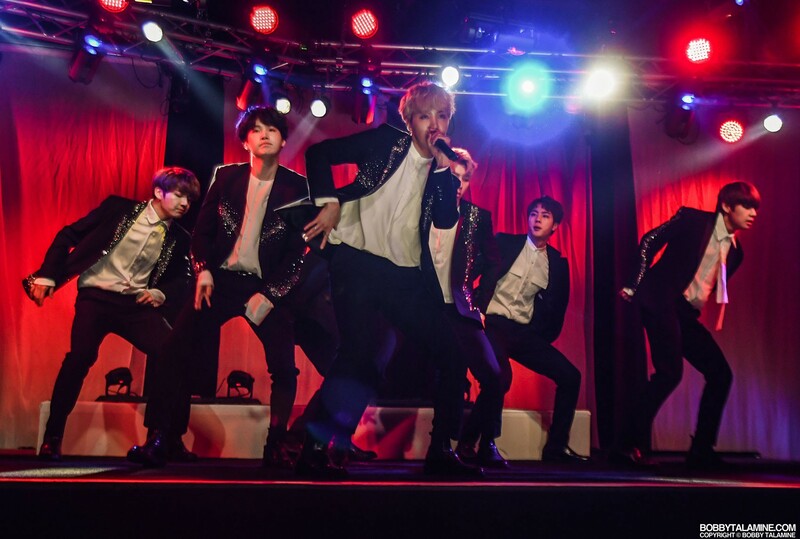 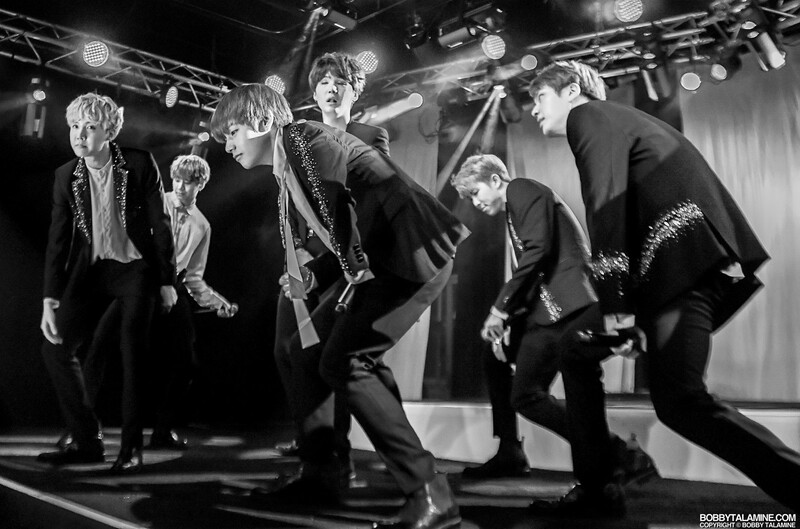 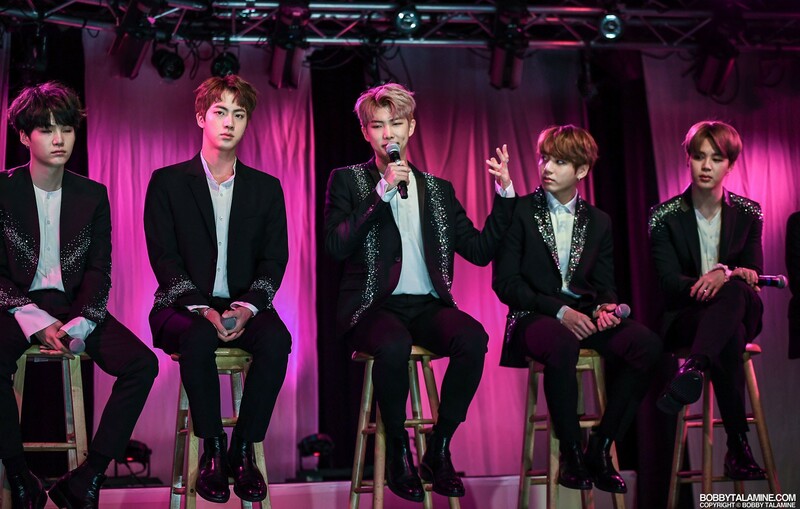 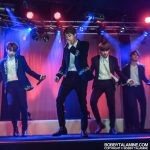 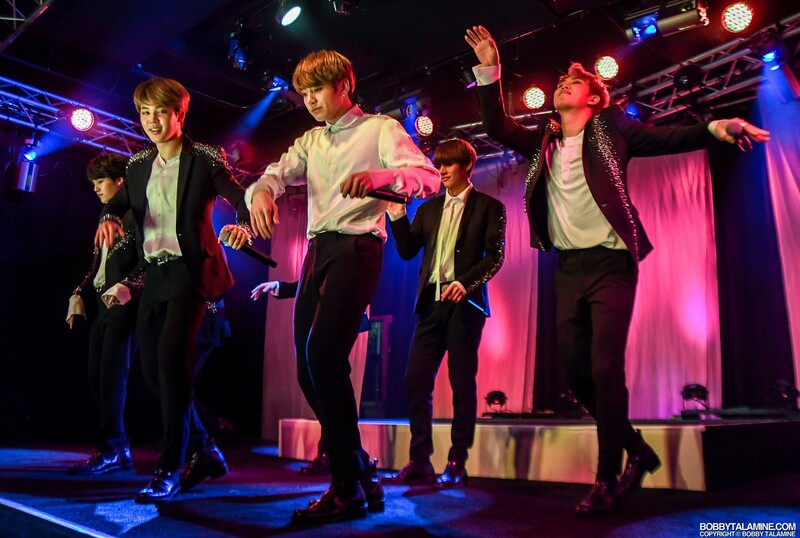 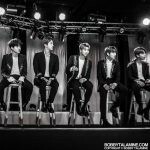 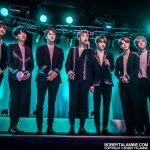 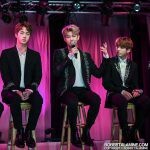 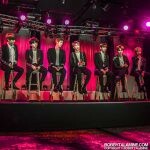 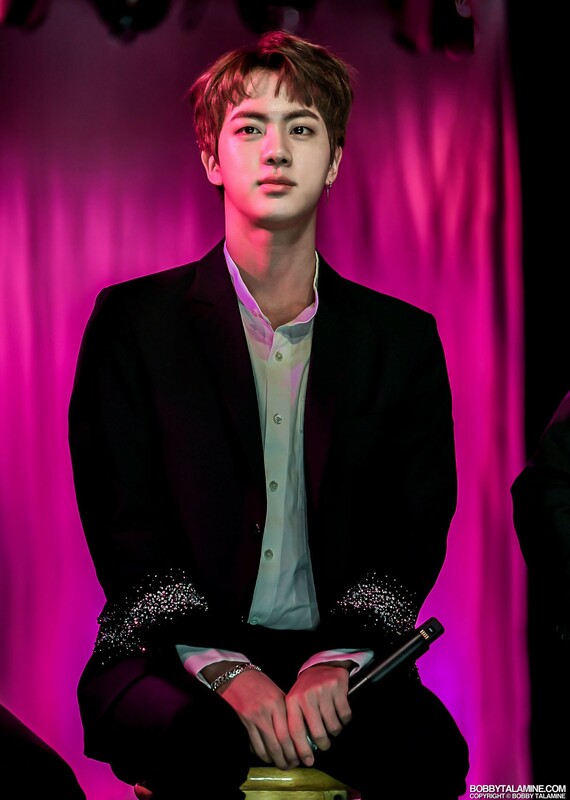 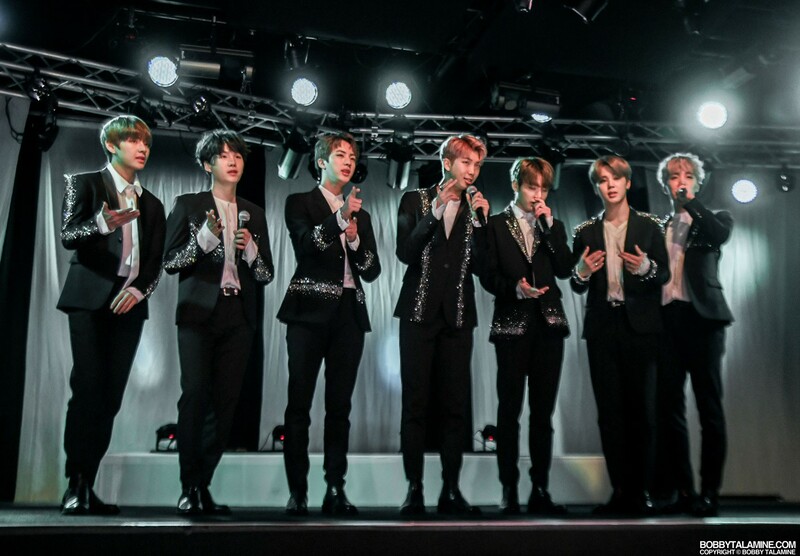 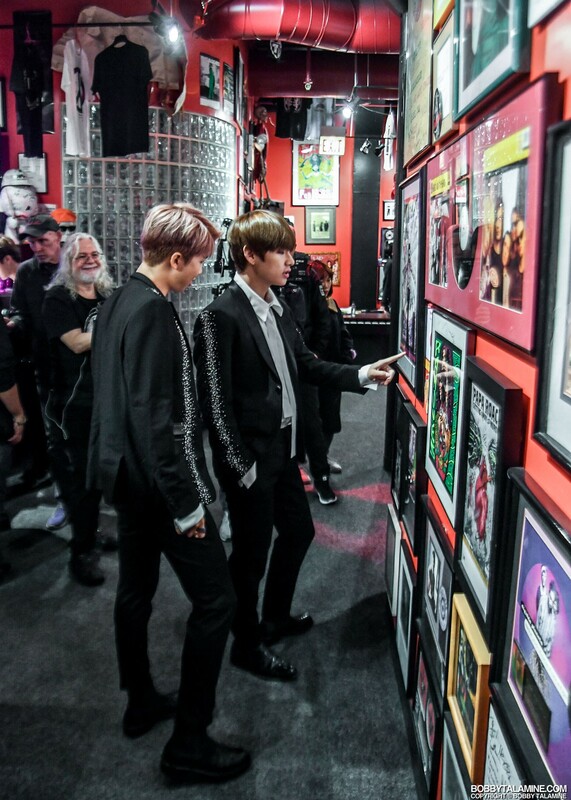 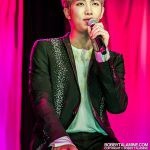 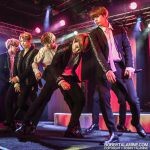 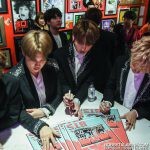 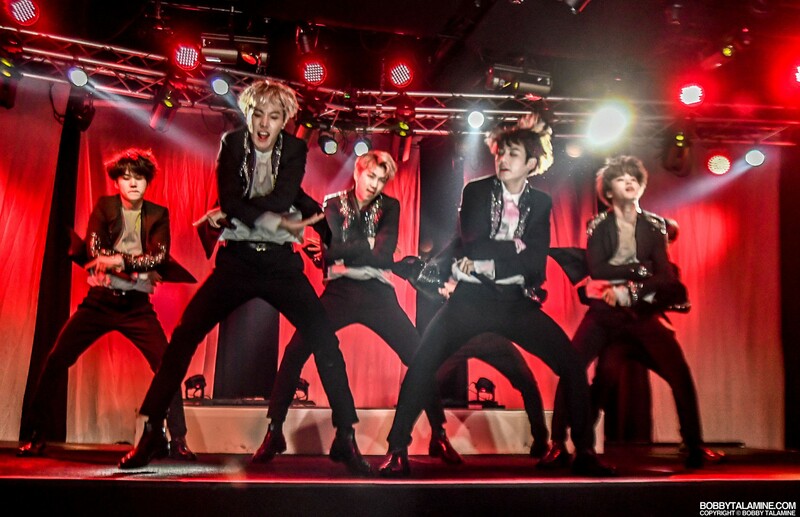 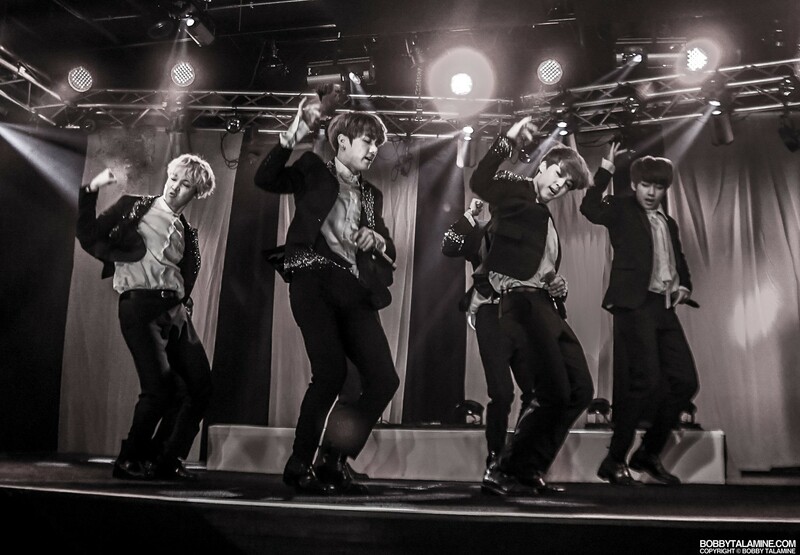 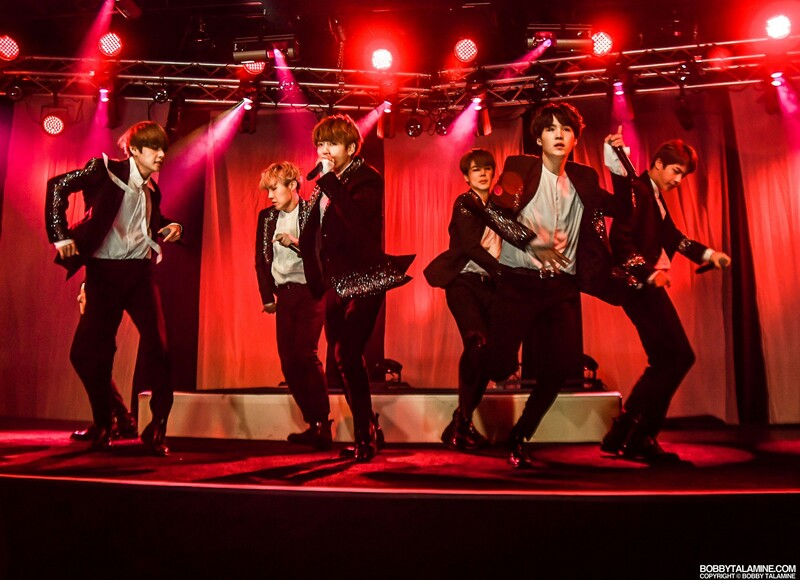 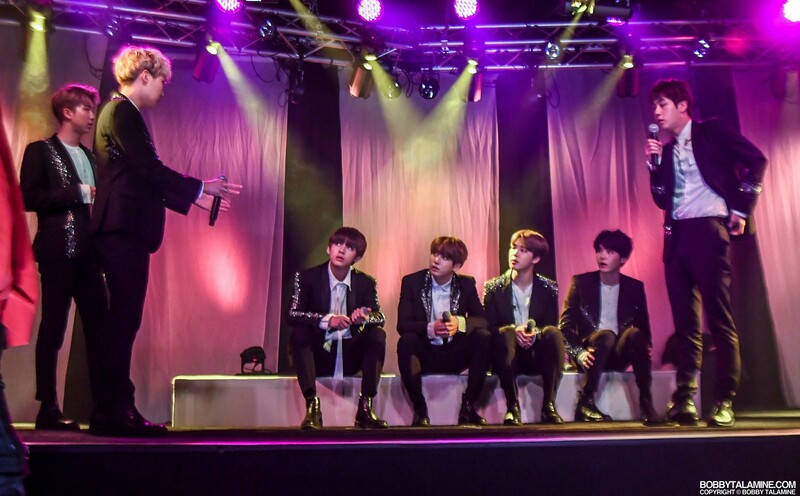 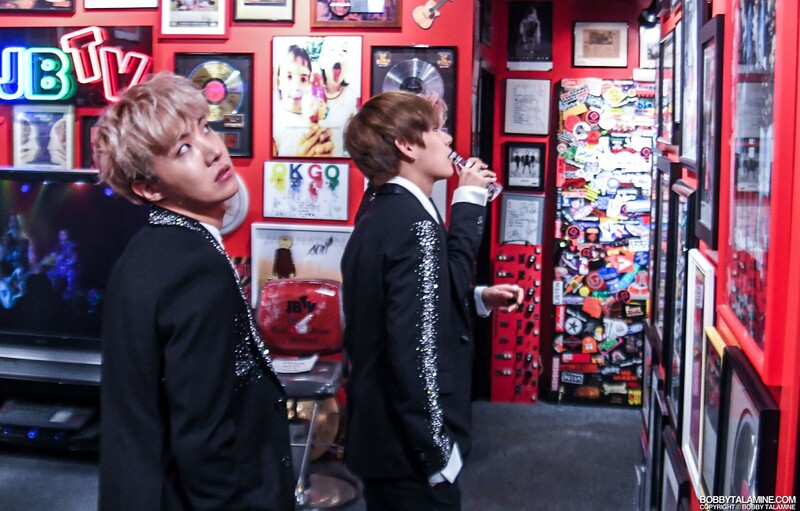 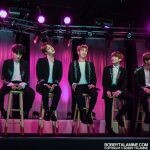 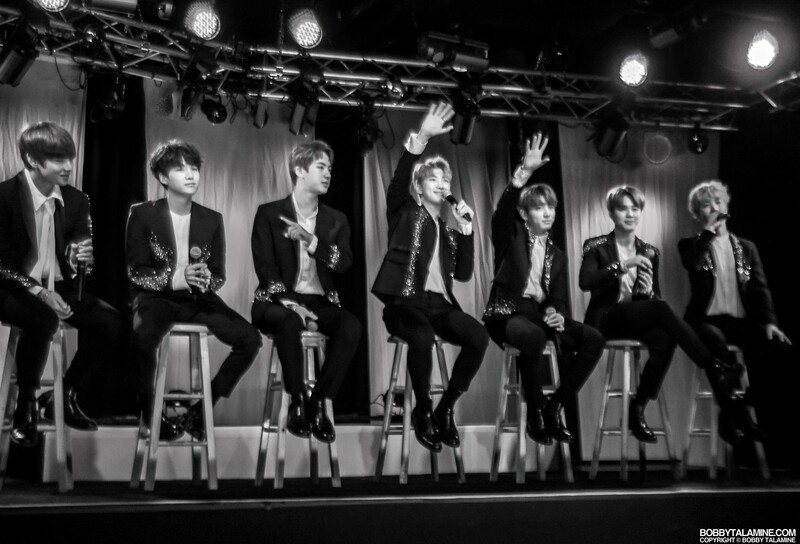 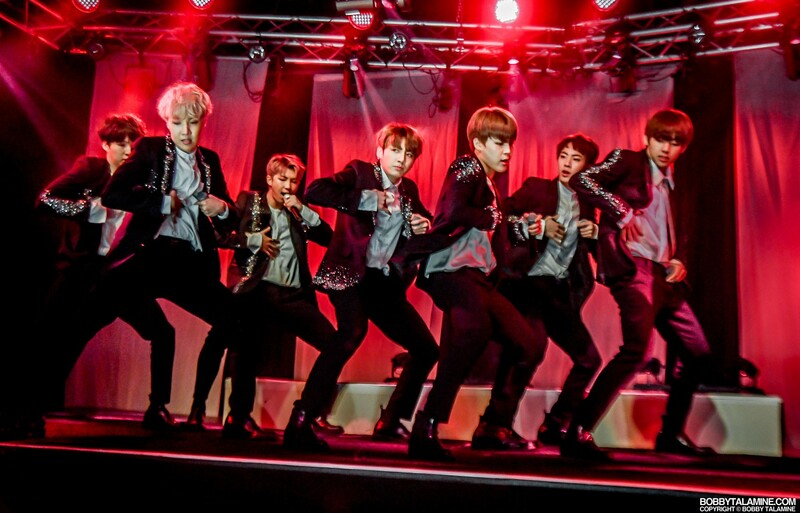 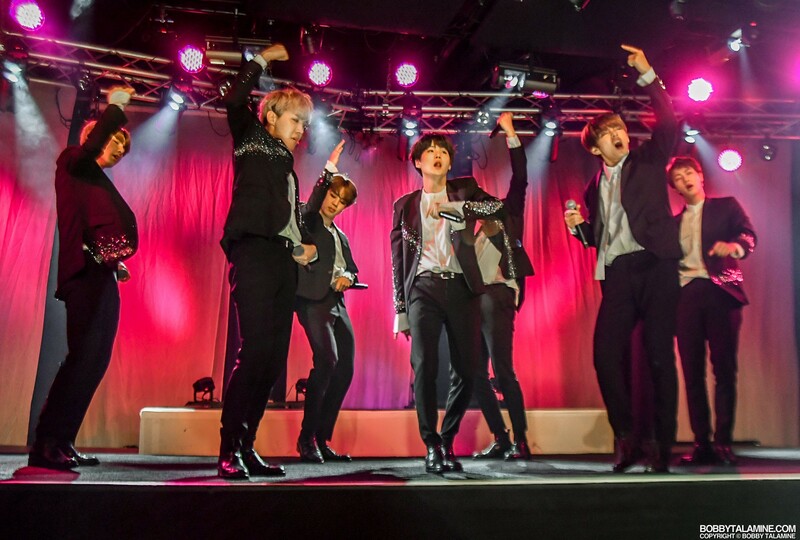 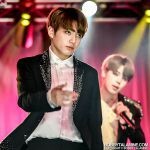 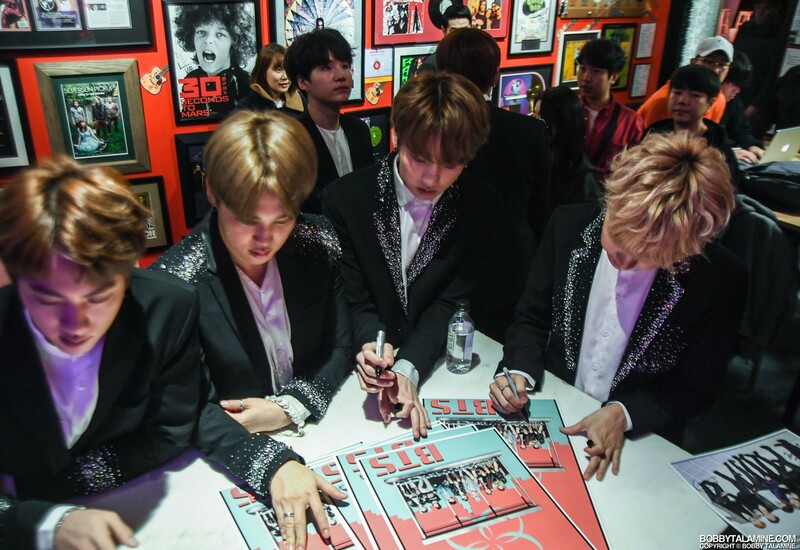 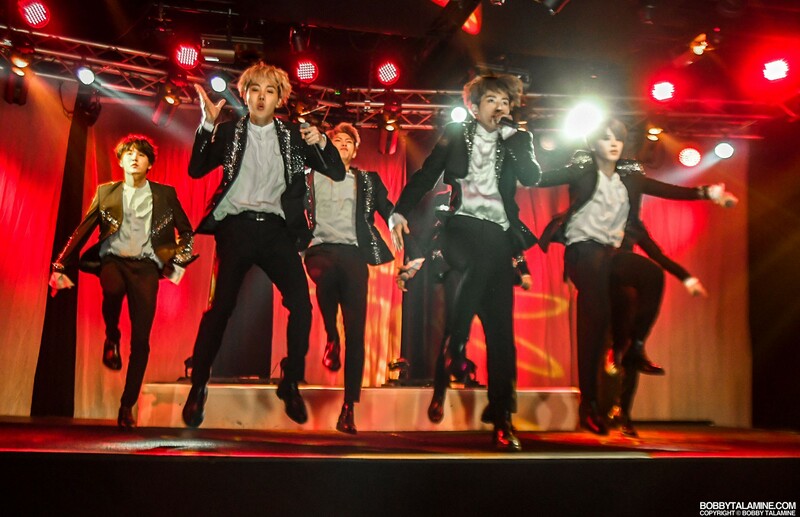 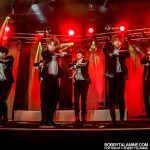 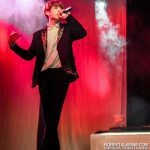 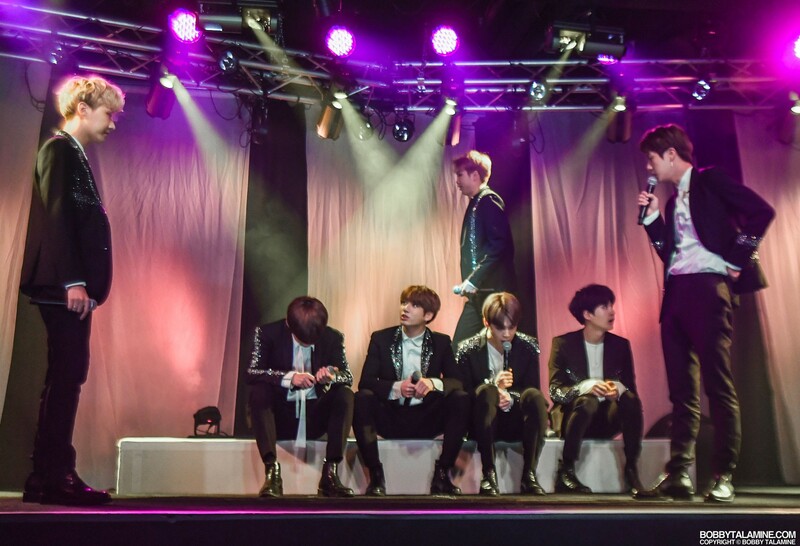 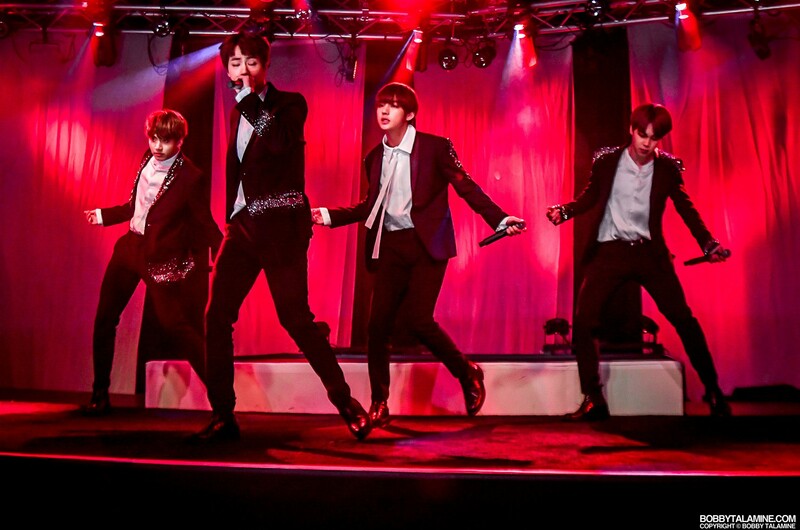 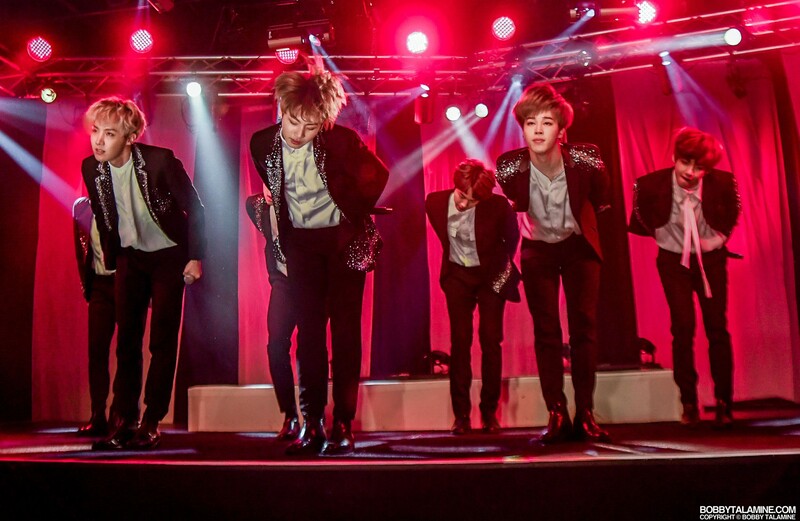 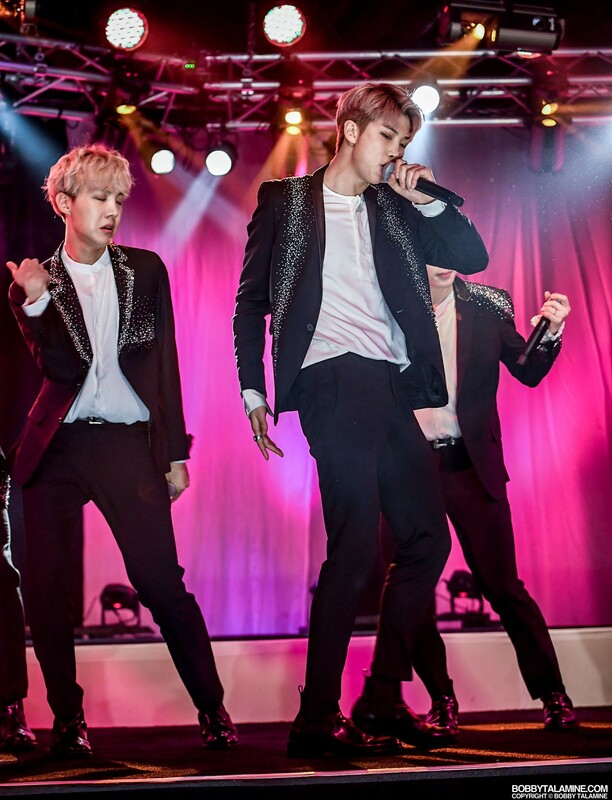 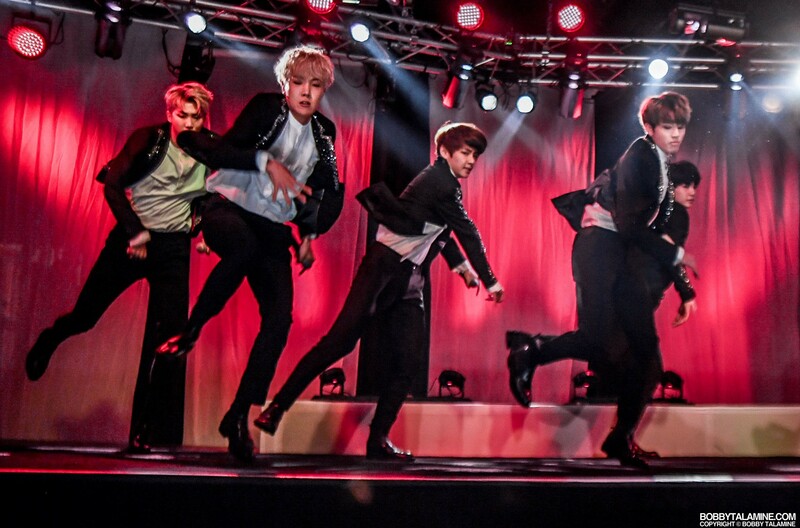 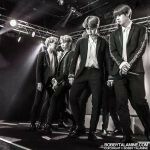 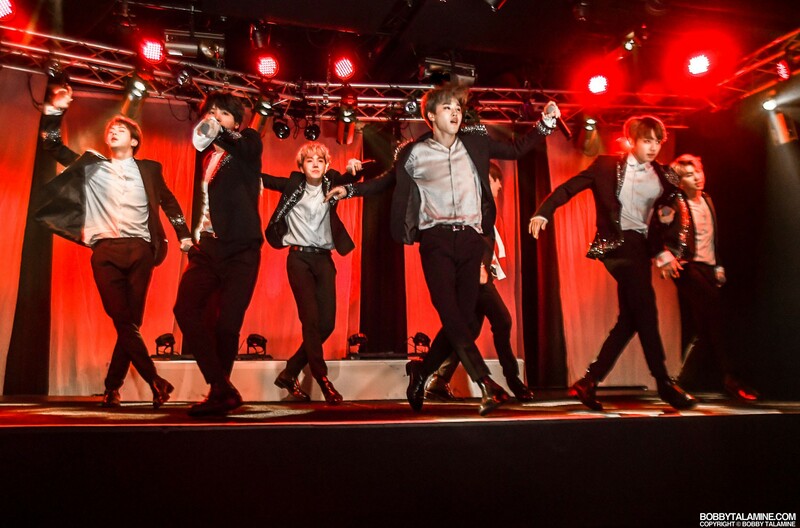 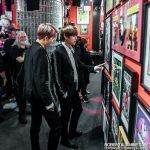 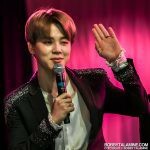 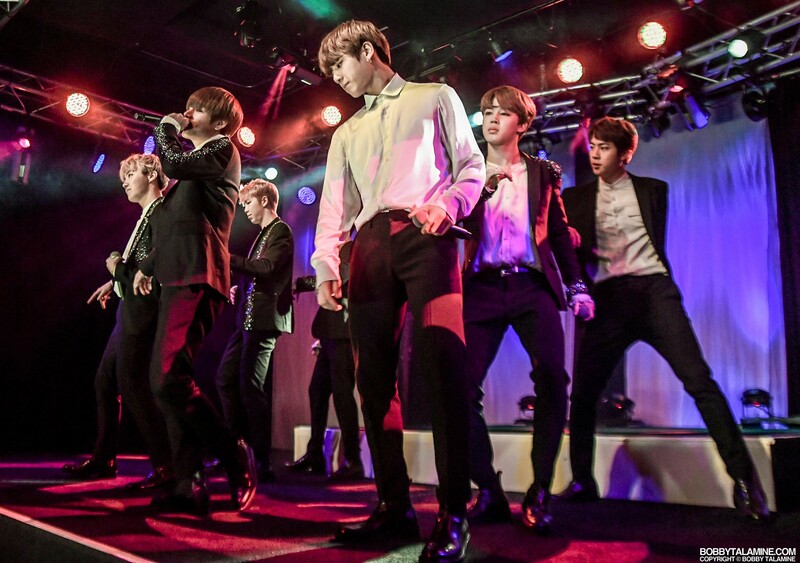 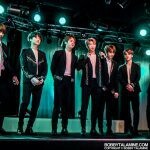 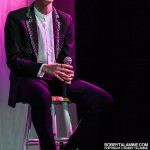 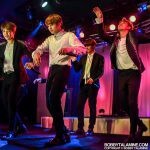 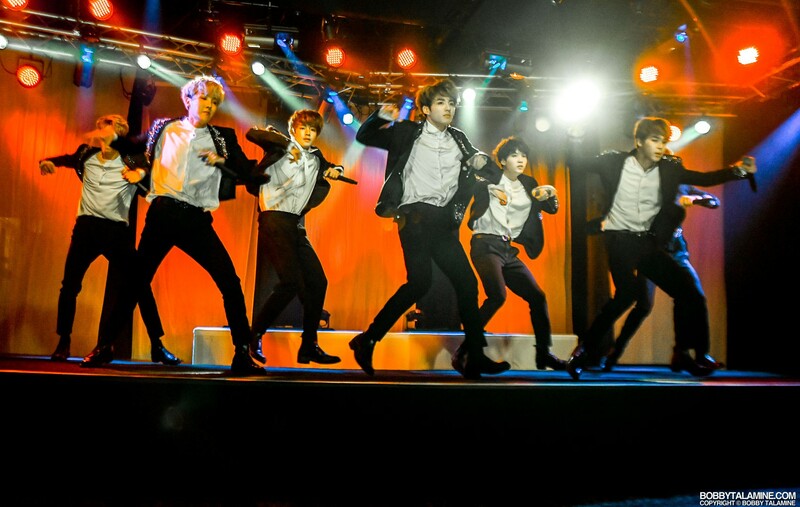 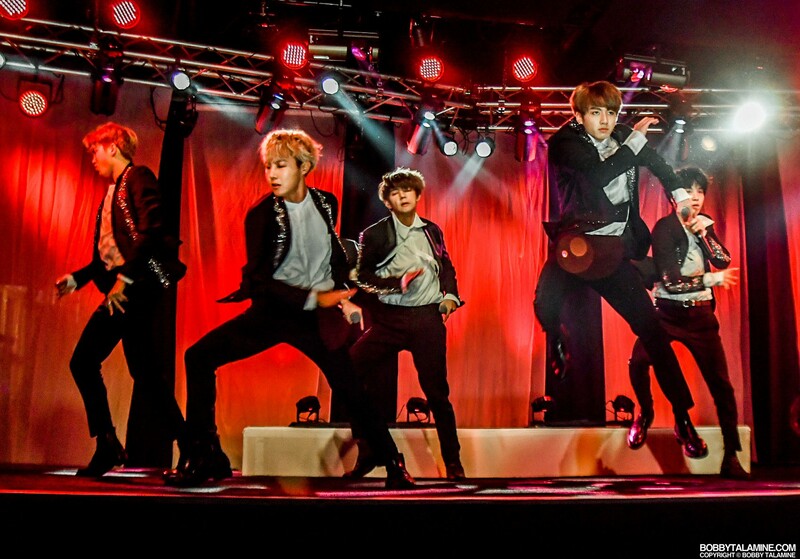 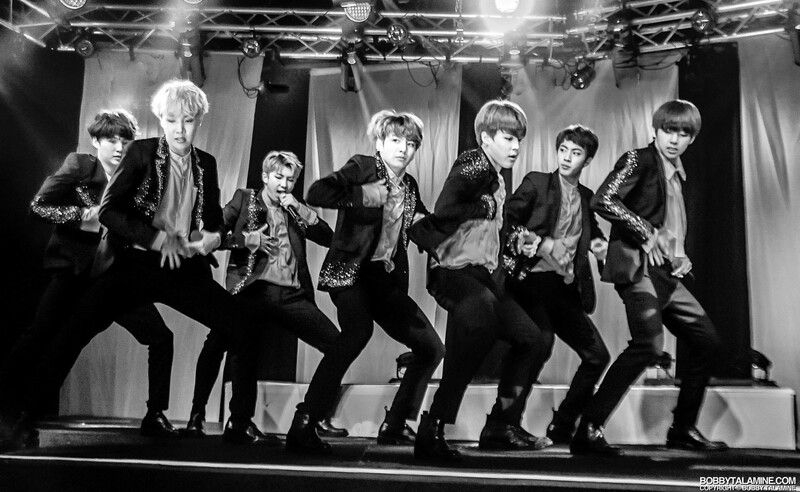 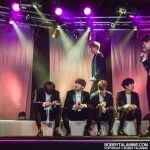 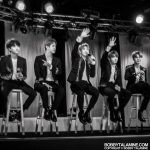 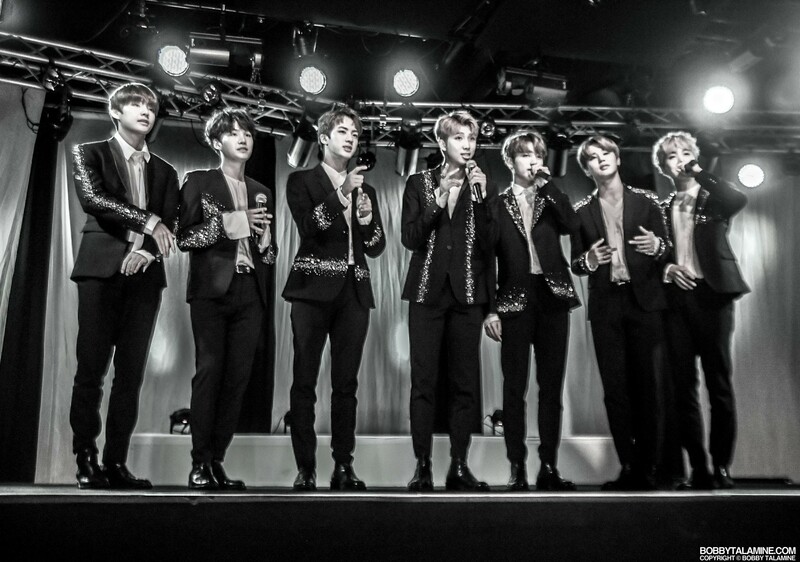 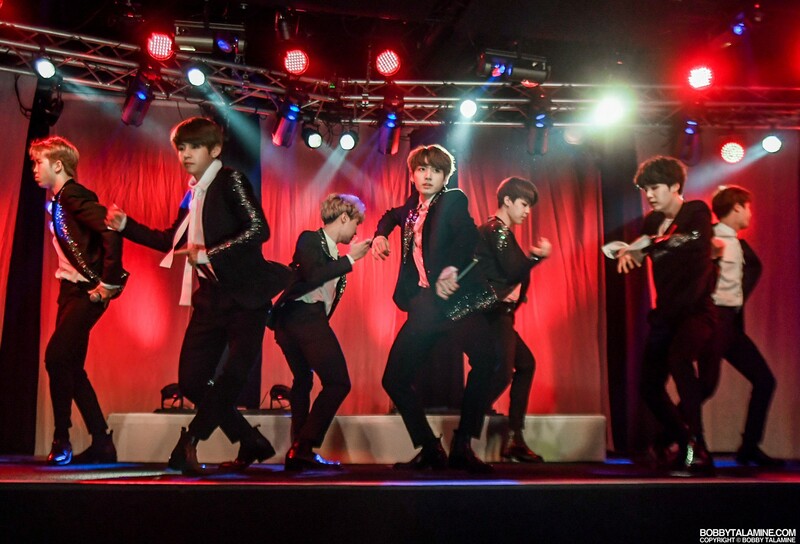 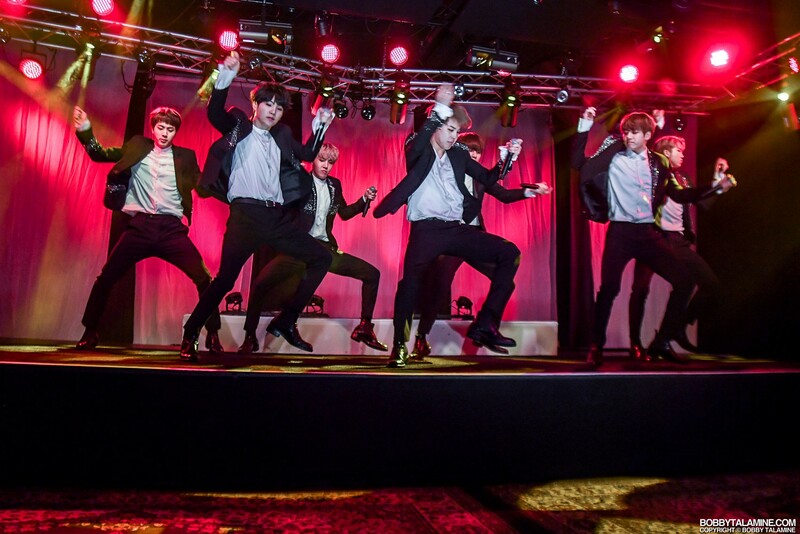 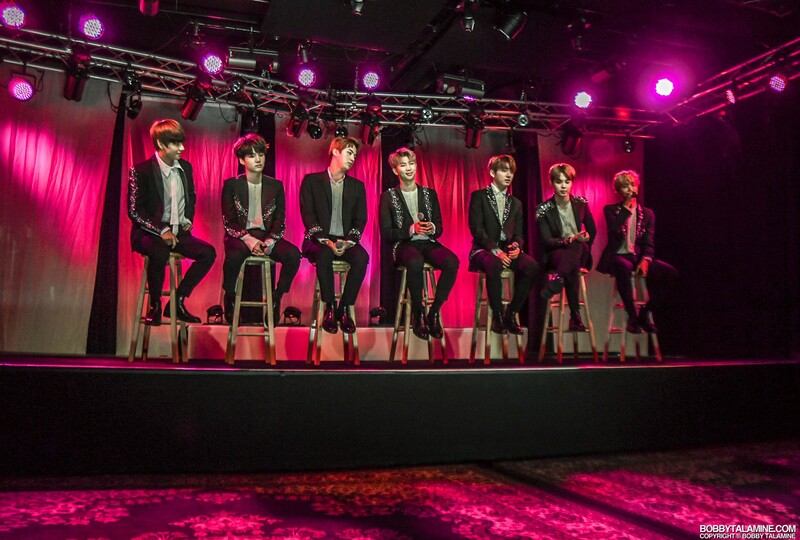 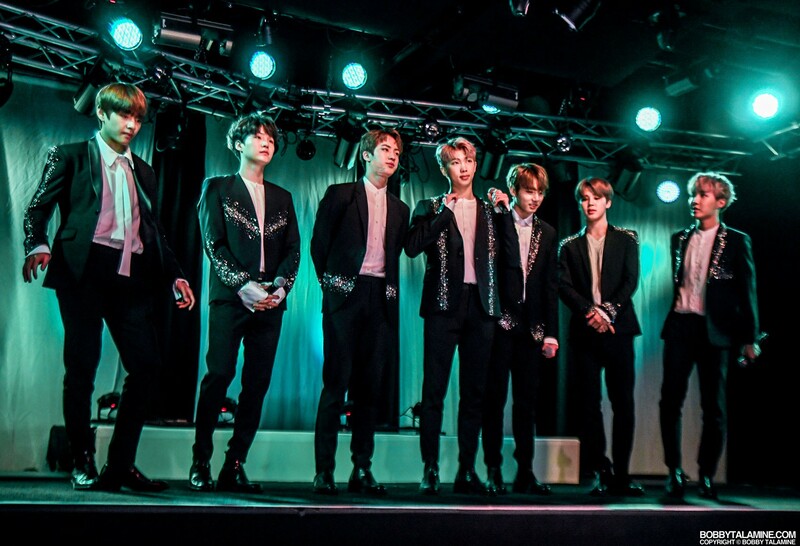 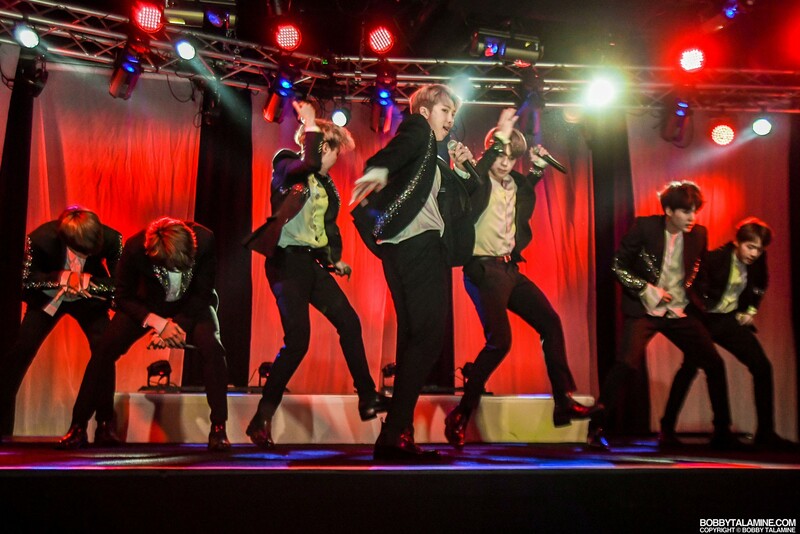 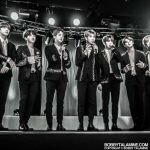 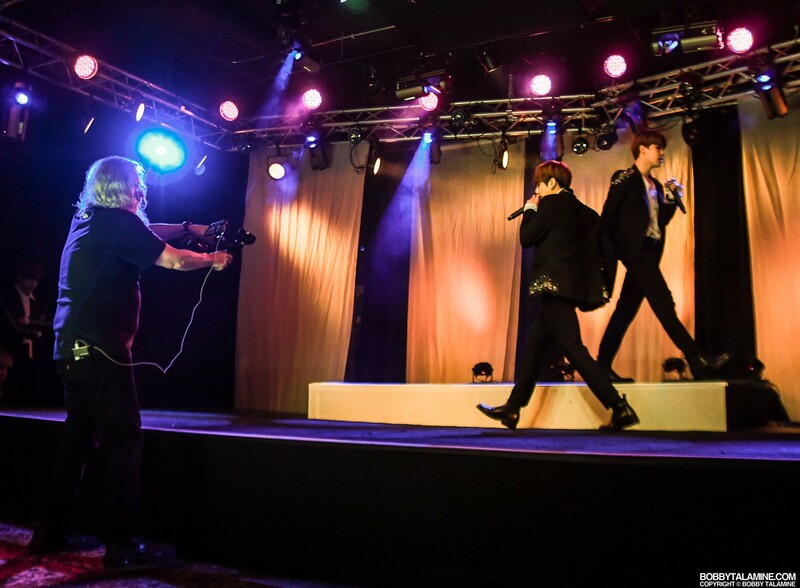 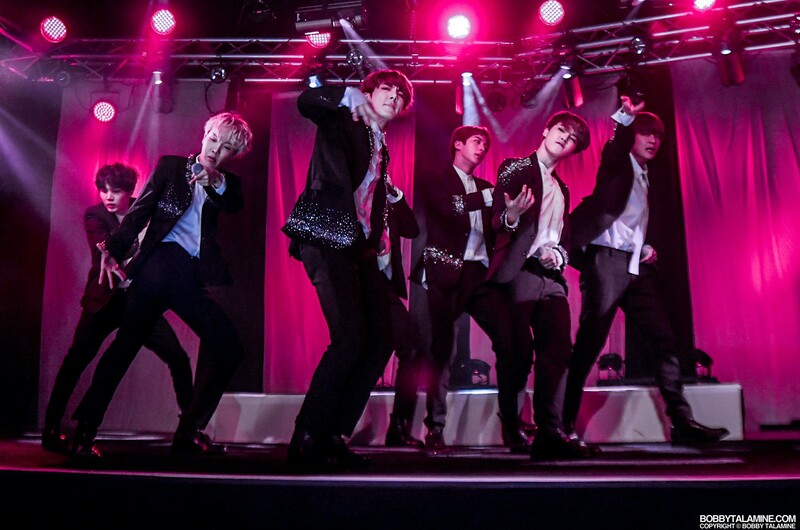 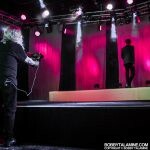 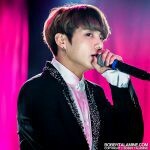 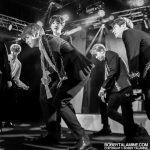 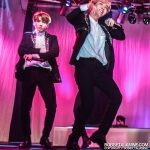 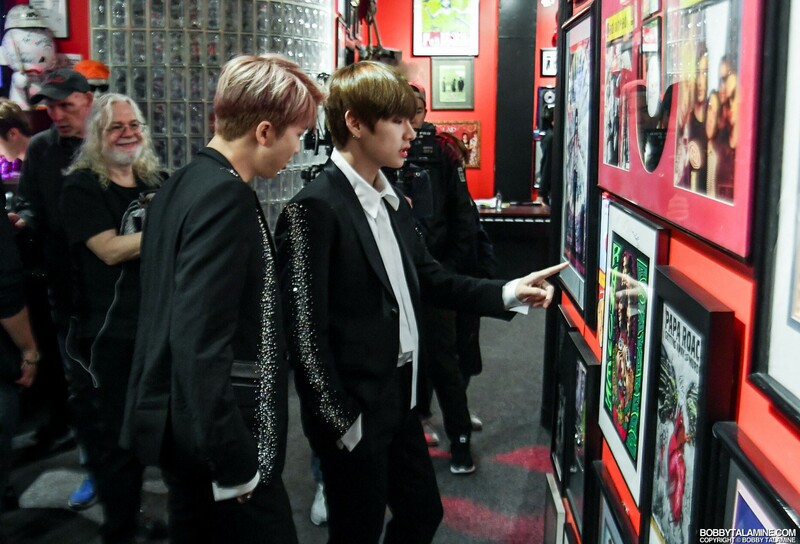 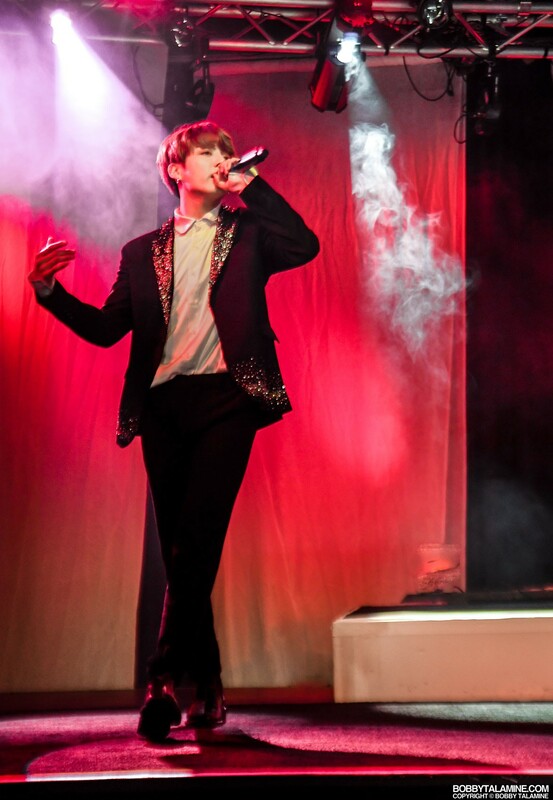 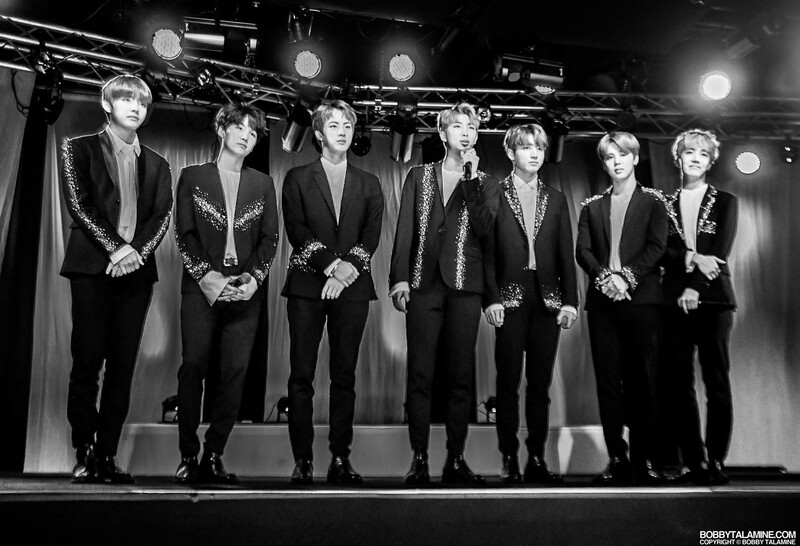 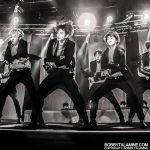 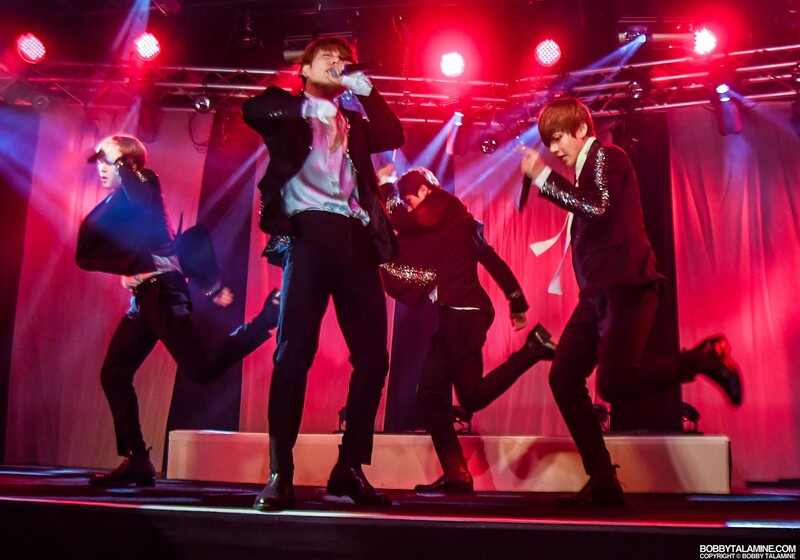 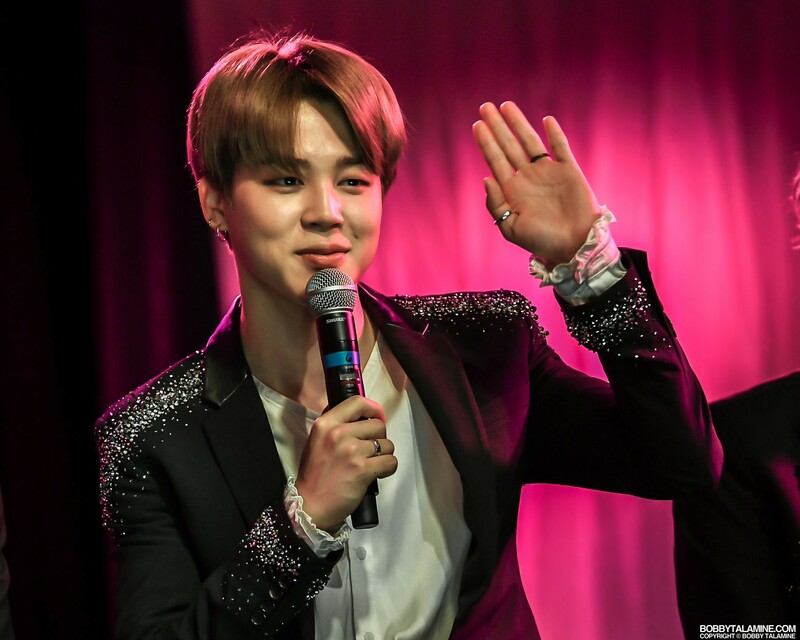 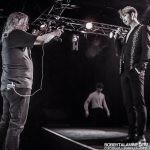 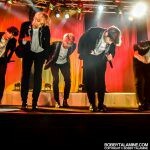 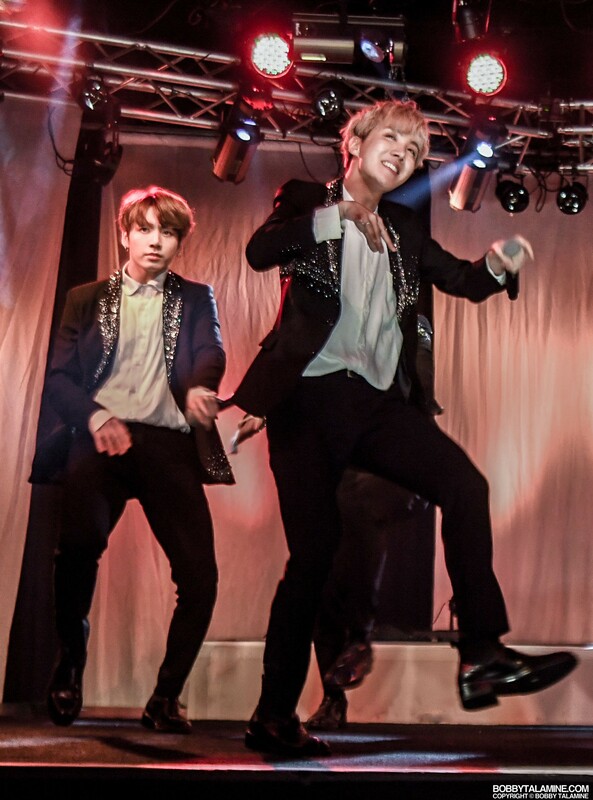 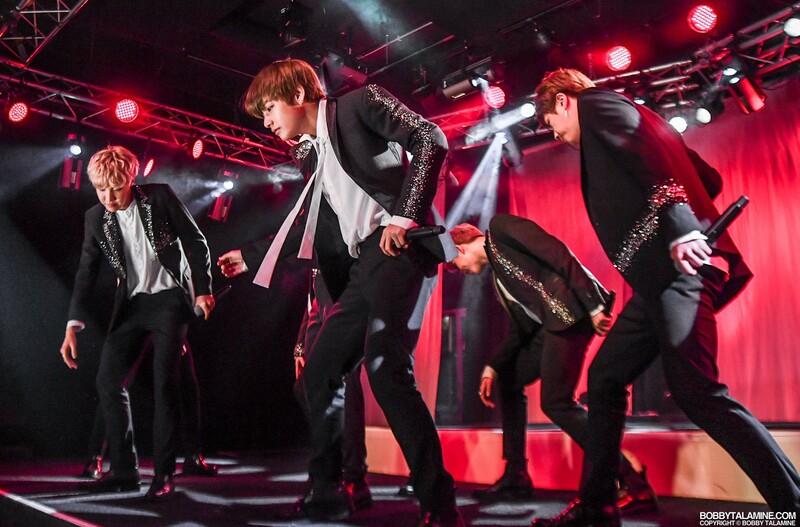 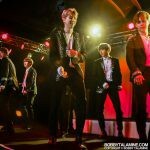 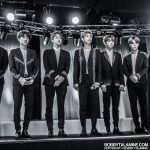 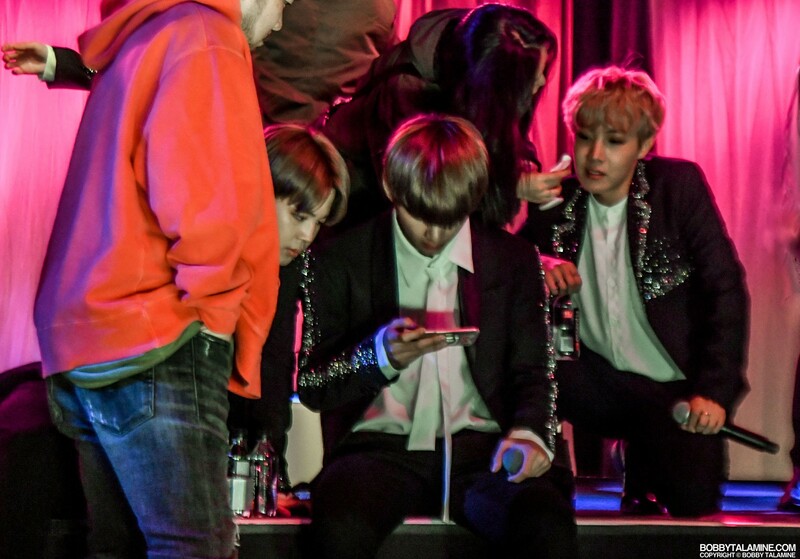 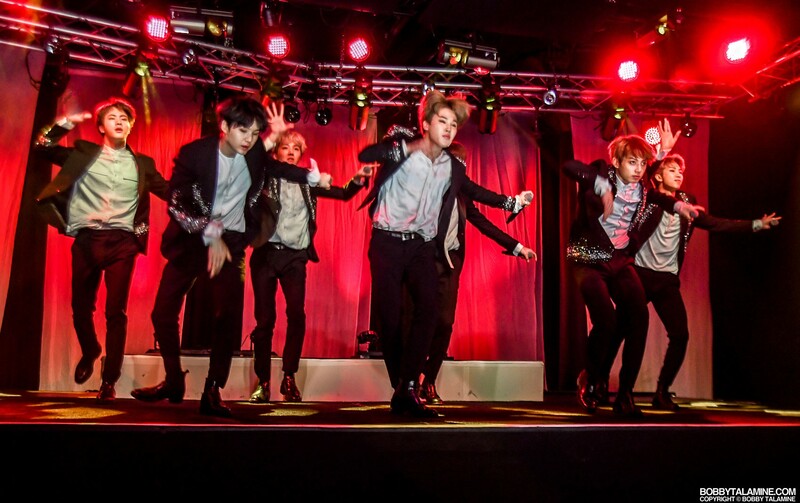 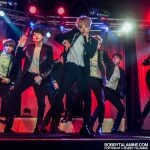 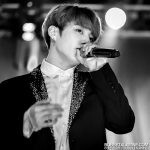 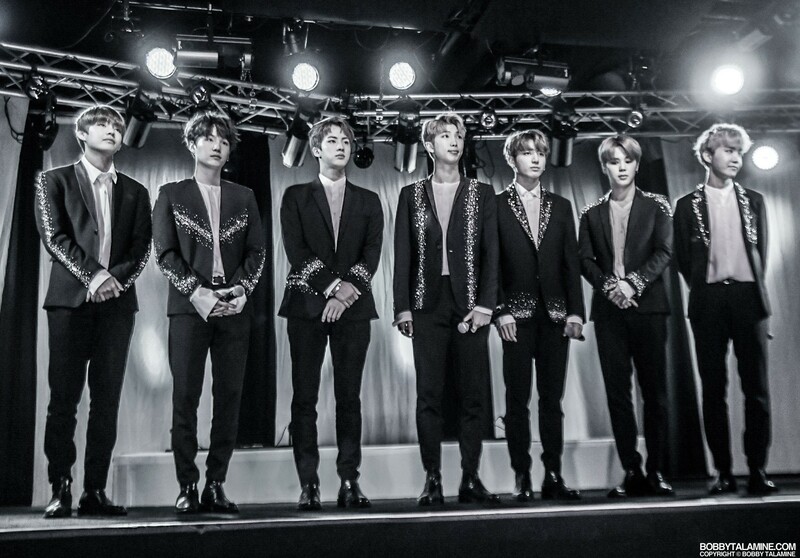 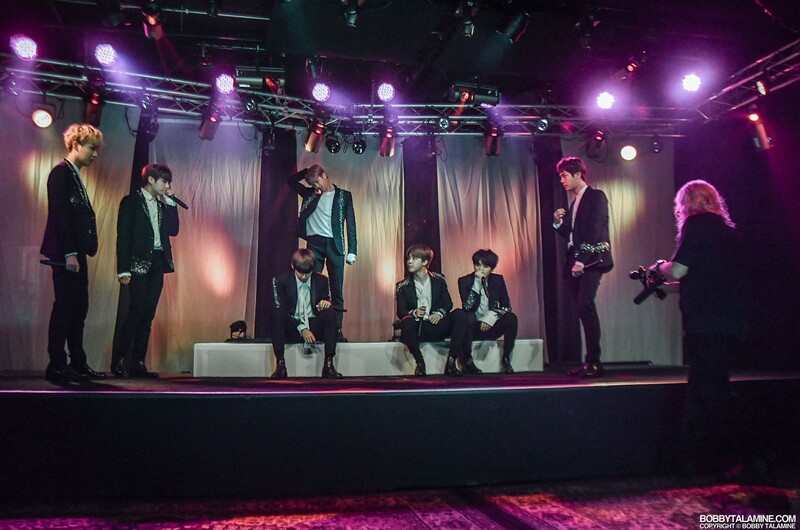 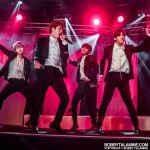 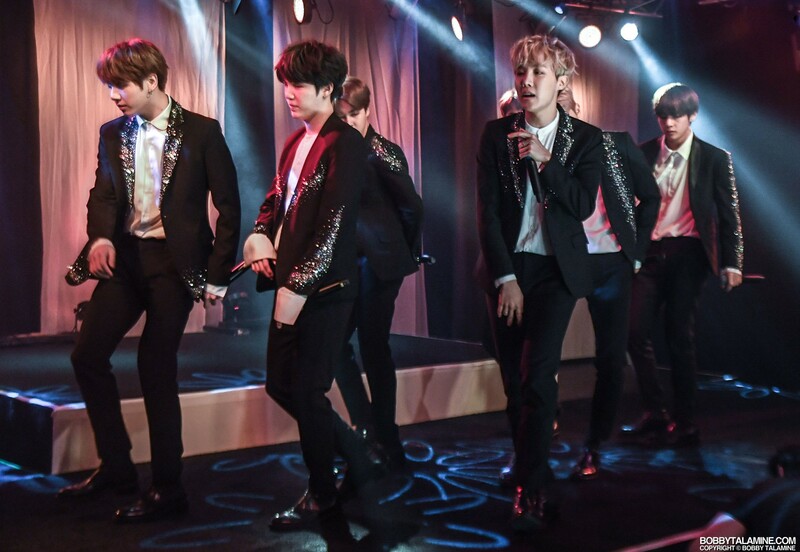 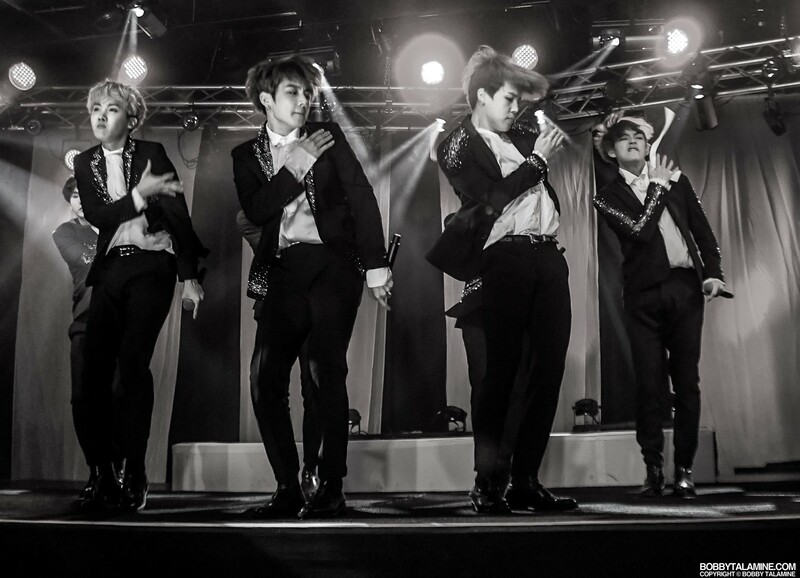 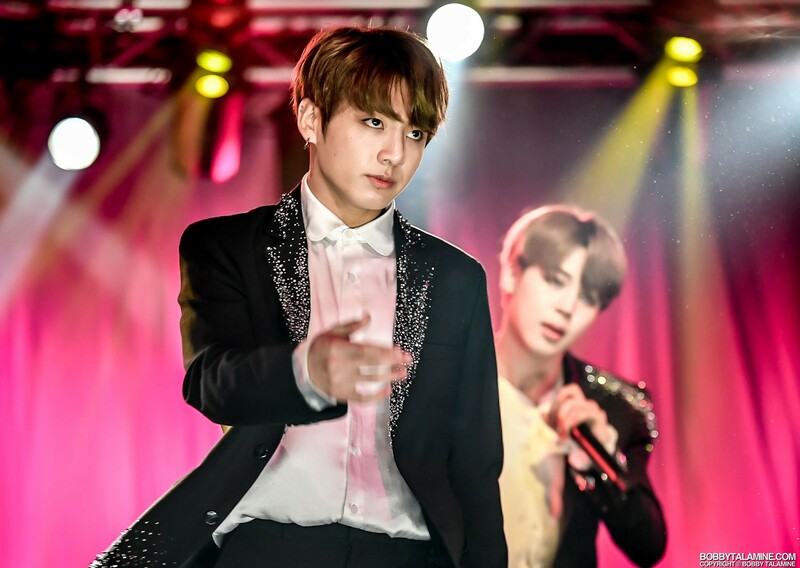 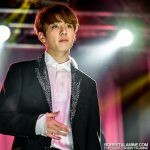 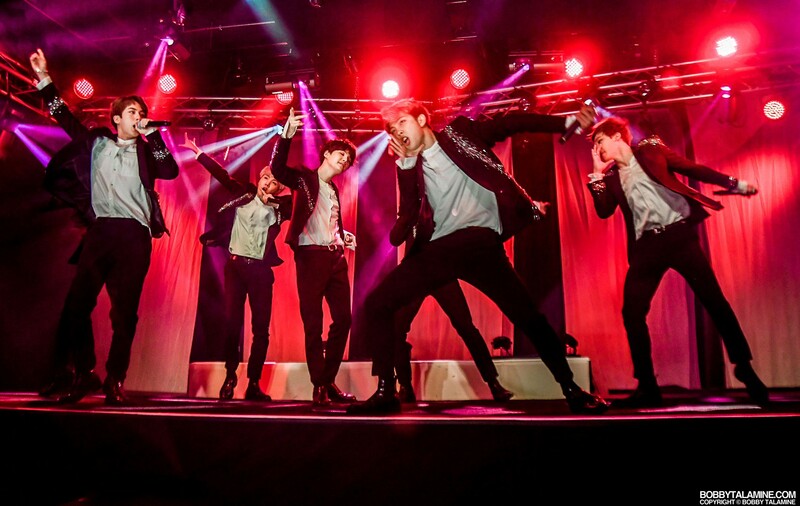 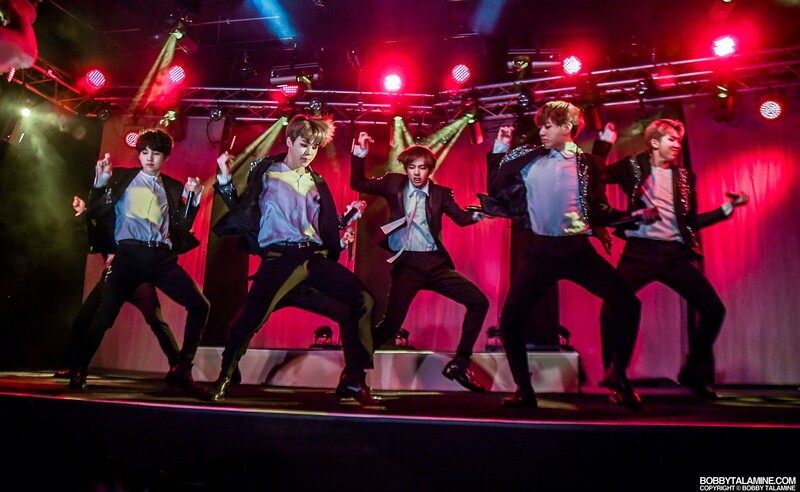 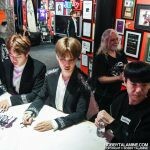 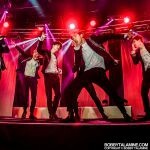 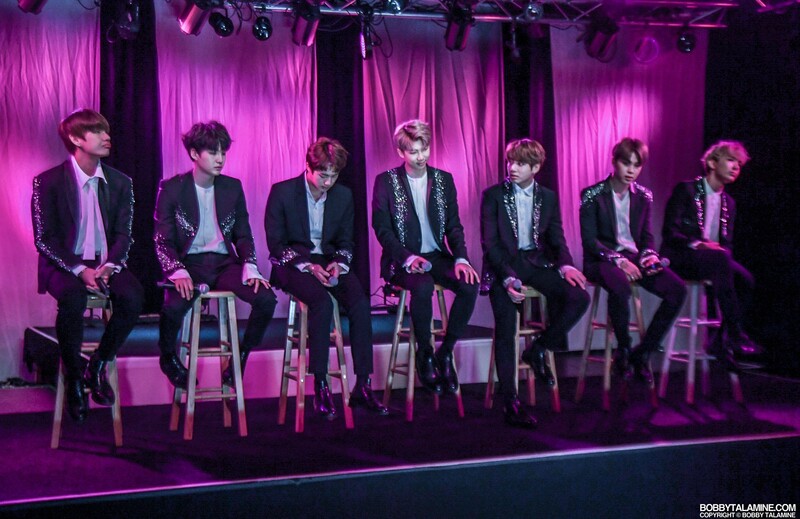 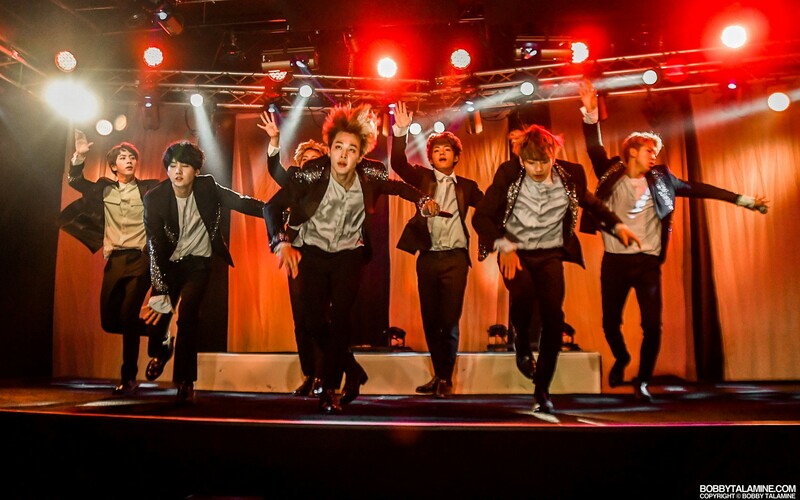 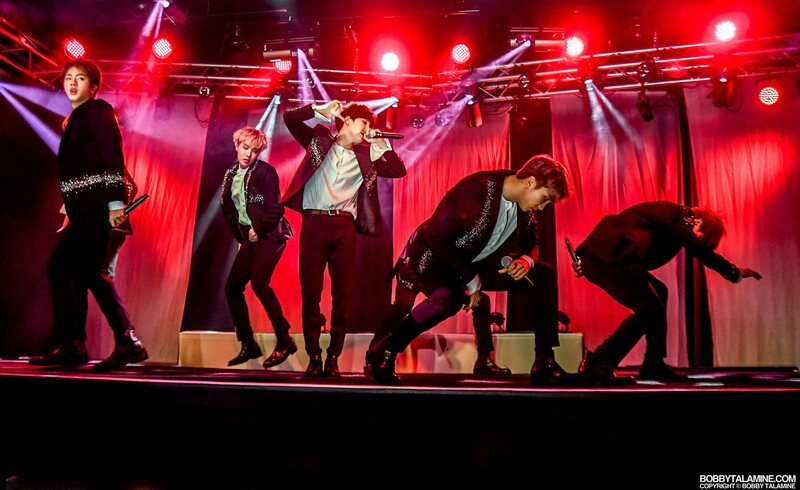 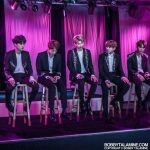 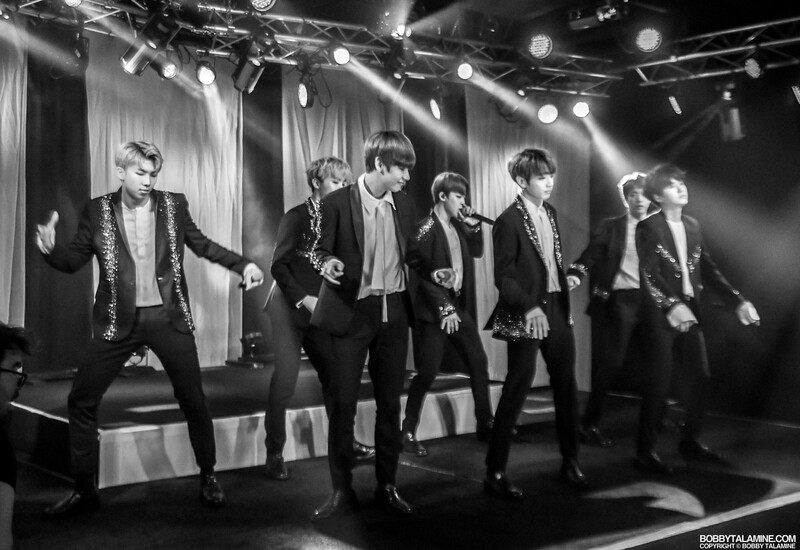 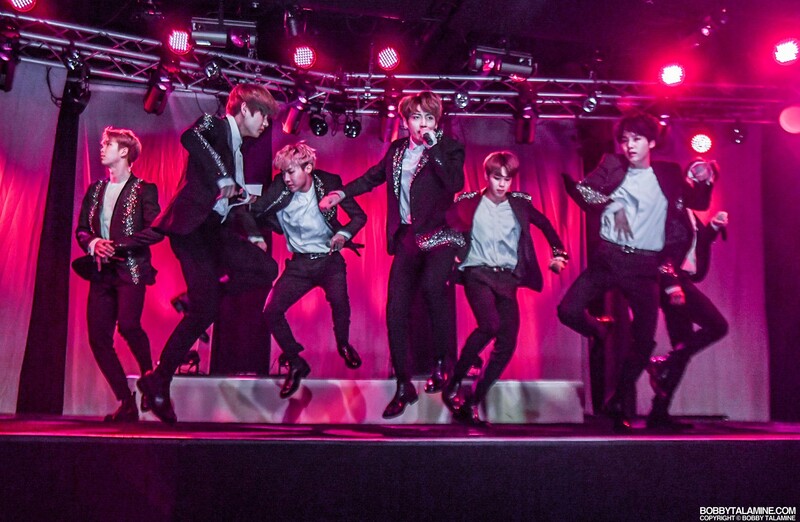 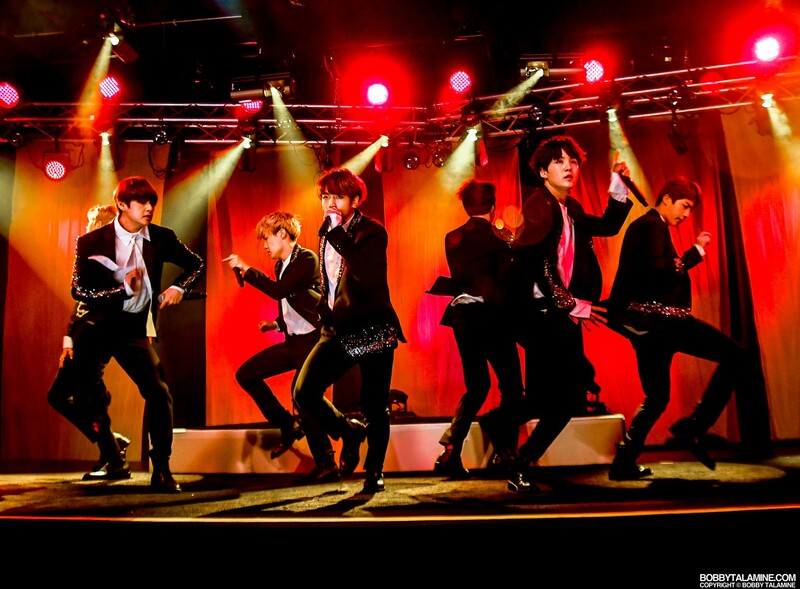 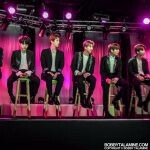 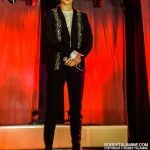 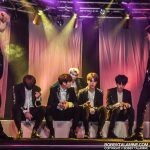 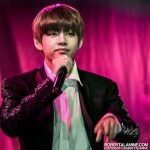 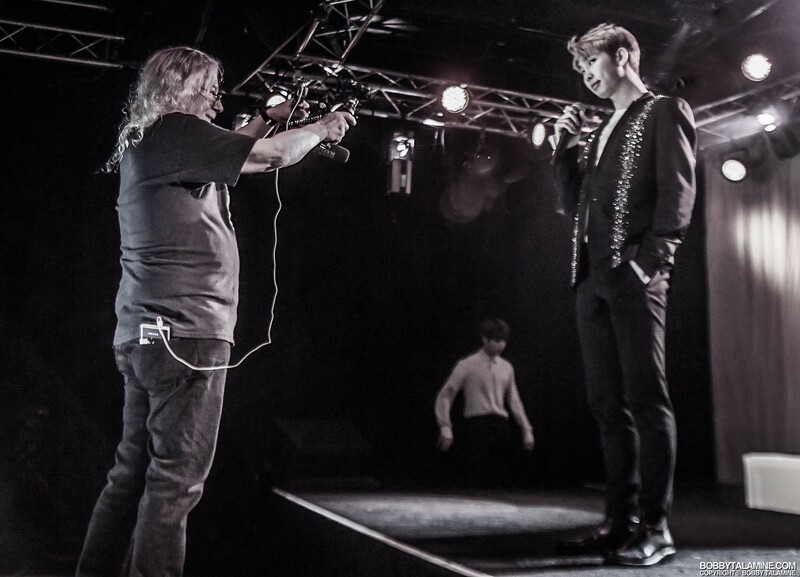 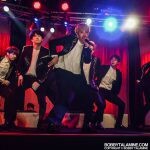 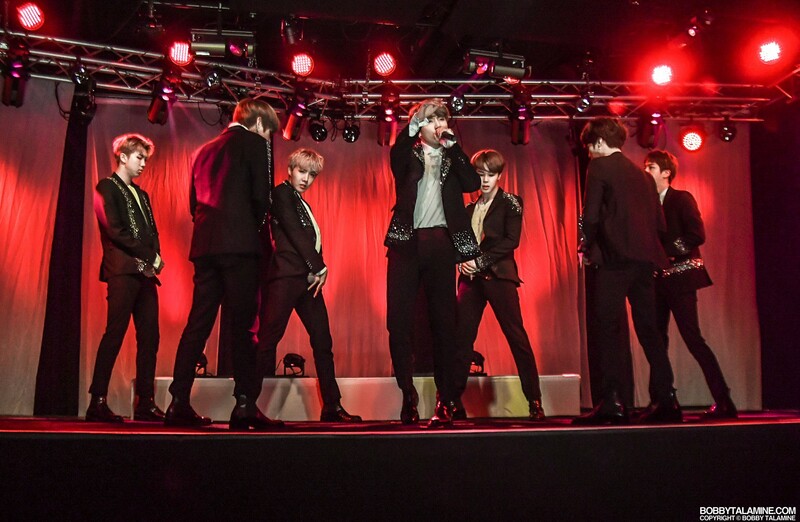 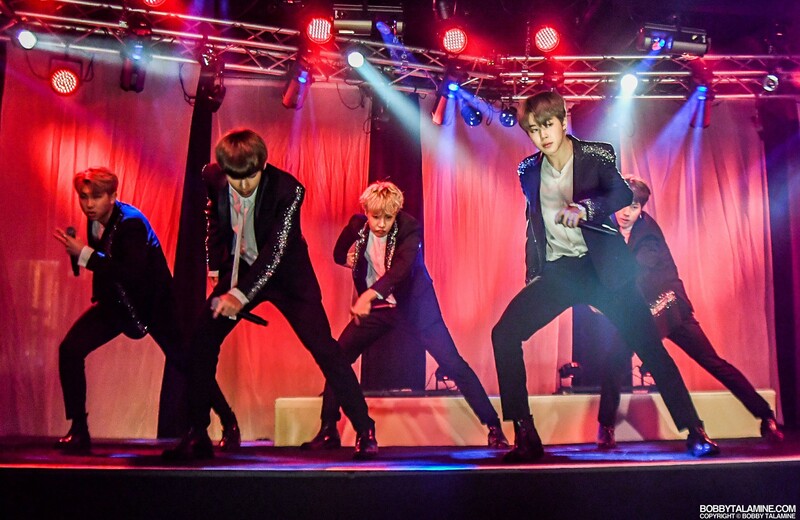 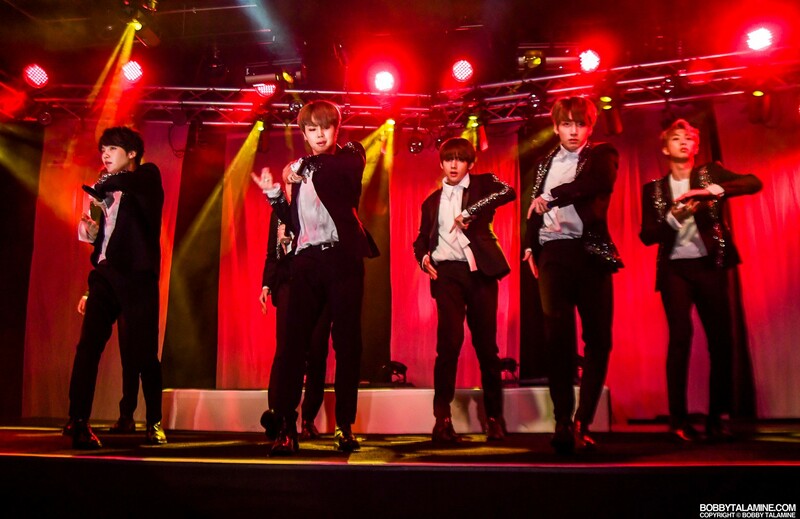 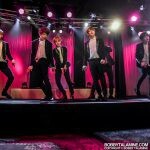 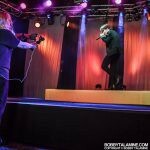 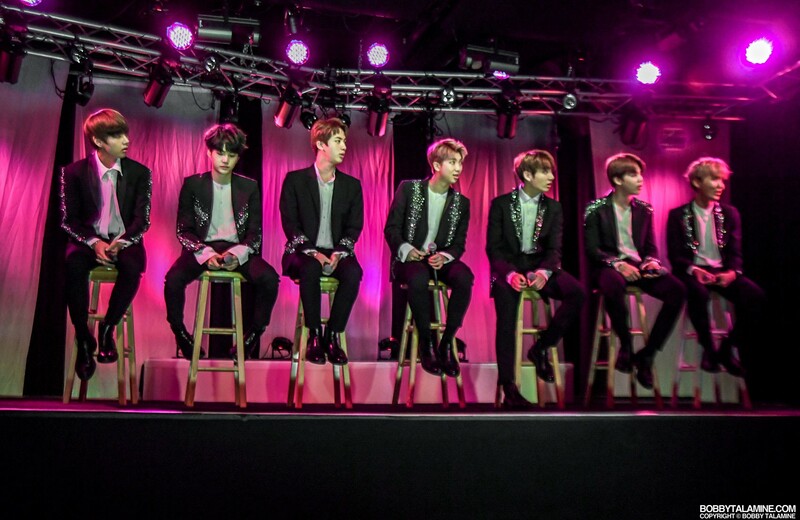 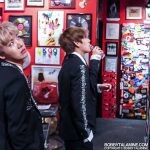 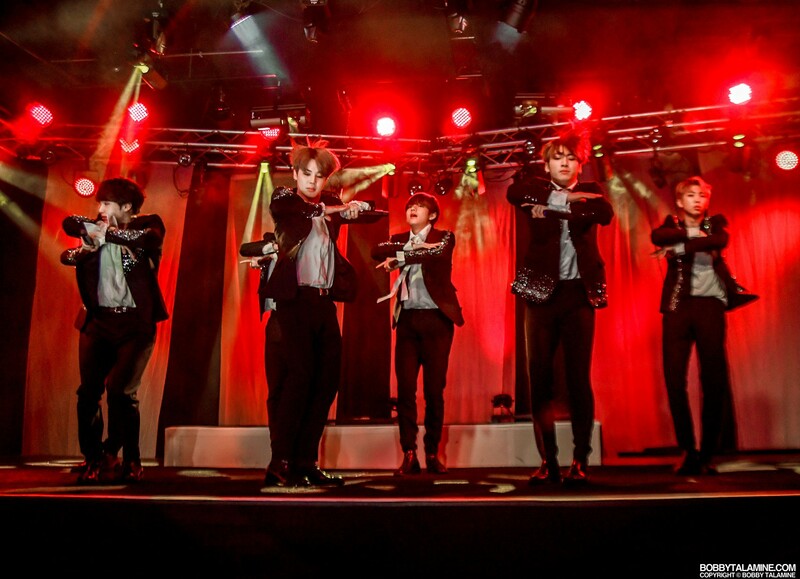 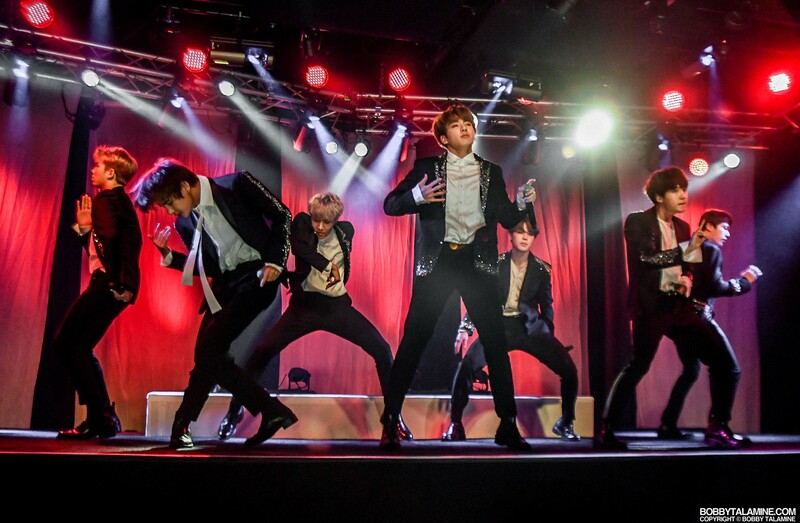 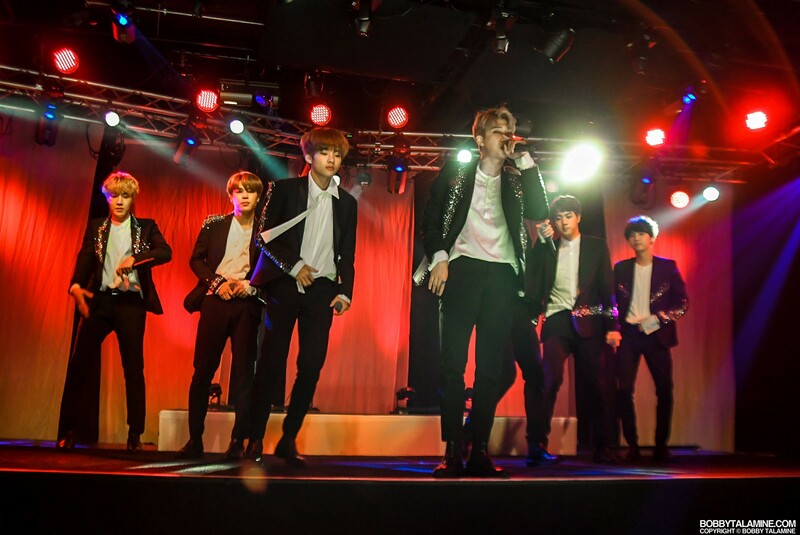 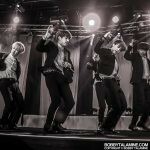 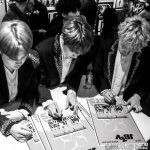 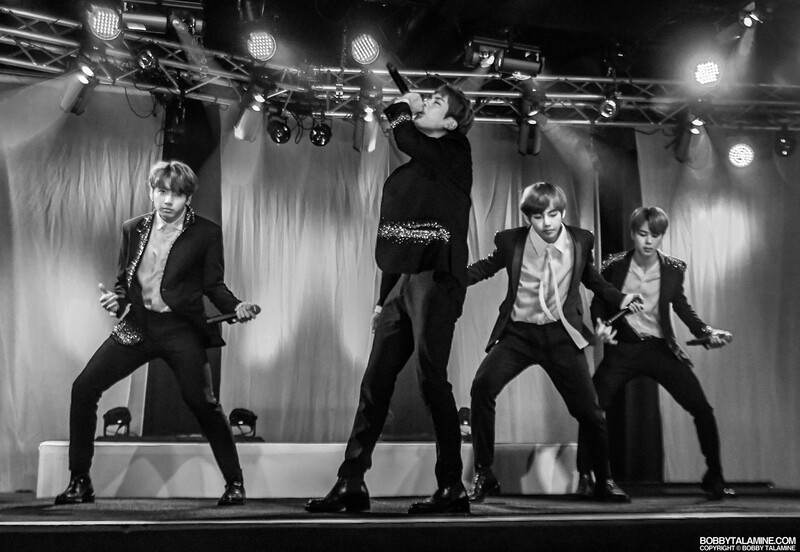 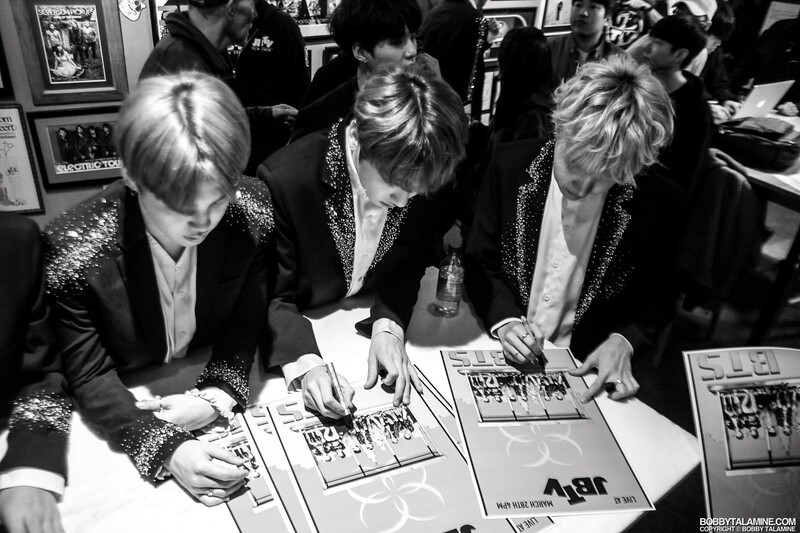 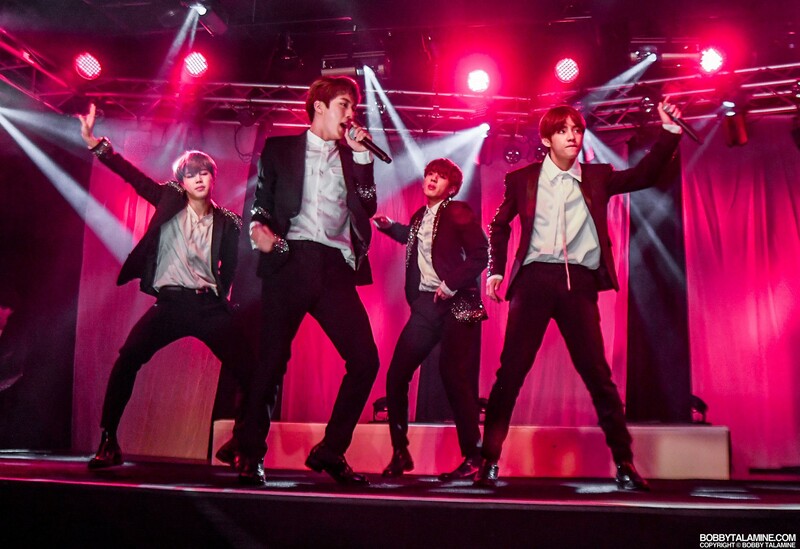 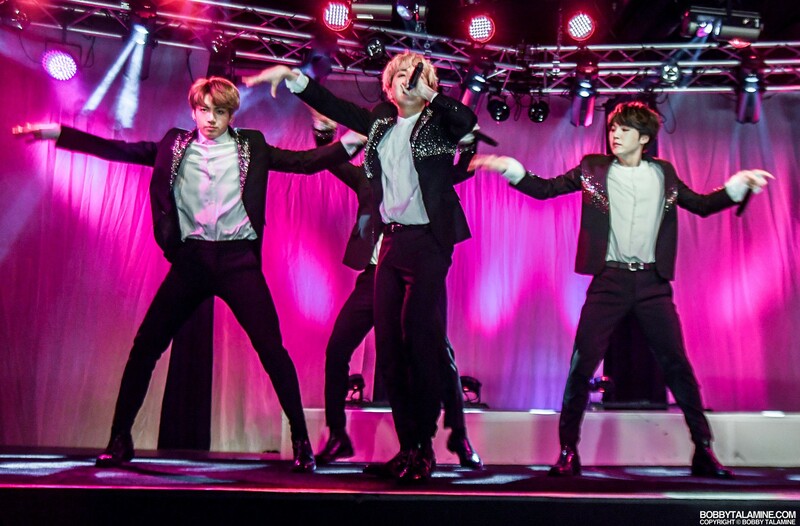 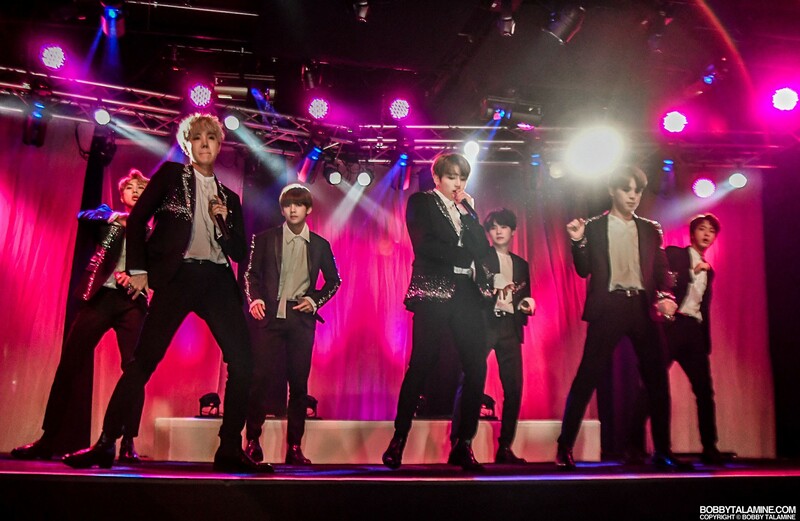 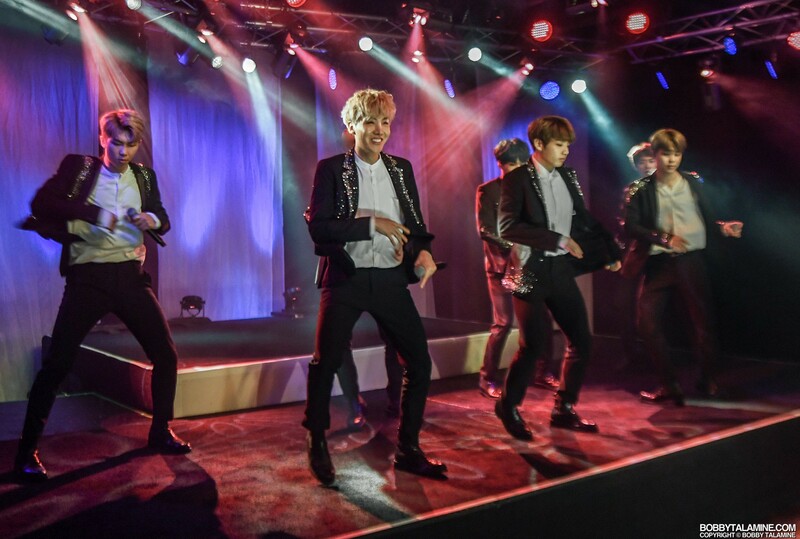 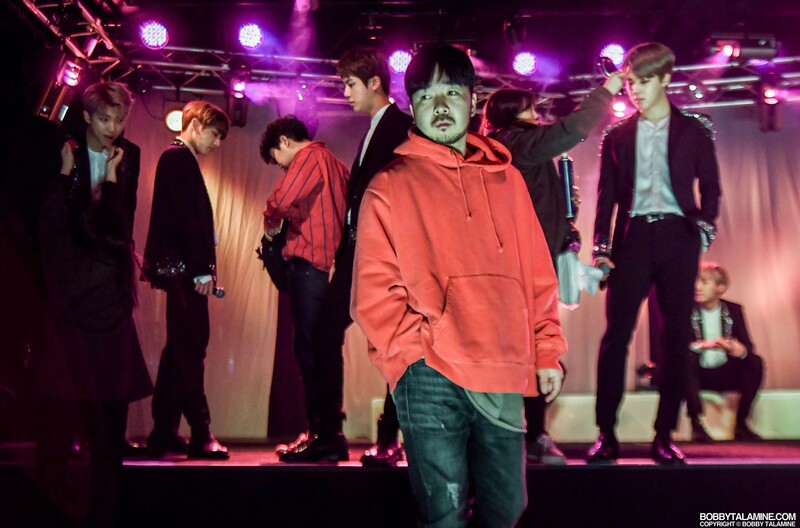 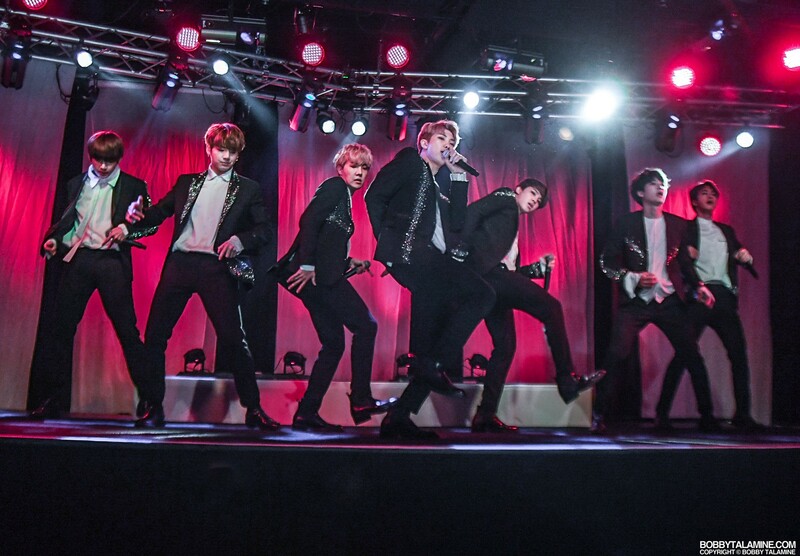 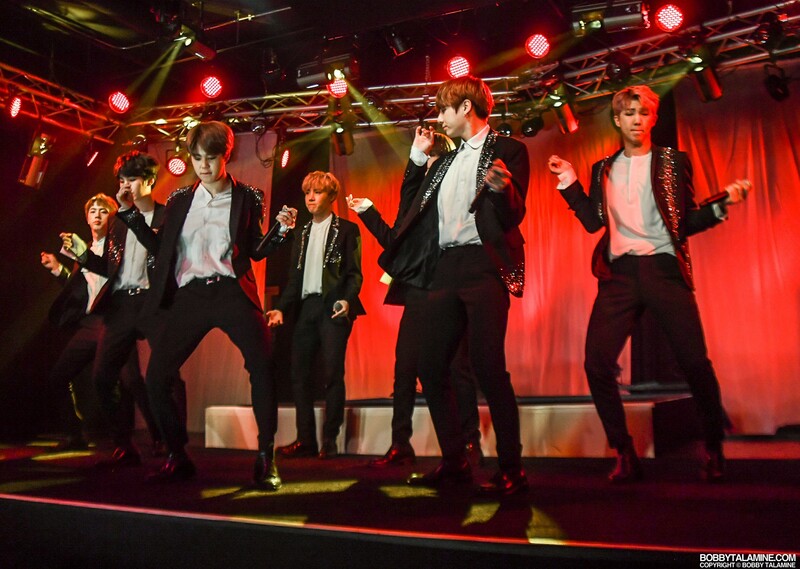 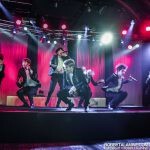 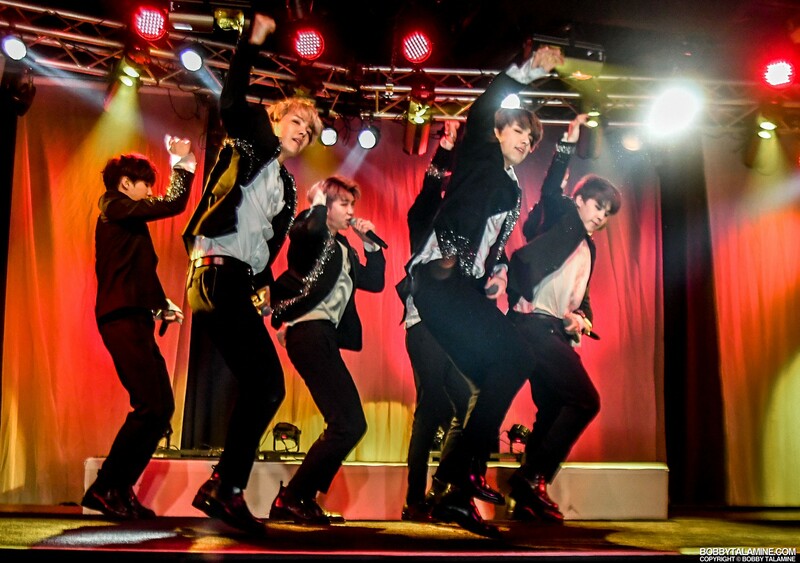 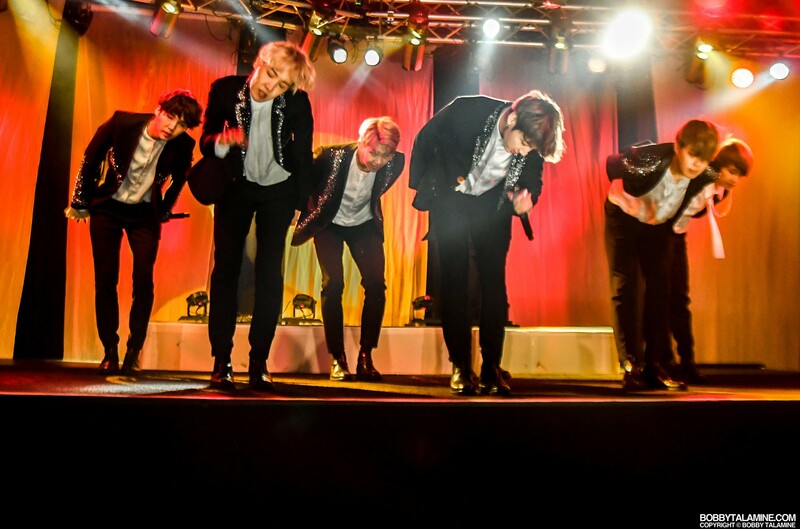 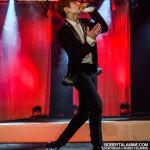 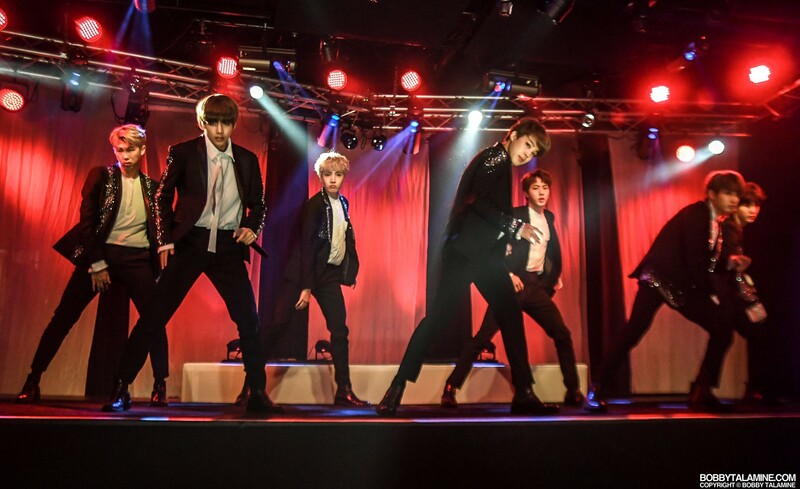 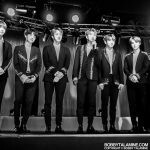 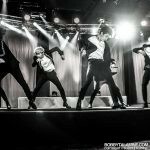 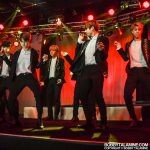 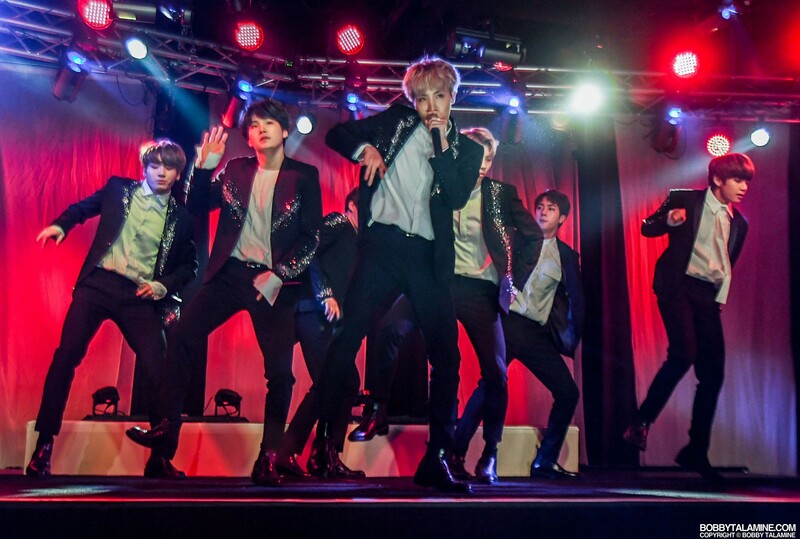 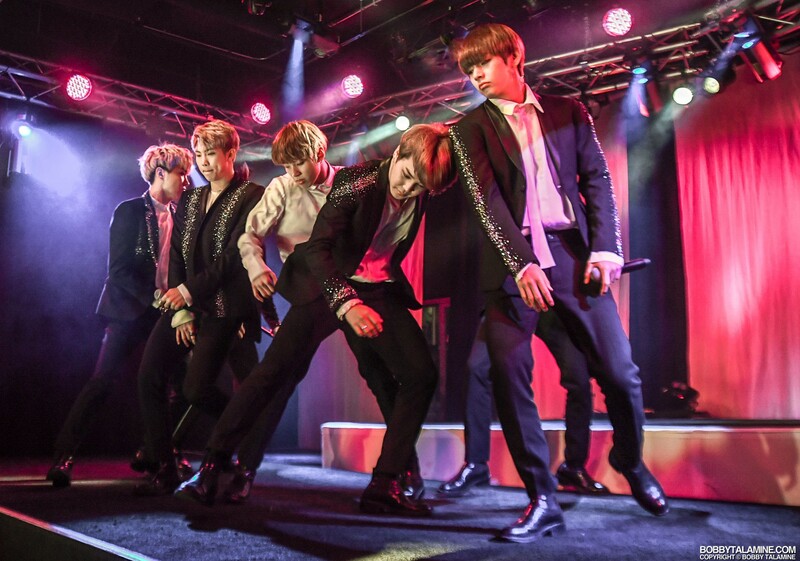 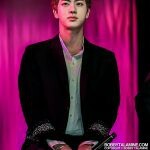 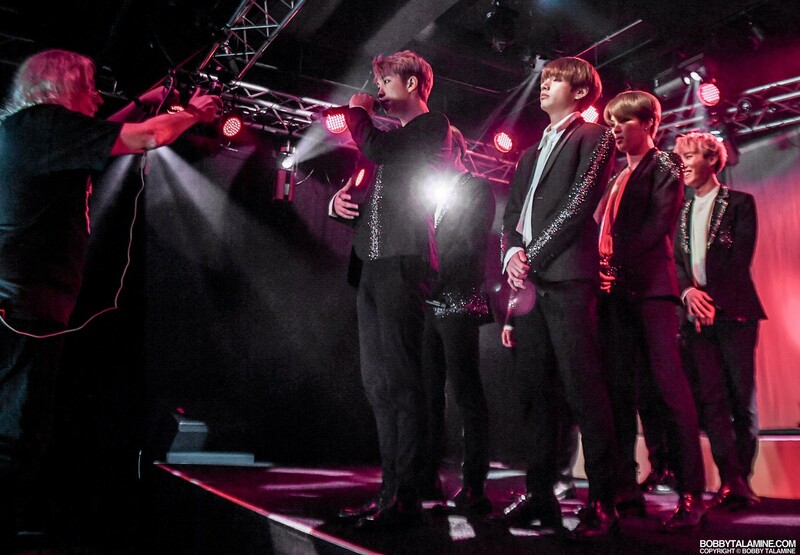 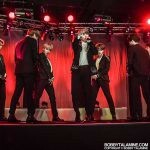 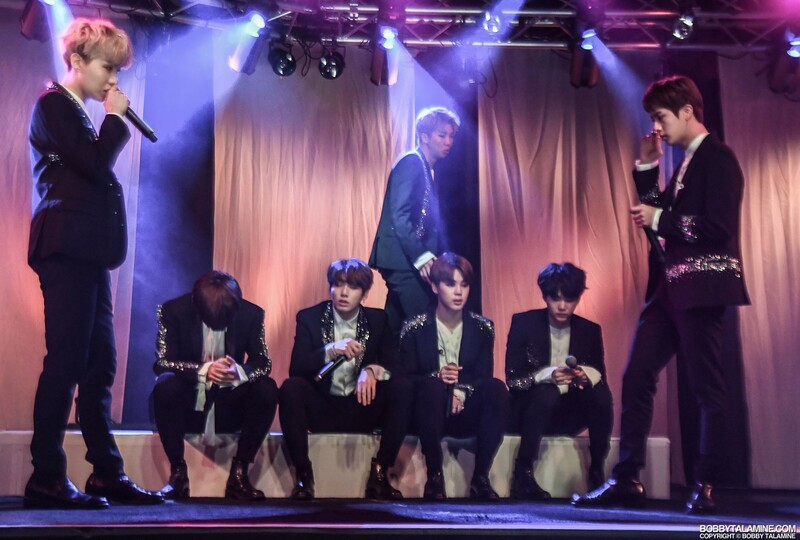 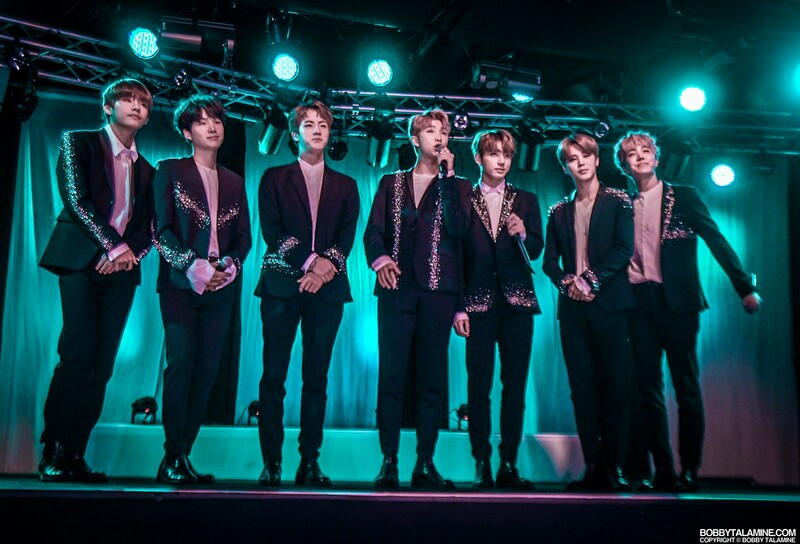 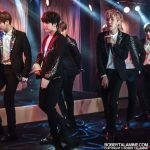 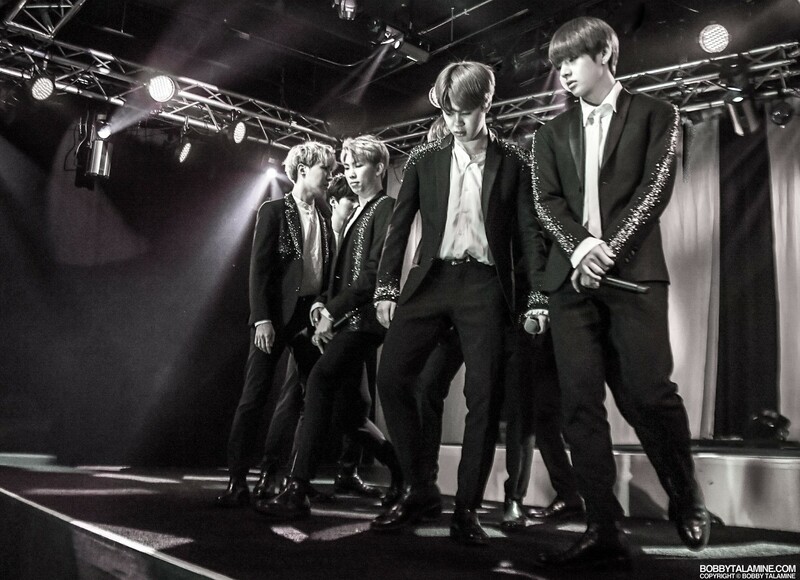 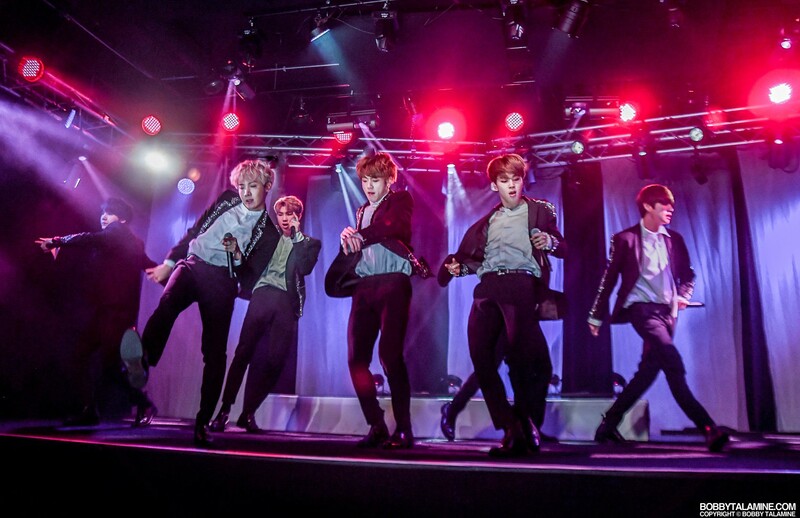 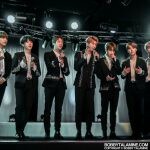 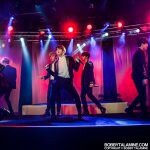 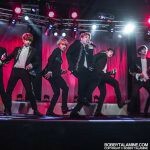 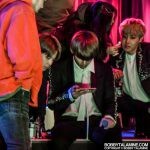 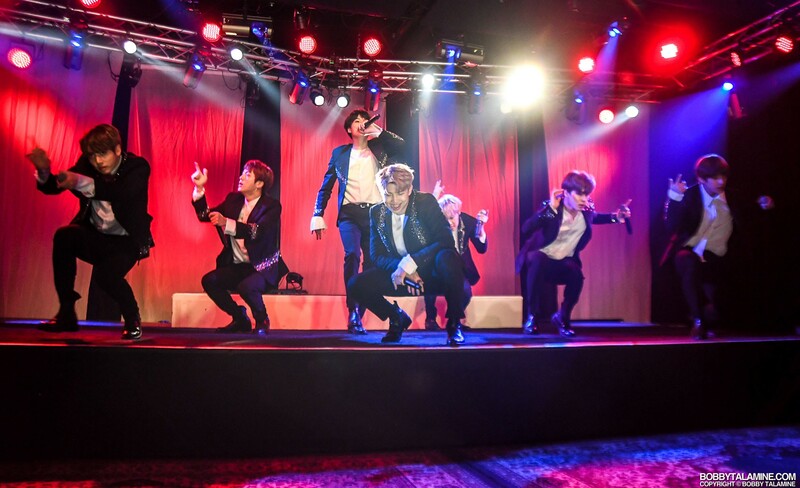 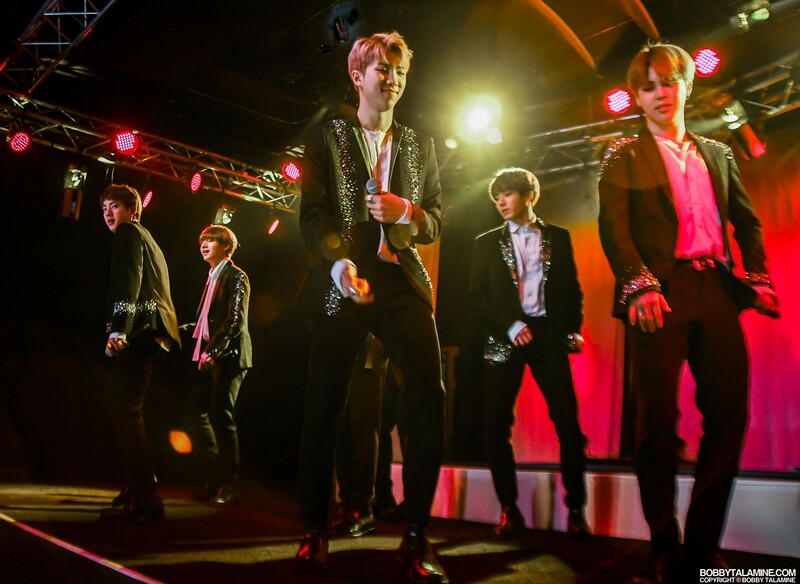 The massively popular South Korean boy band made a stop during the afternoon at JBTV Music Television in Chicago for a secret show along with a live and worldwide interview. 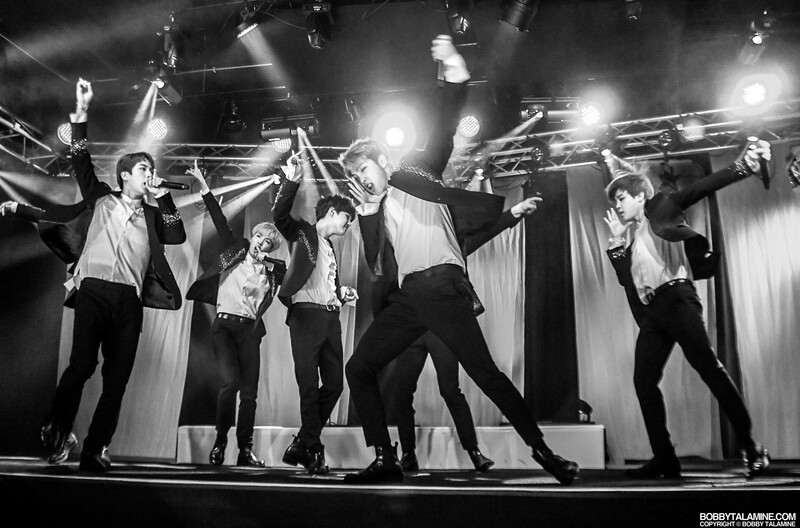 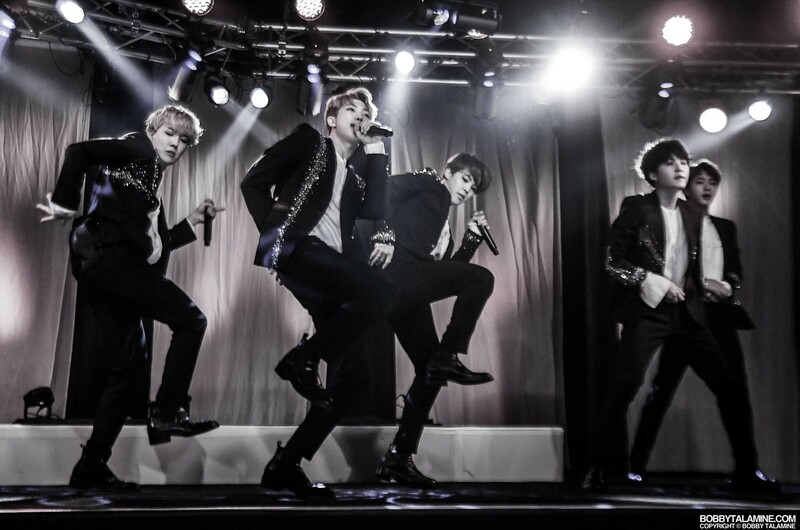 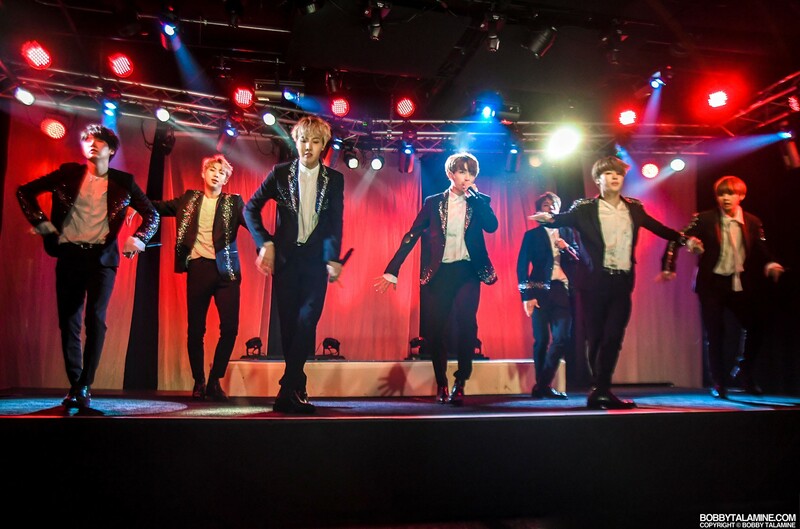 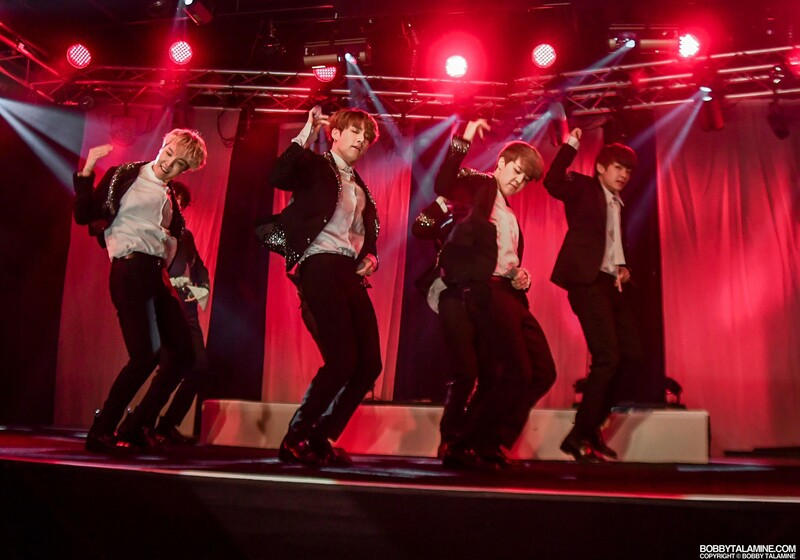 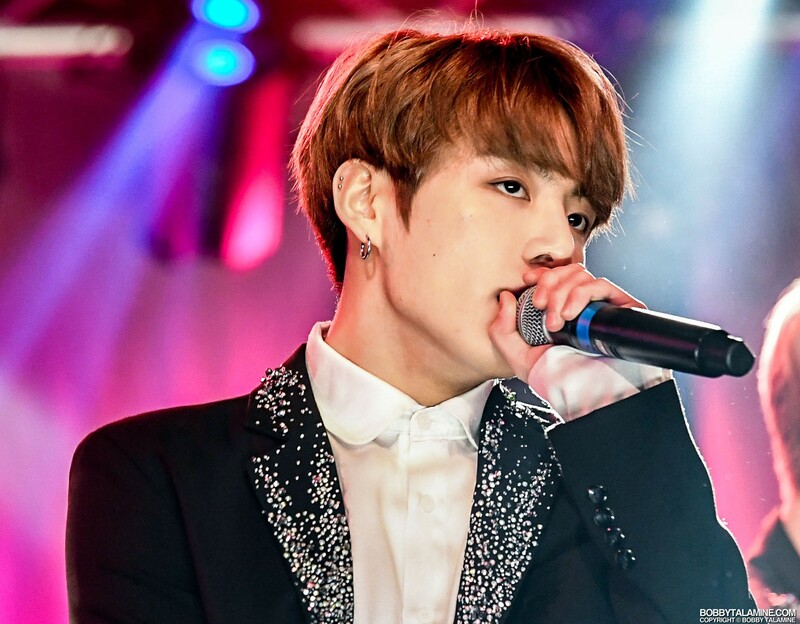 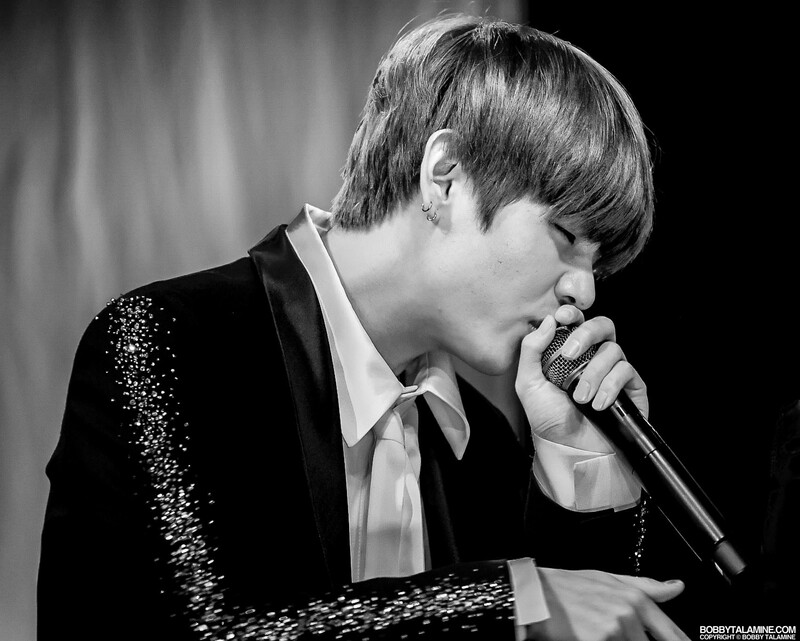 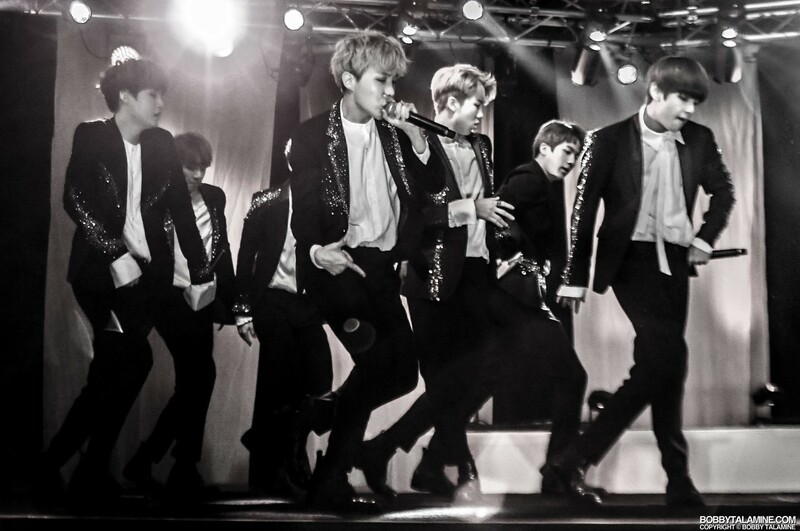 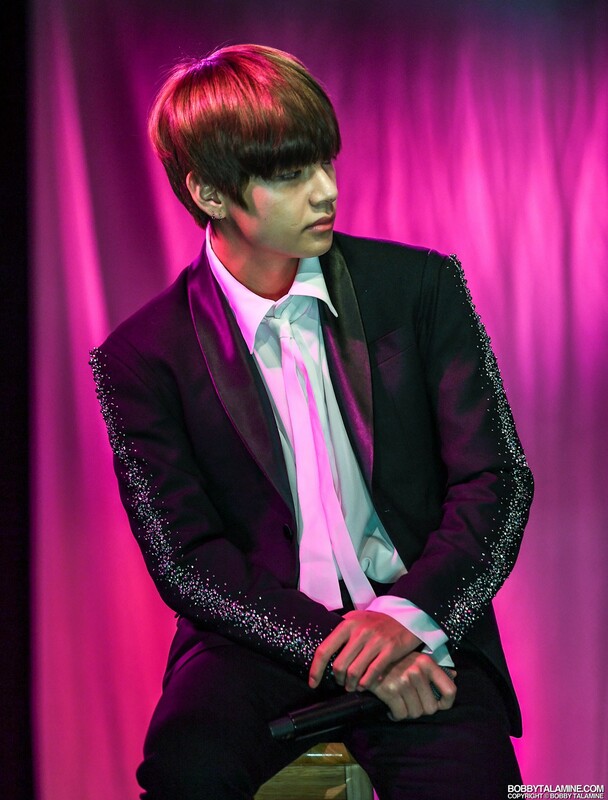 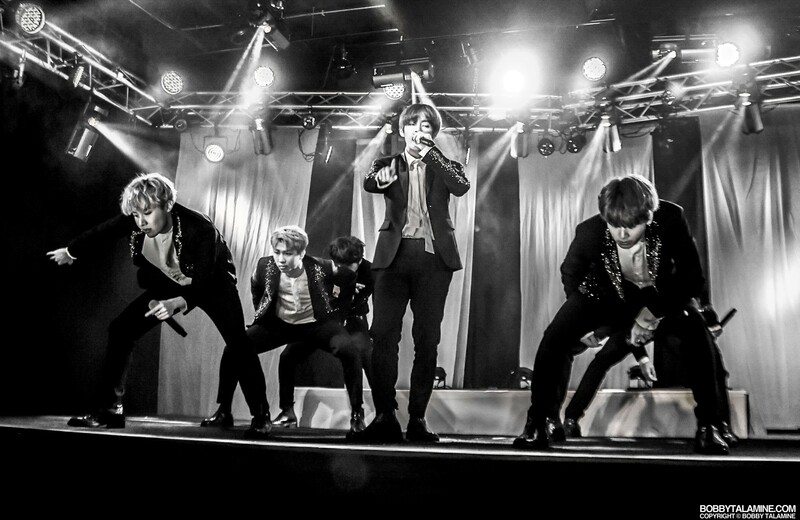 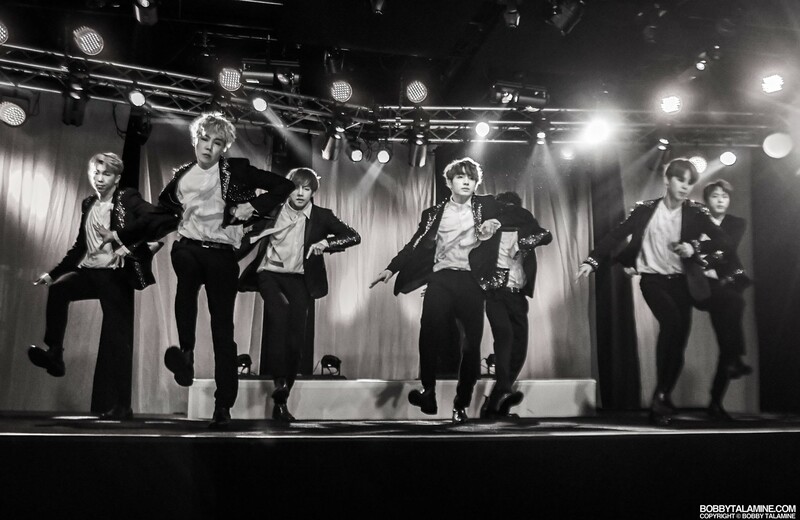 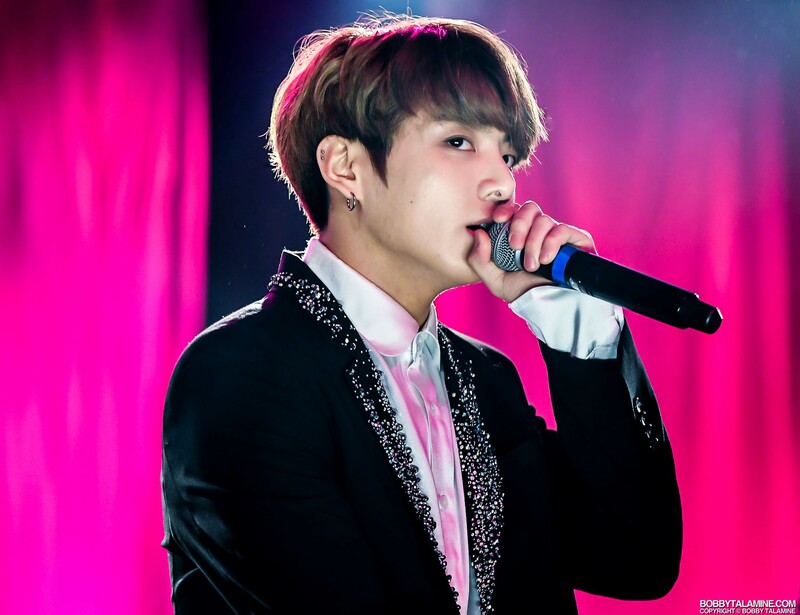 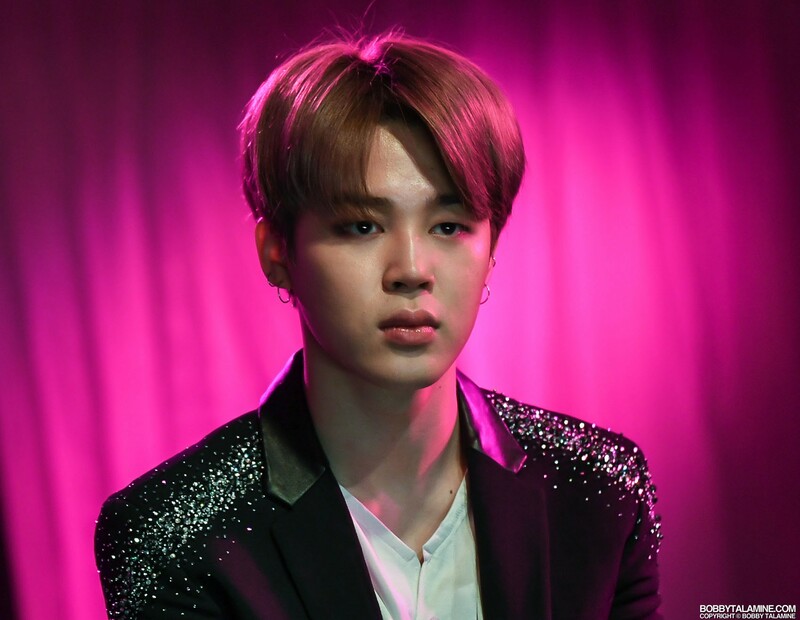 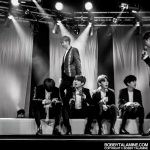 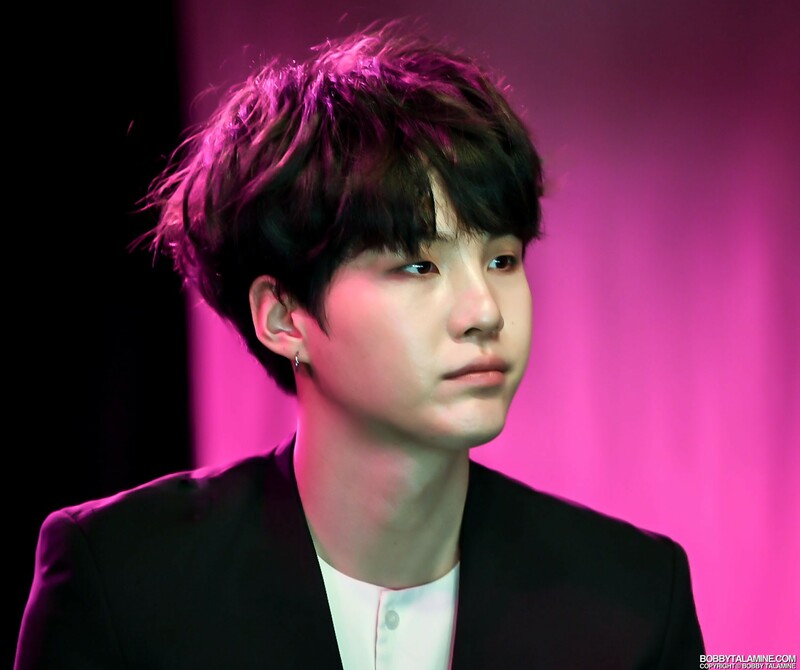 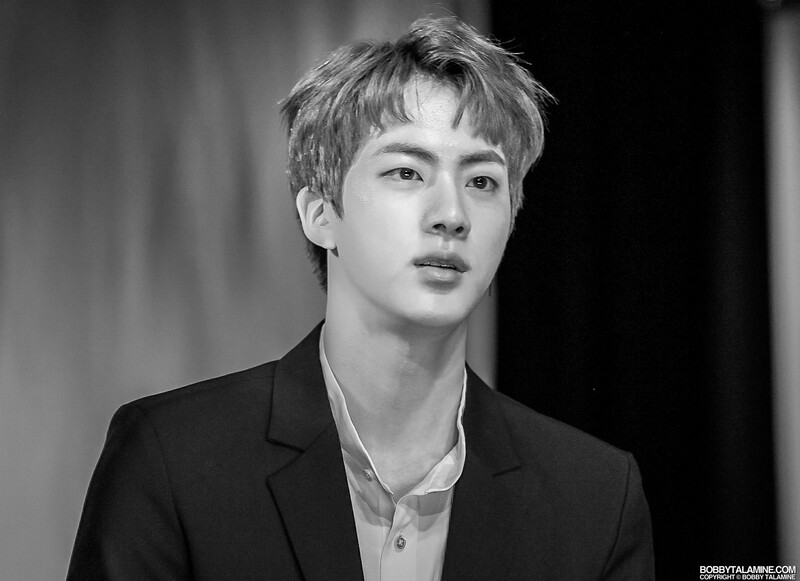 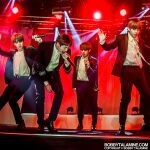 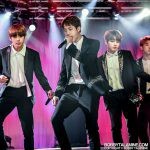 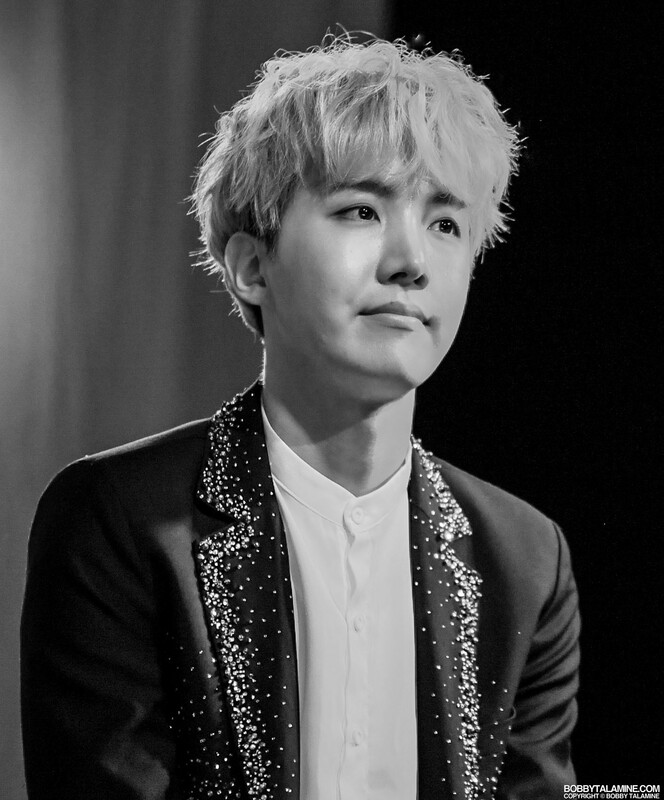 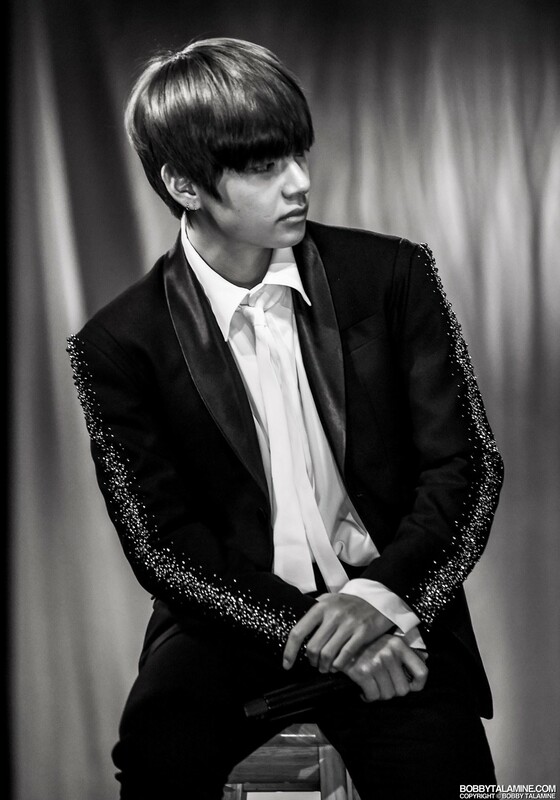 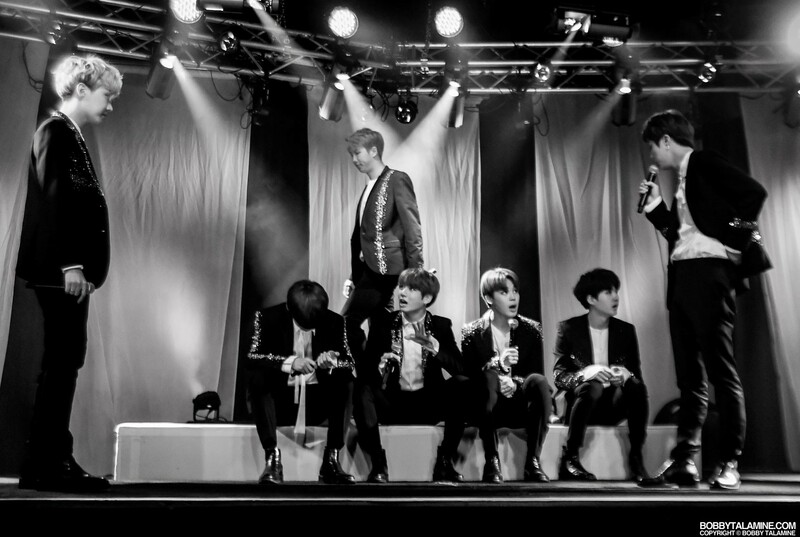 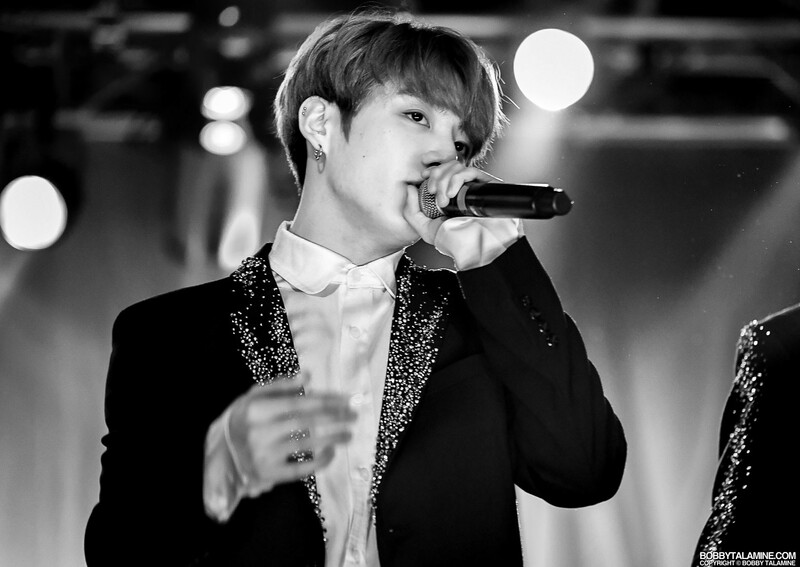 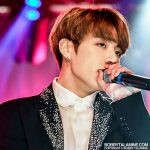 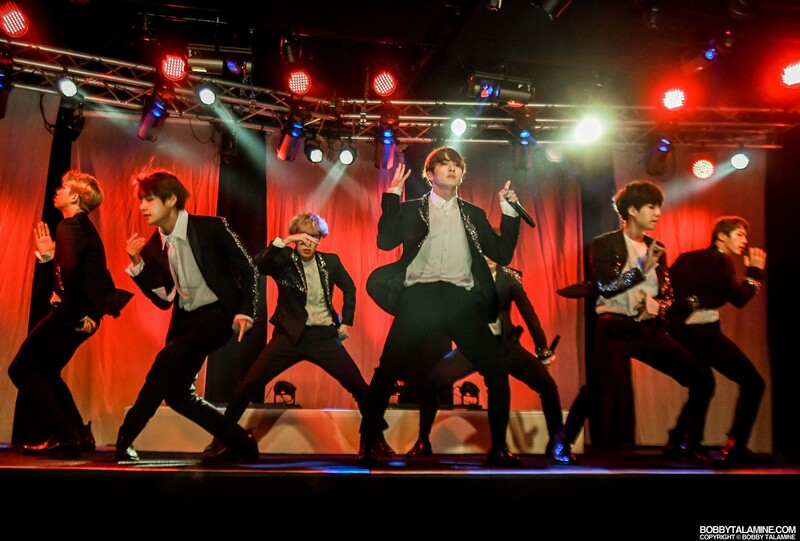 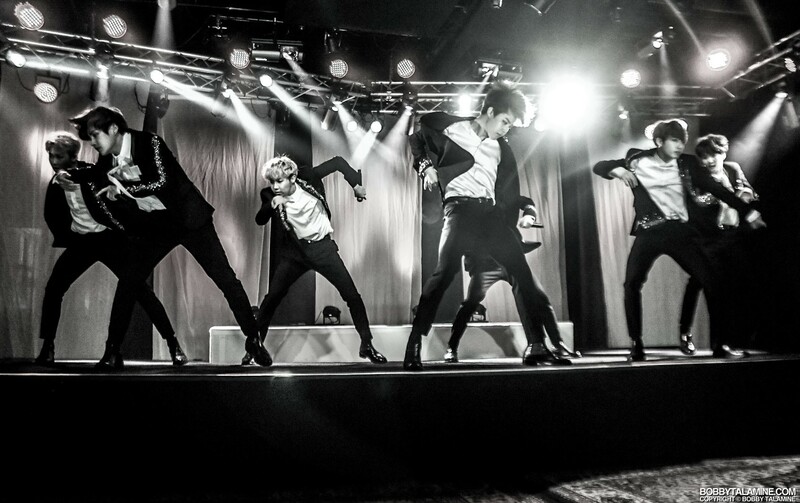 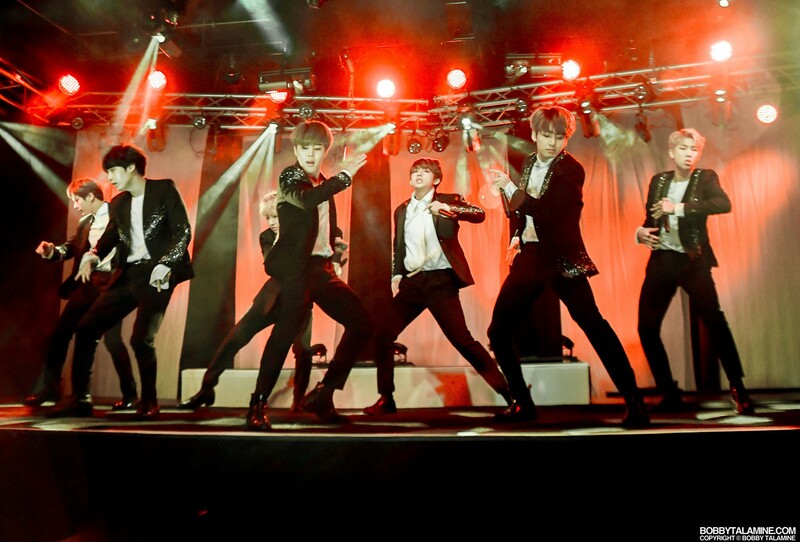 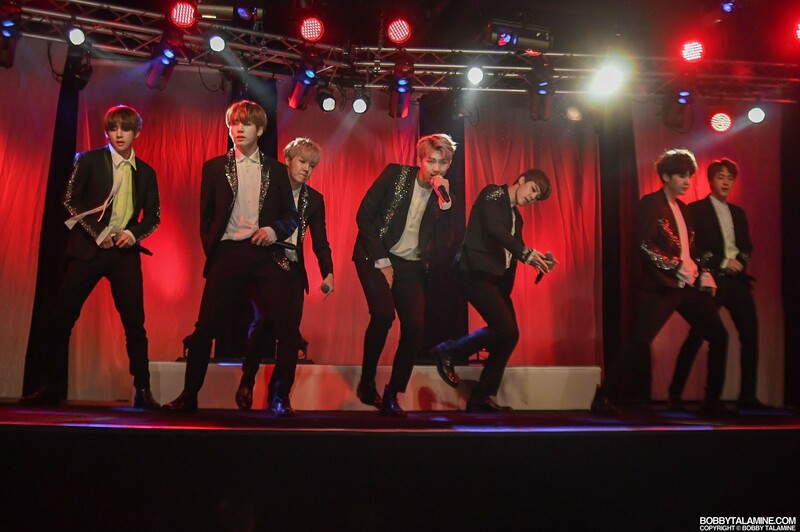 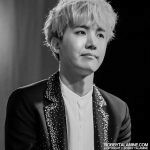 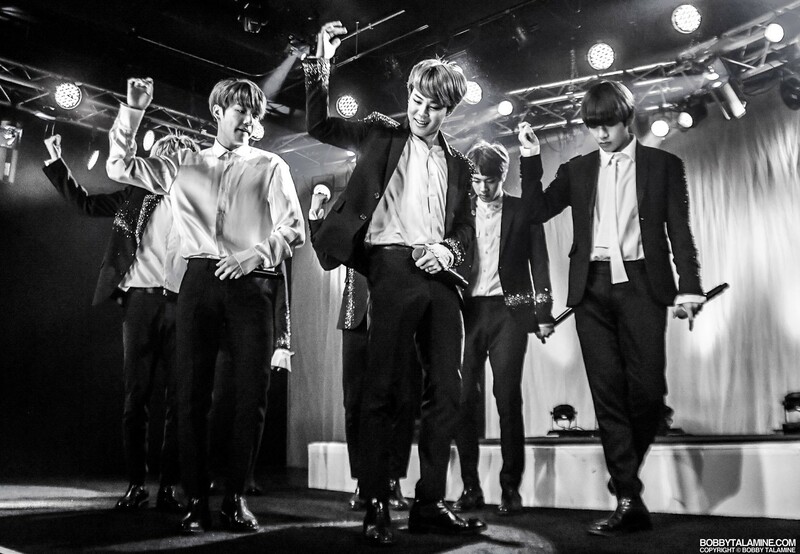 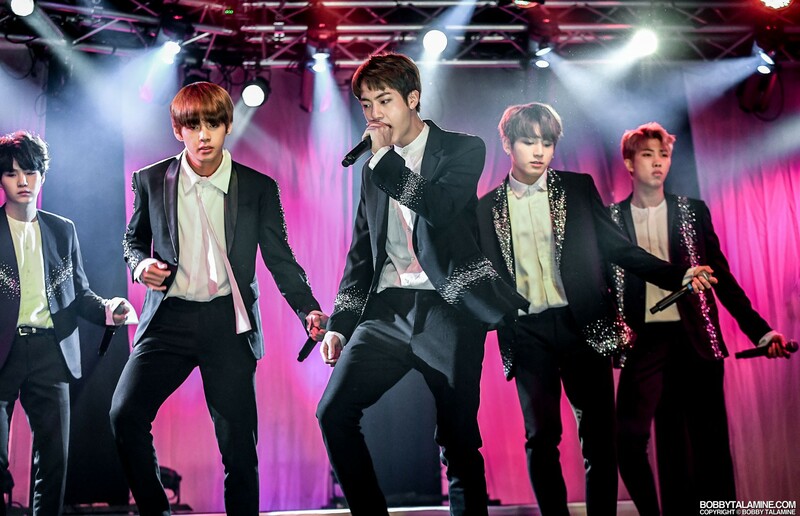 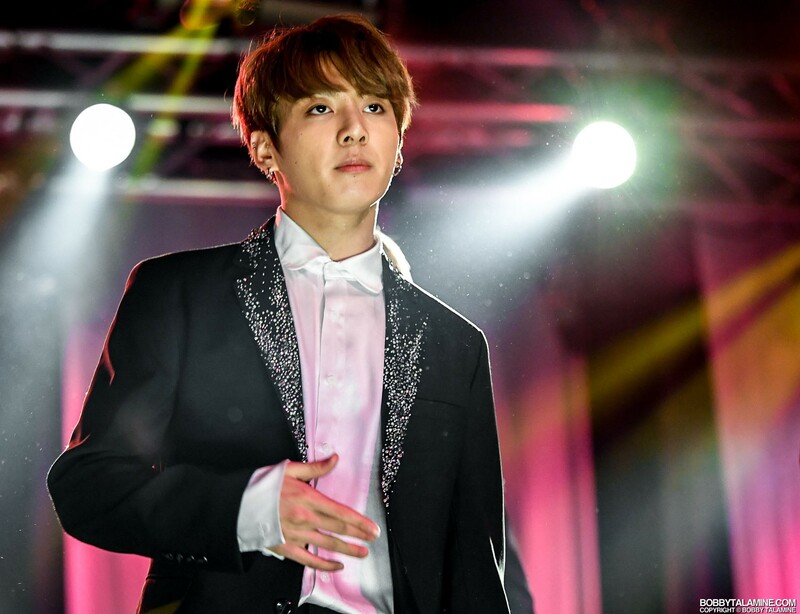 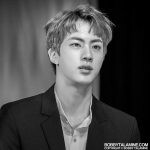 The group consists of seven artists: Jin, Suga, J- Hope, Jimin, V, Jungkook, and their leader- RM. 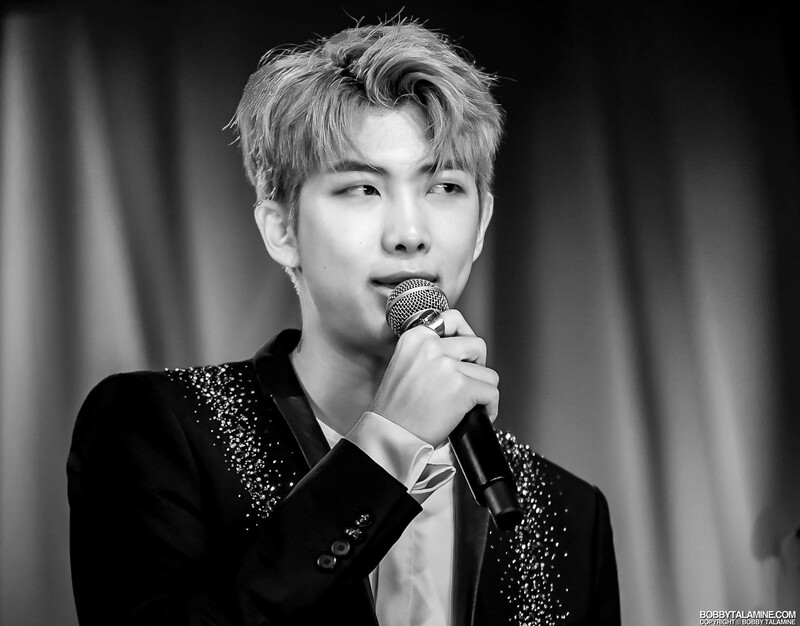 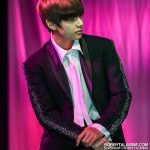 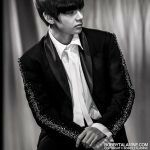 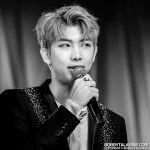 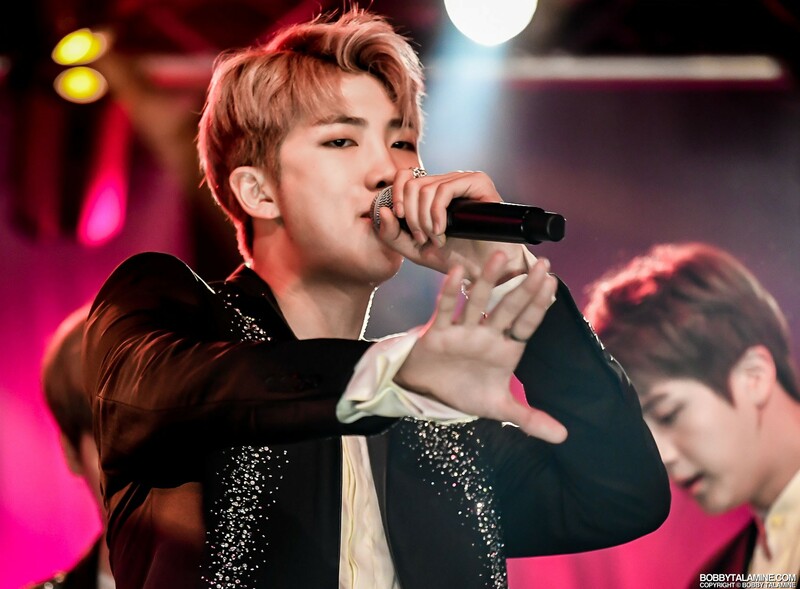 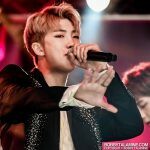 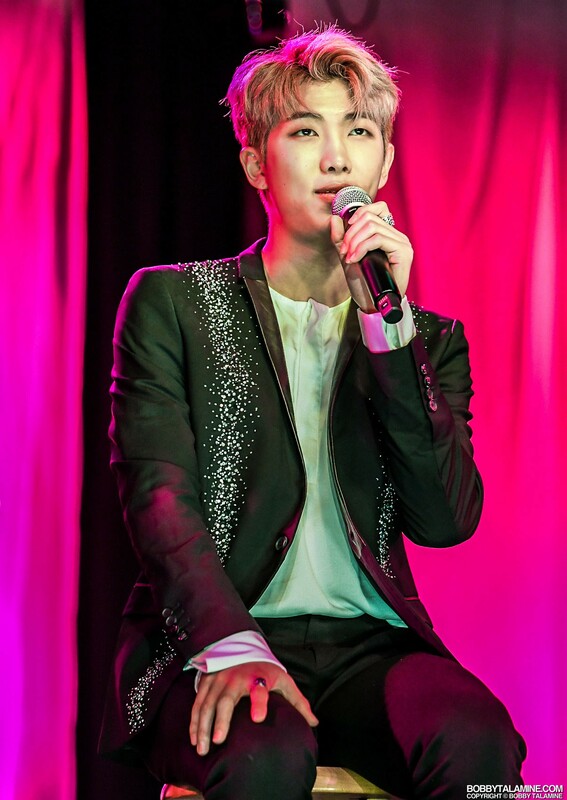 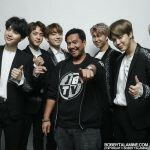 BTS first formed back in 2010 after Big Hit Entertainment CEO Bang Si- Hyuk met with group leader RM and was very impressed with his rapping. 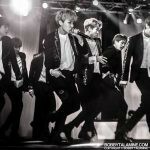 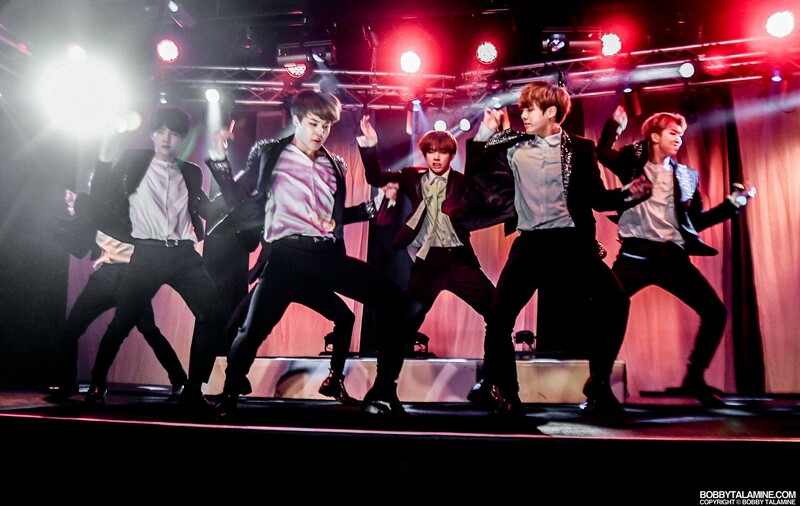 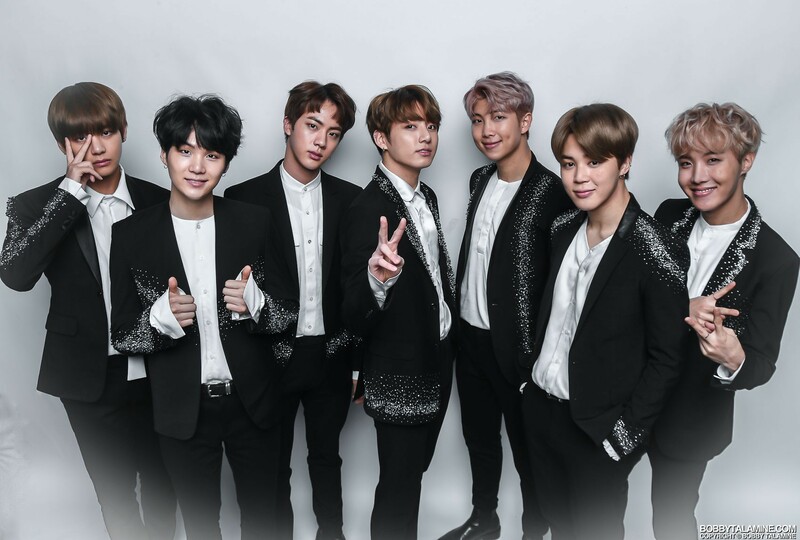 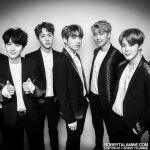 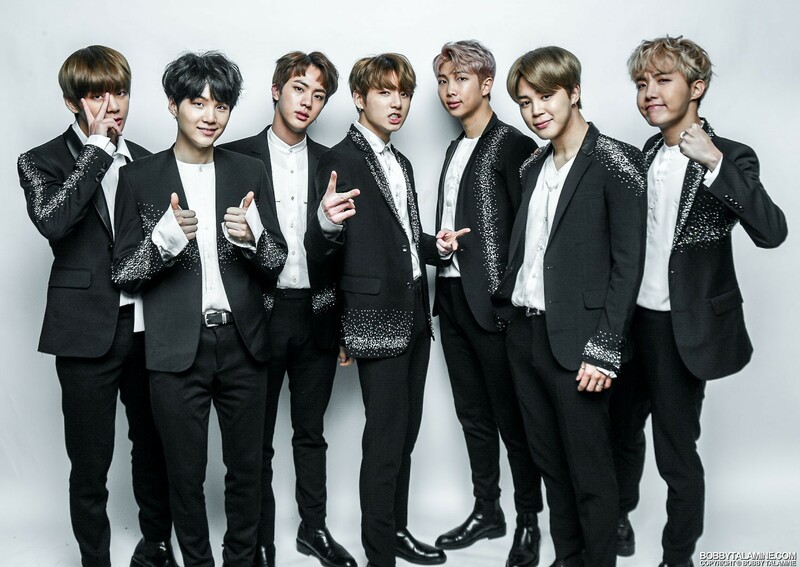 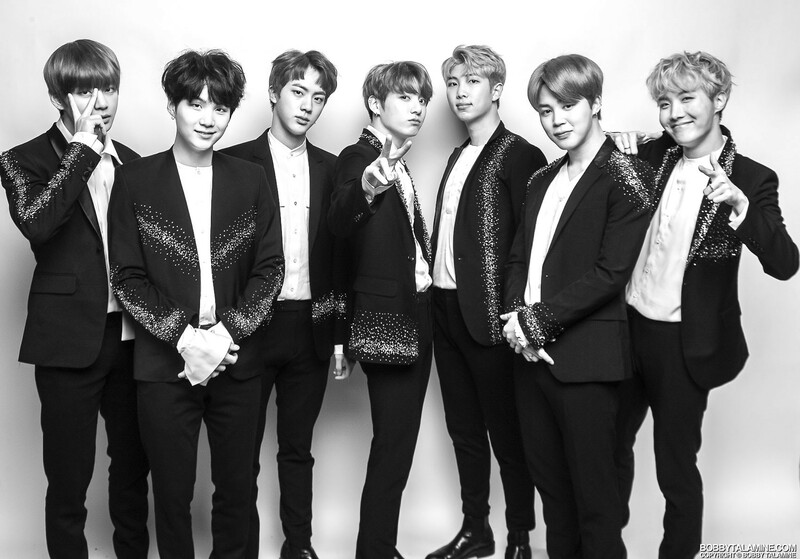 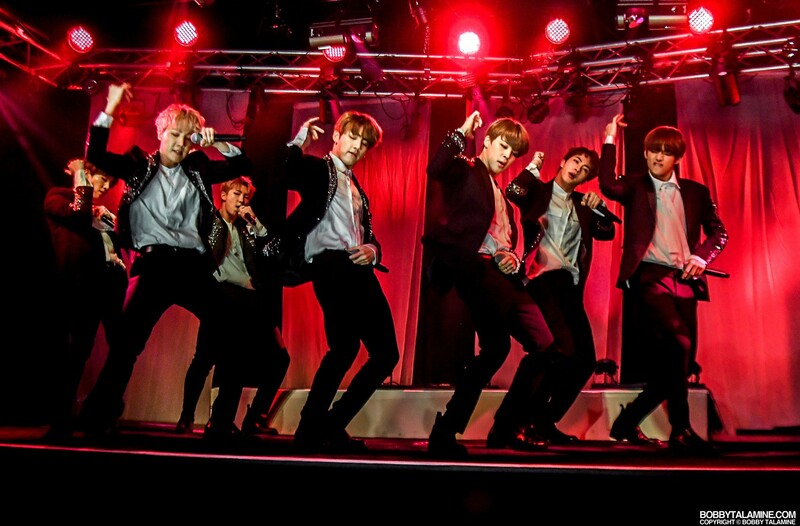 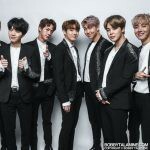 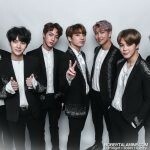 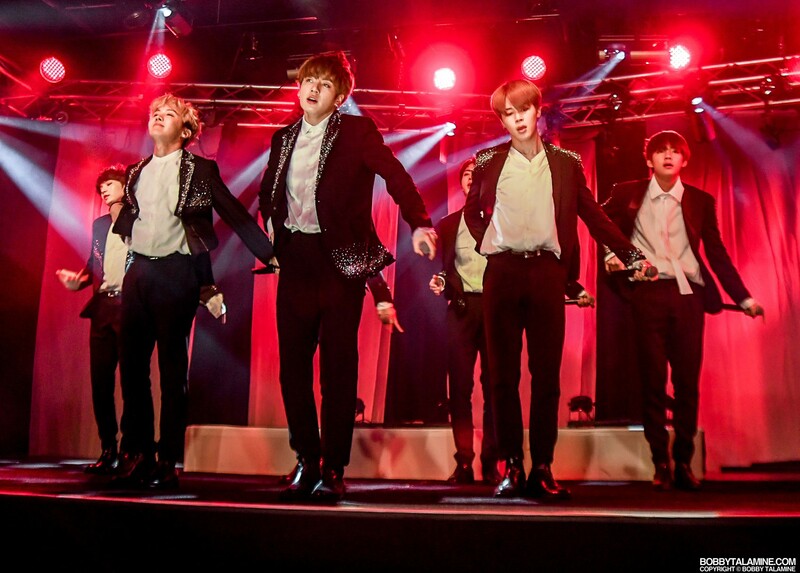 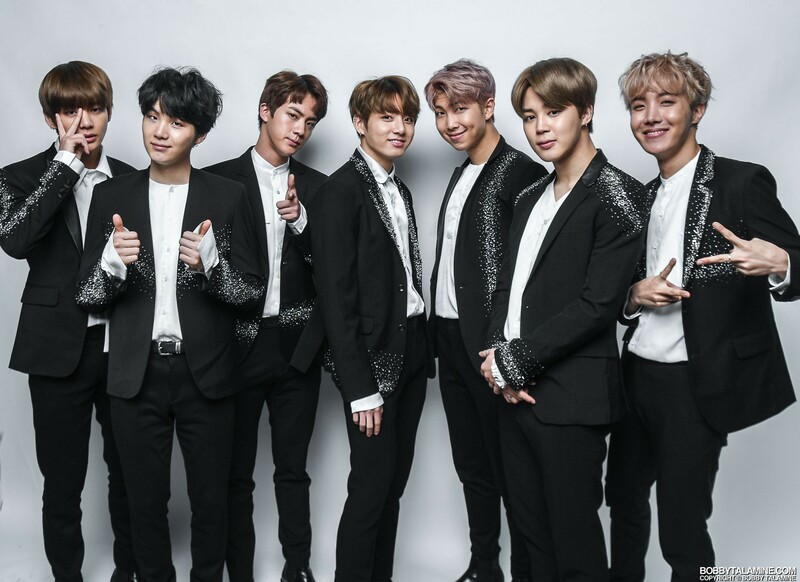 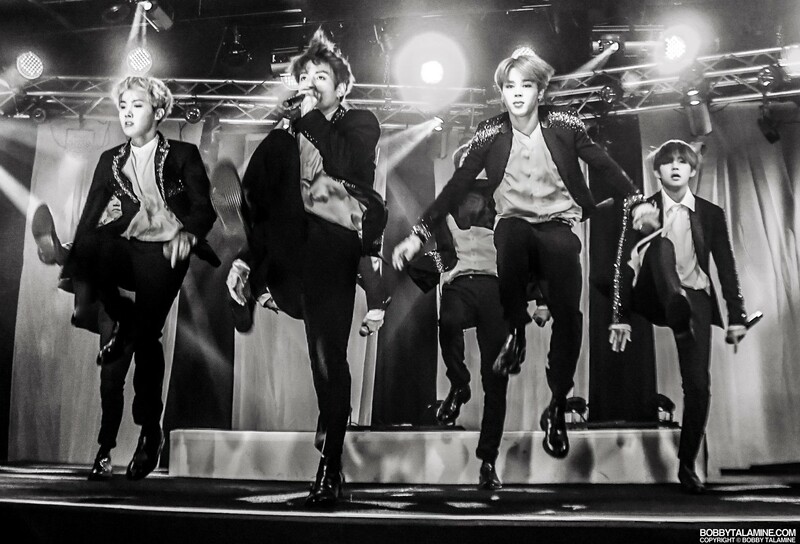 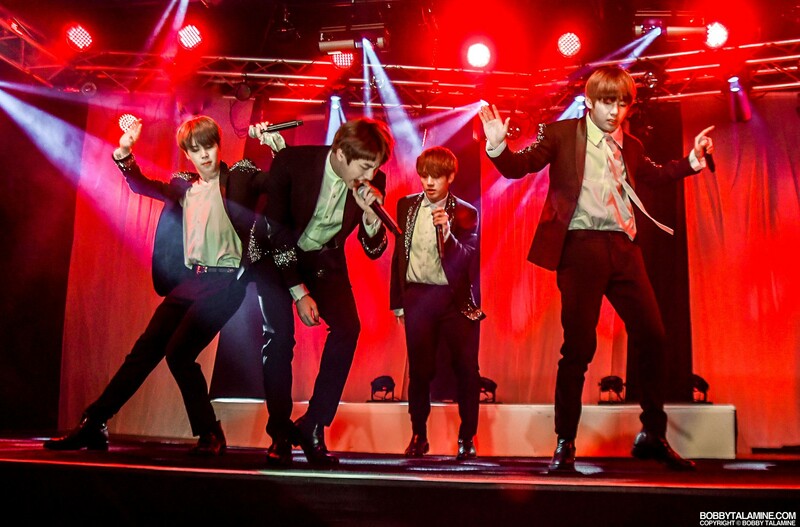 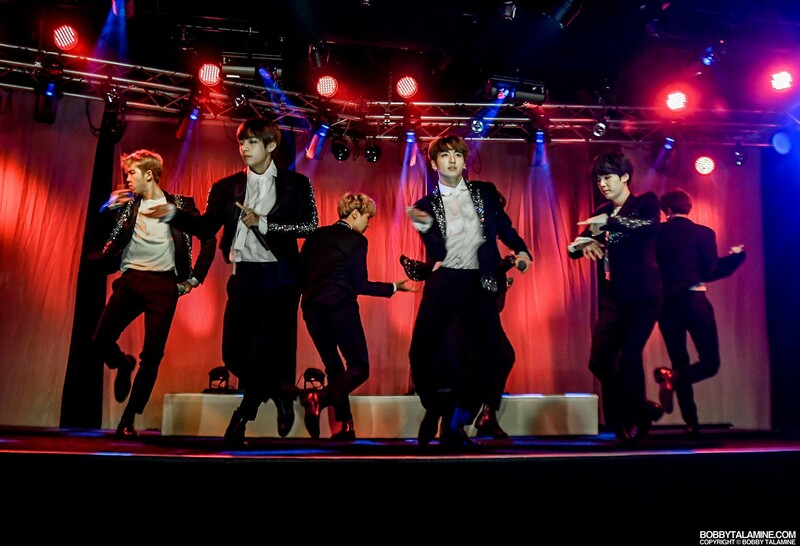 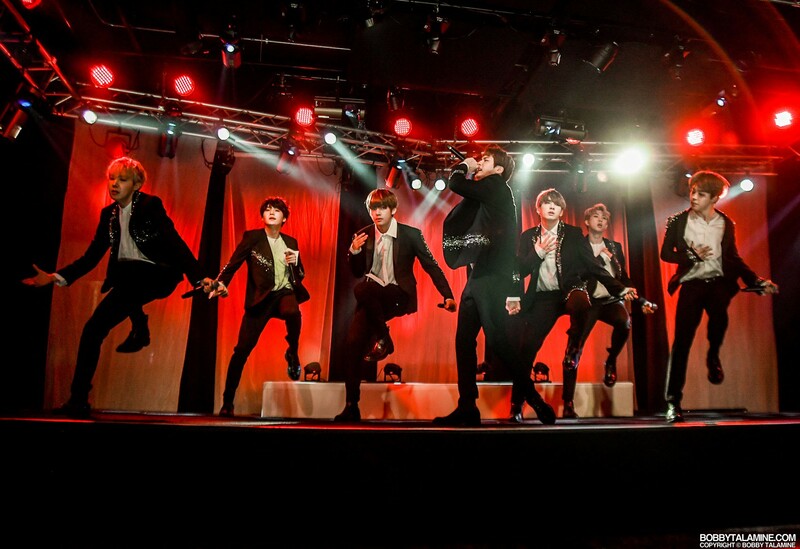 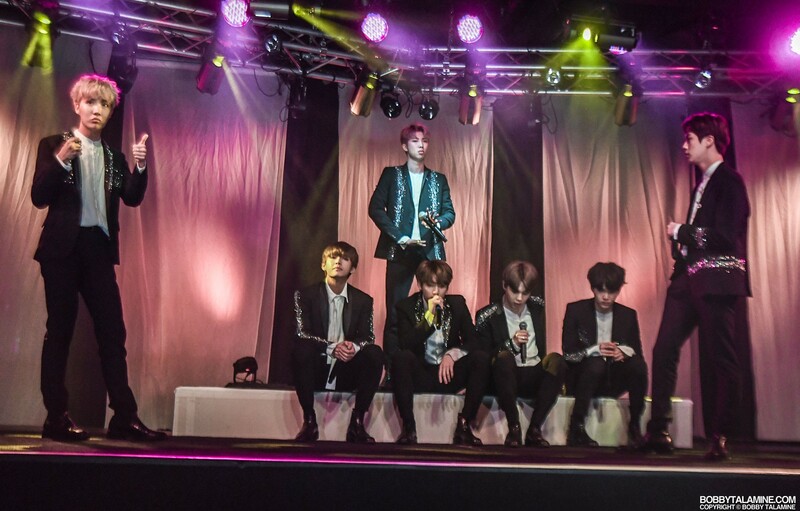 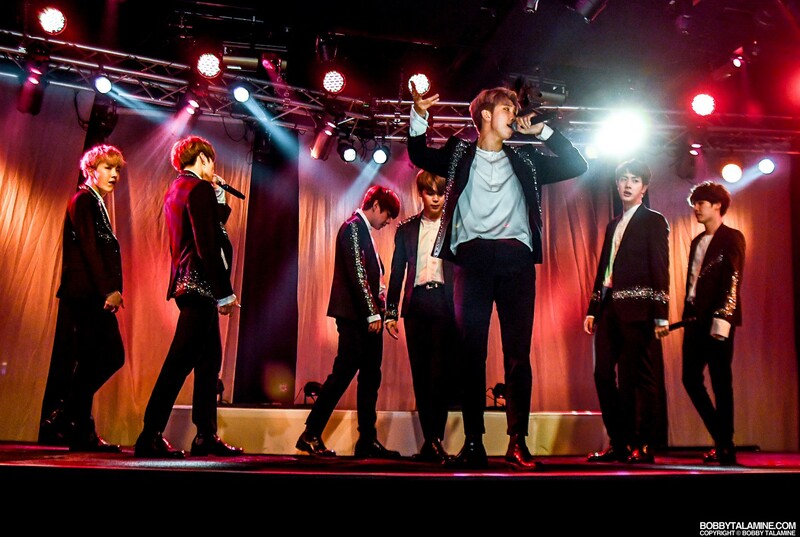 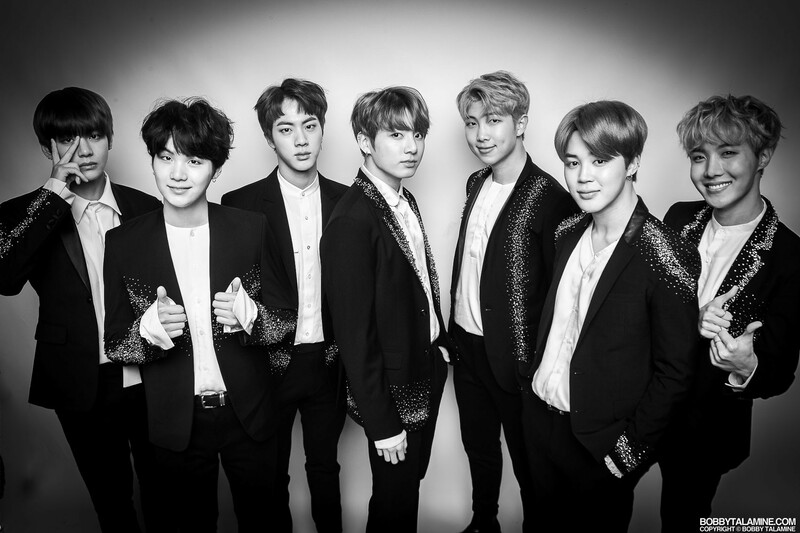 BTS since then, has become the largest boy band in the world since 2017, subsequently winning the Top Social Artist Award at the 2017 Billboard Music Awards, after receiving 300 million votes. 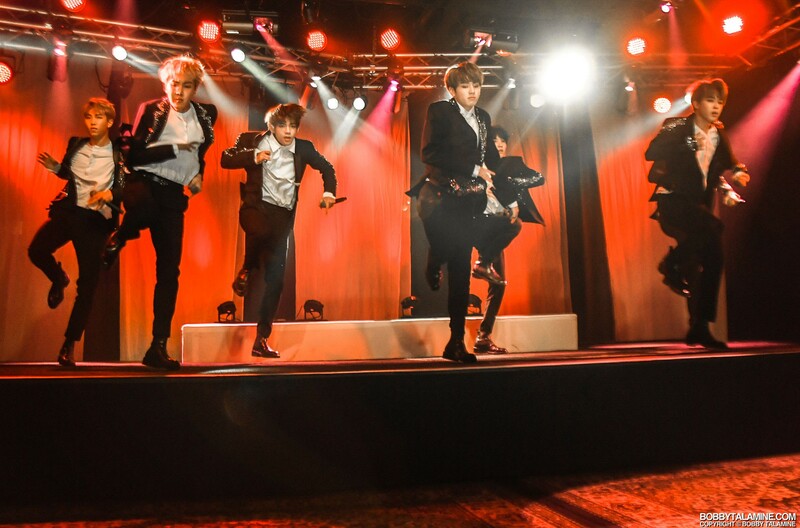 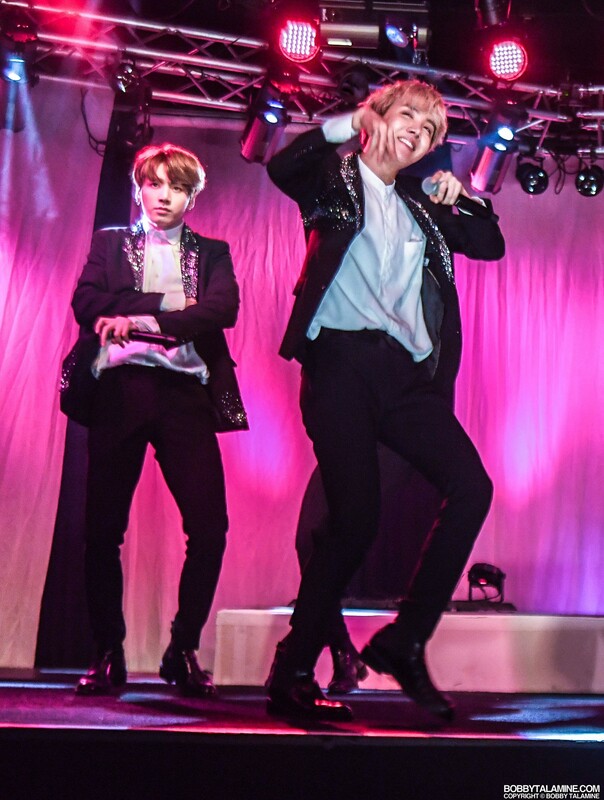 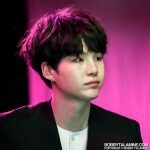 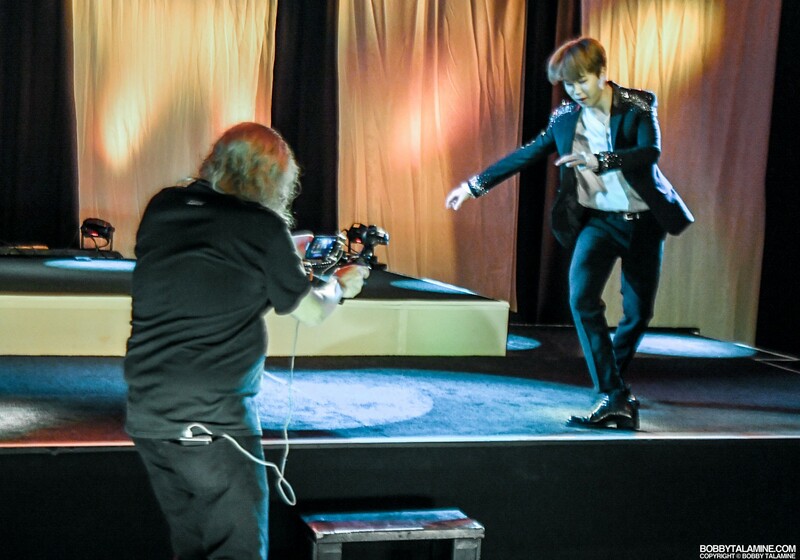 Anyone who remembers their presence from that award show also remembers the audience’s reaction anytime BTS were announced or onstage to receive their award- it was absolute hysteria, and incessantly loud, similar to the Beatles performing on Ed Sullivan back in the day. 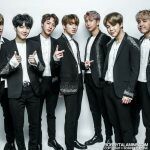 BTS also became the first Korean group to receive a prize at the American Music Awards, also winning the Favorite Social Artist Award. 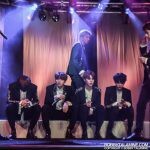 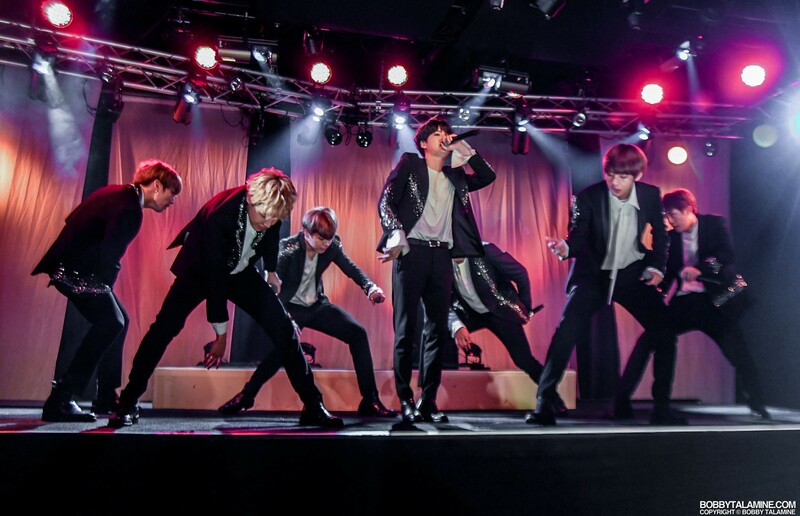 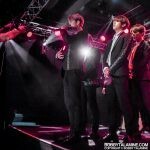 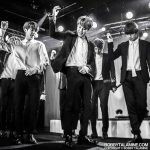 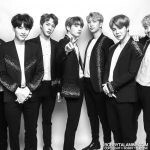 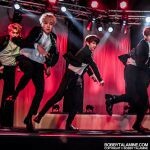 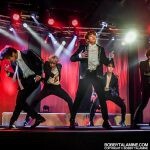 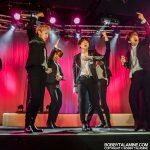 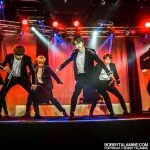 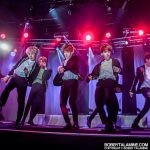 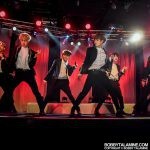 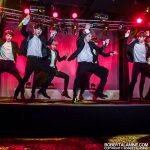 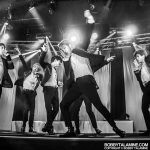 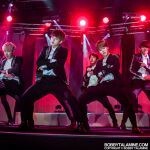 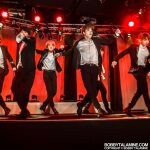 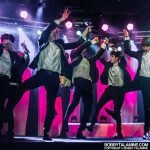 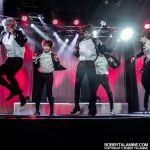 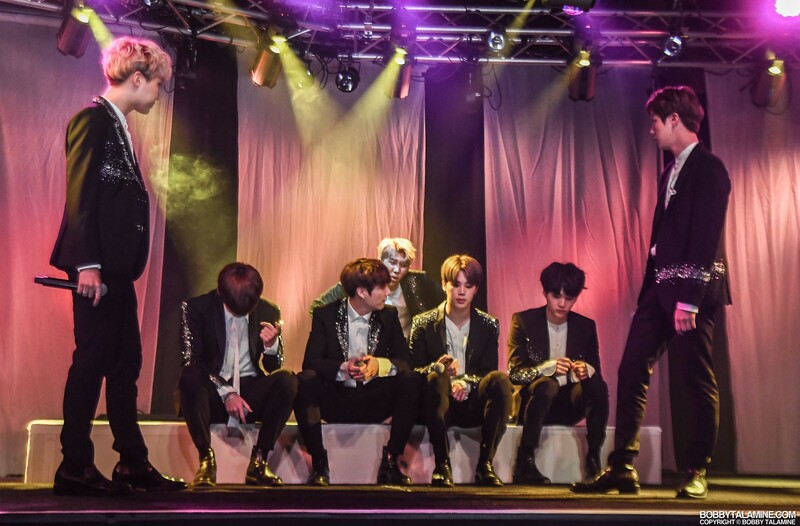 Back in 2017, BTS toured on their Live Trilogy Episode III: The Wings Tour, to promote their second album Wings. 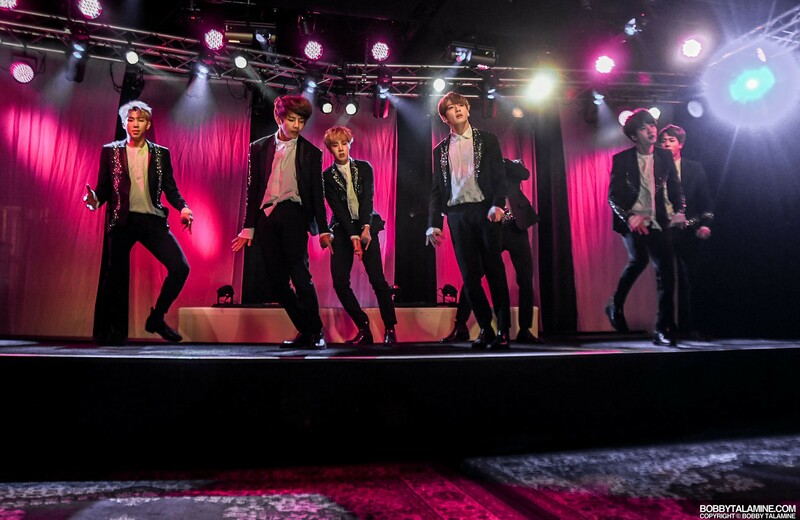 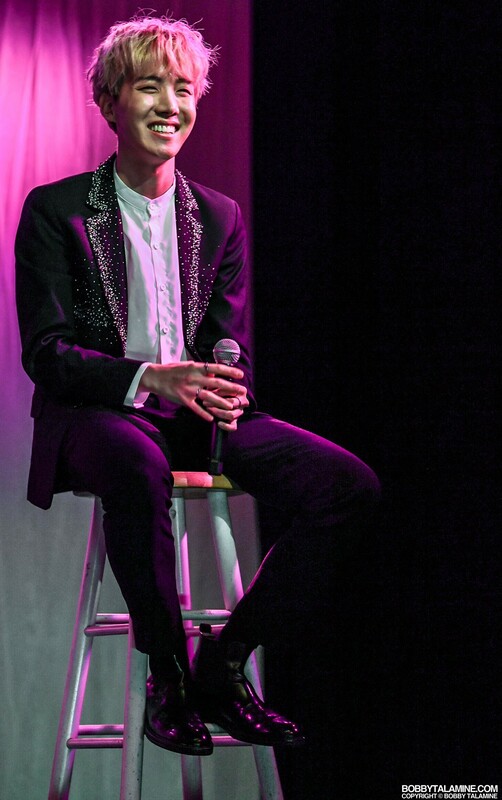 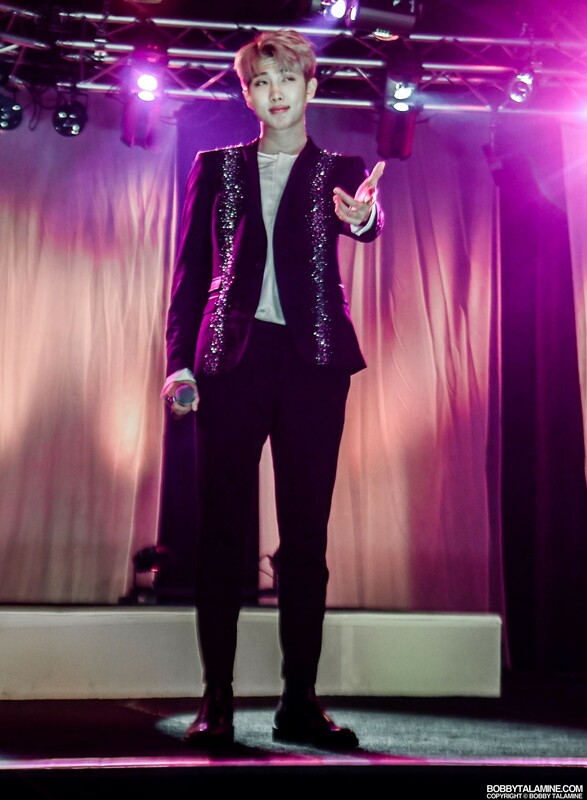 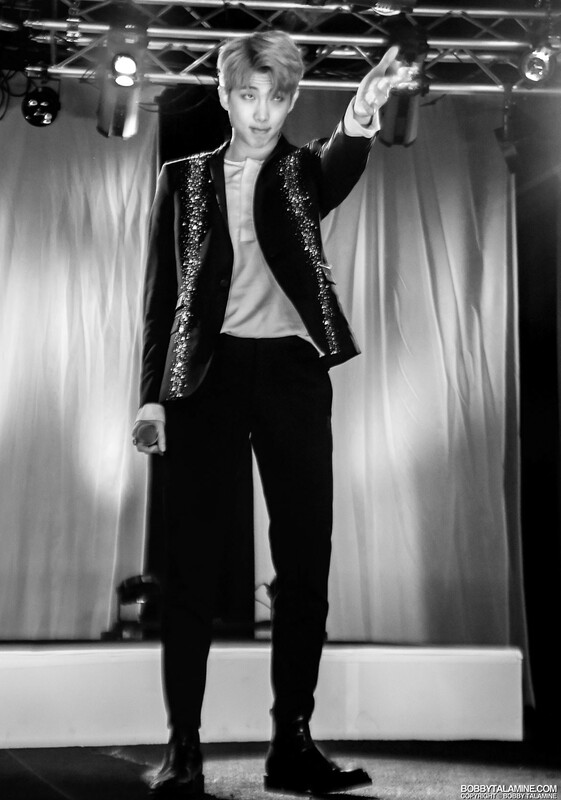 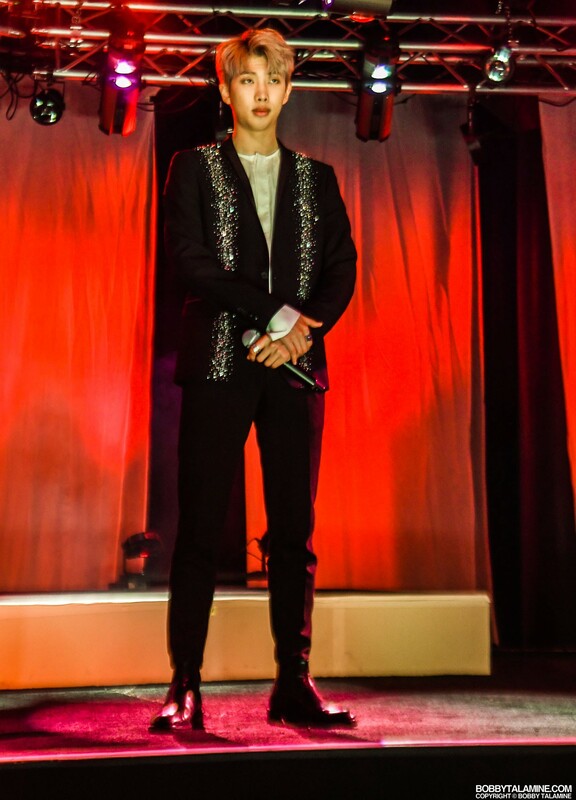 The tour began in February 2017, and concluded in December 2017. 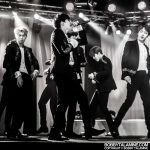 The tour made a stop at the Allstate Arena on March 29th. 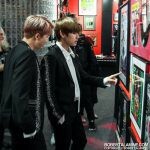 JBTV had them the day before for their Secret Show. 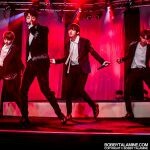 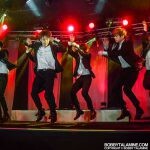 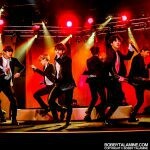 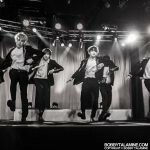 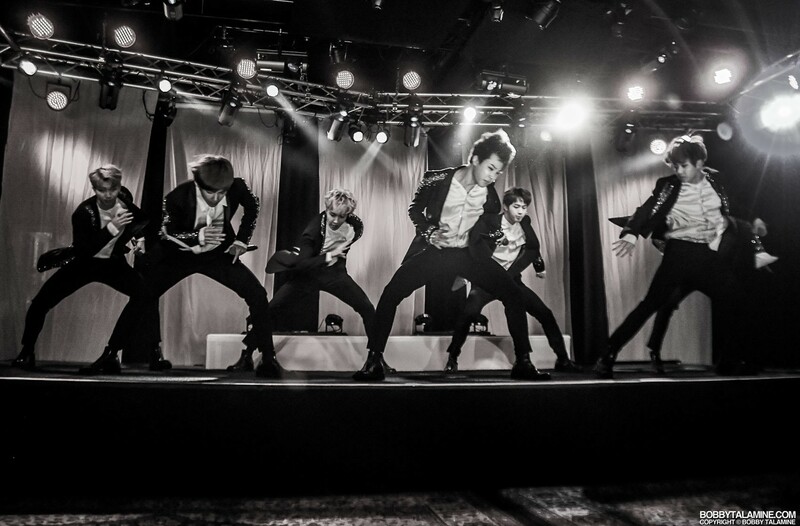 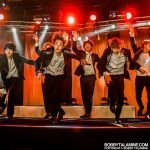 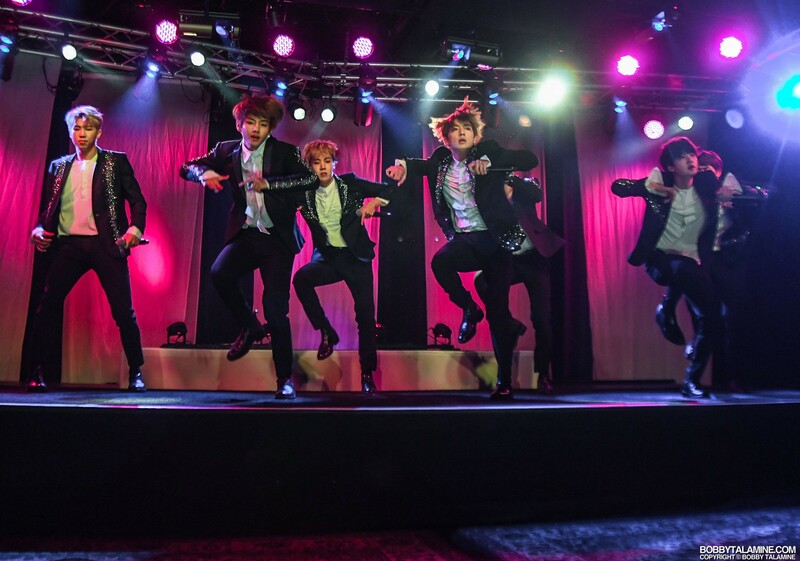 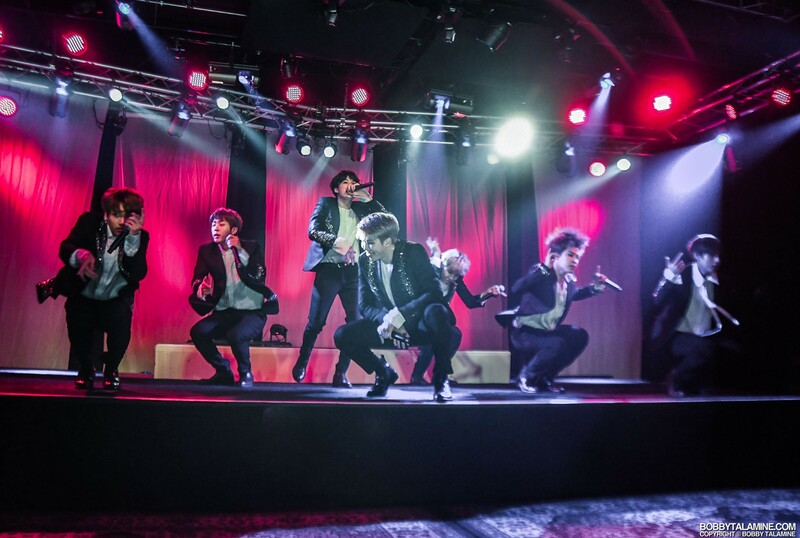 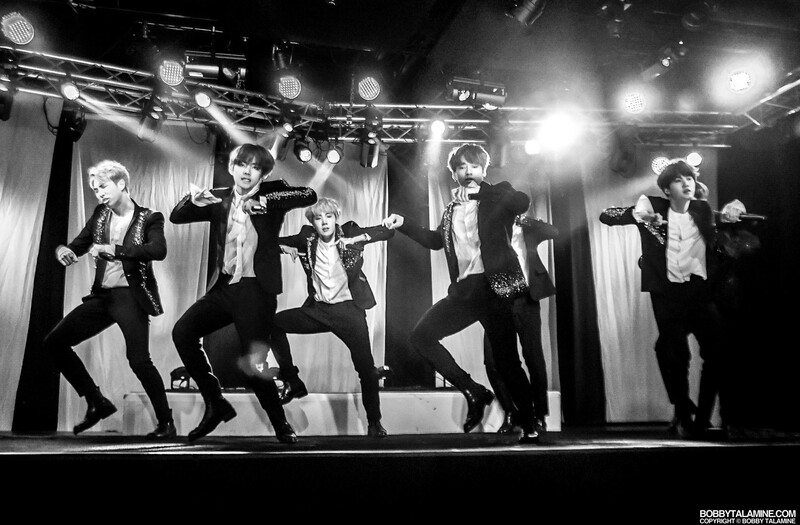 They came to JBTV to promote a new single from Wings, and to work out new choreography for the upcoming video release. 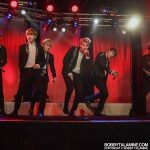 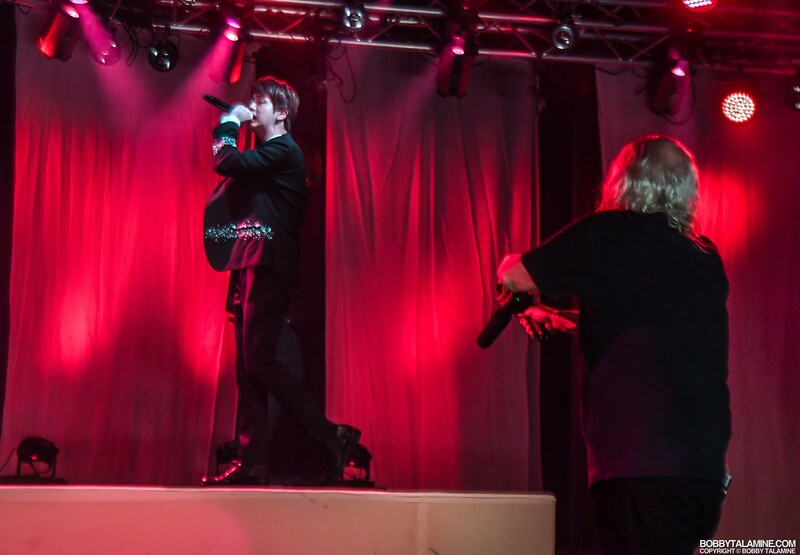 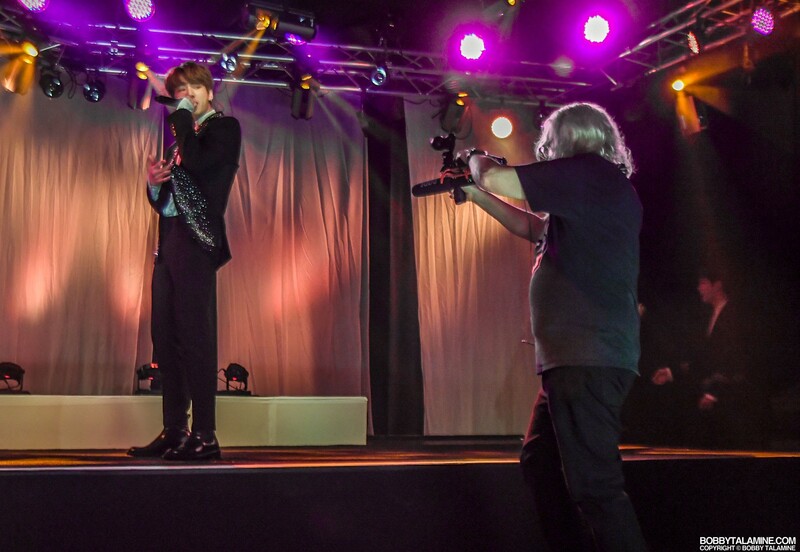 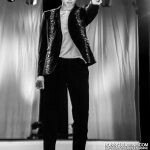 There was much intricate choreography, as well as a chance to showcase the band members individually. 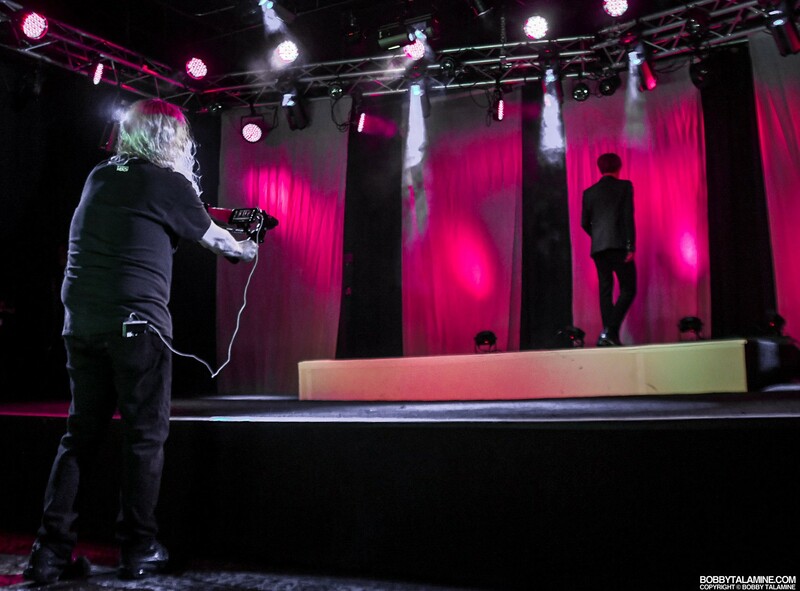 Lots and lots of professionalism and pageantry throughout. 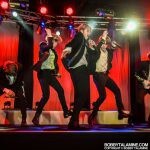 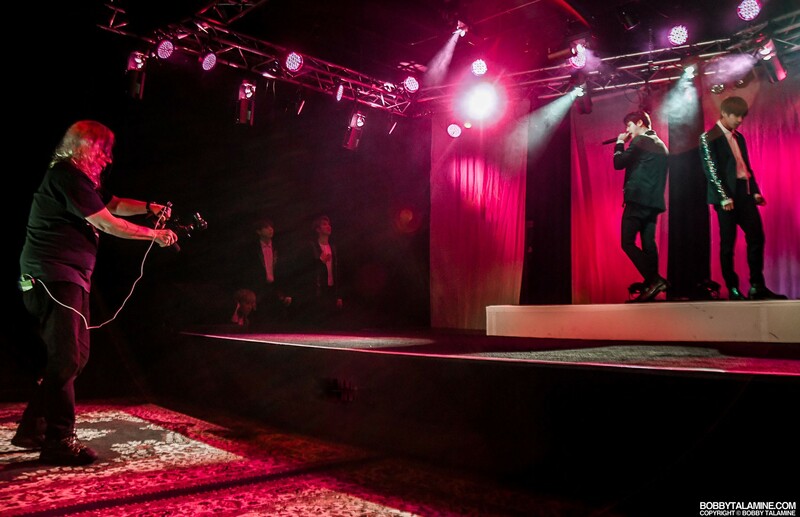 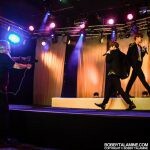 Amazing how they could accomplish all their unique dance moves on our intricate stage, in full suits and hard heeled shoes. 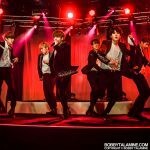 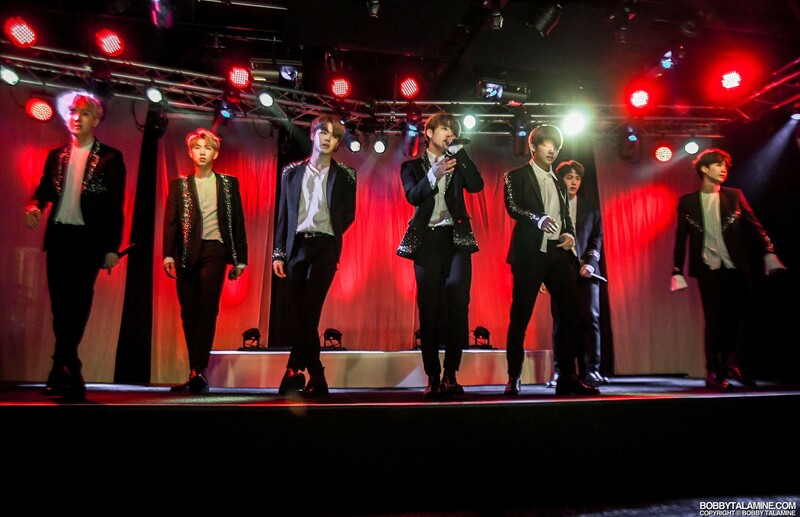 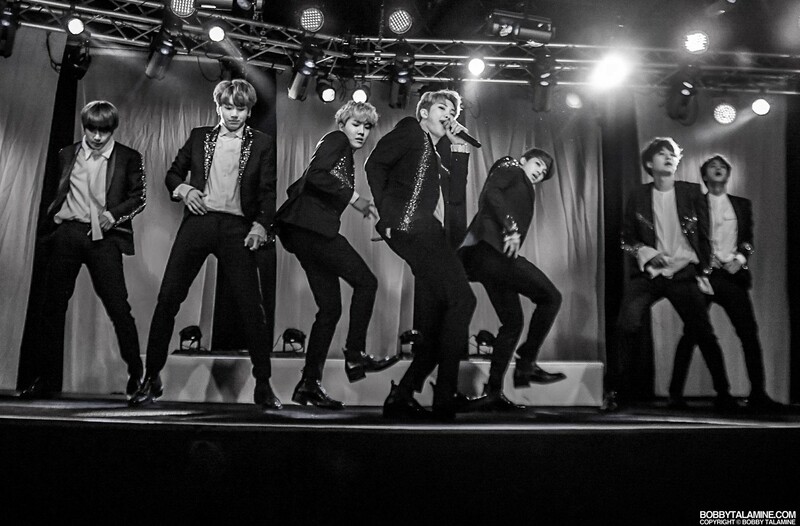 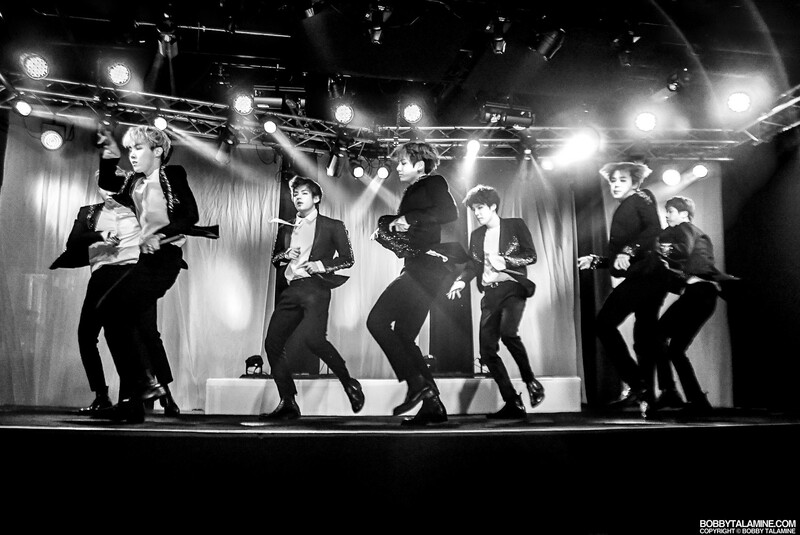 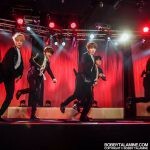 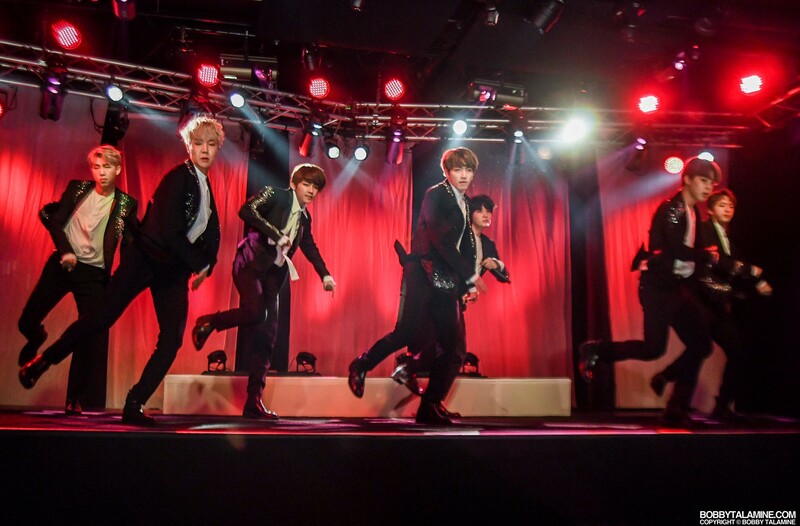 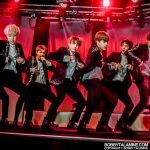 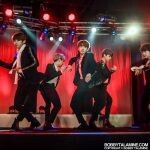 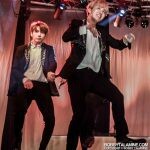 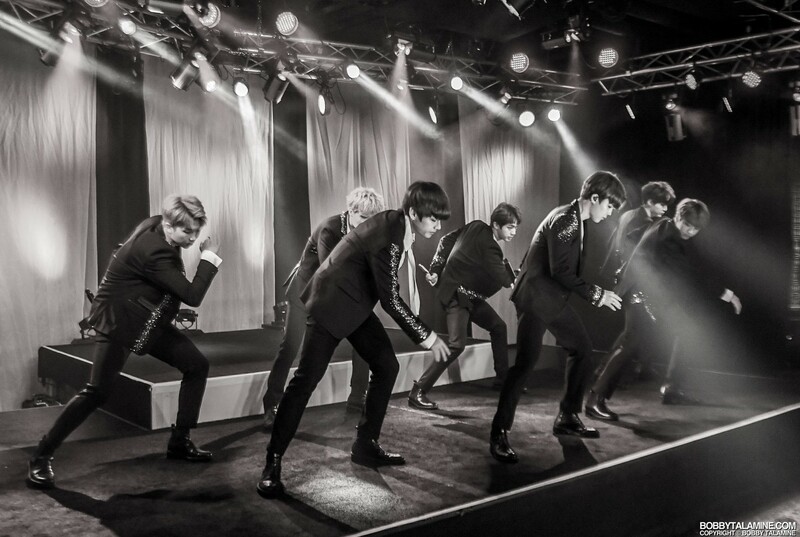 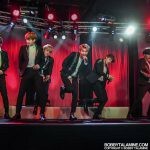 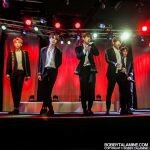 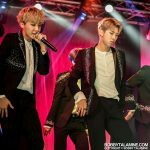 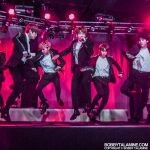 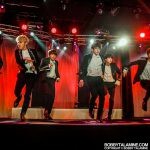 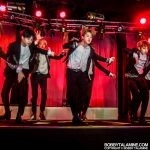 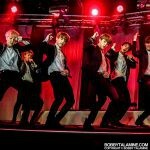 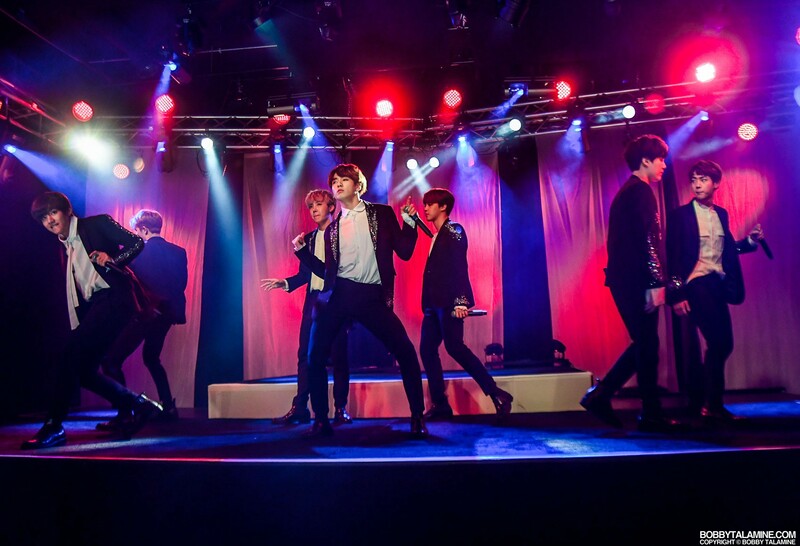 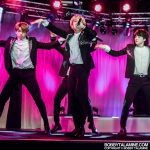 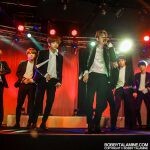 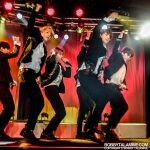 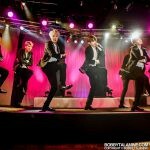 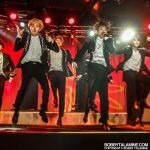 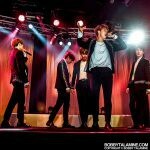 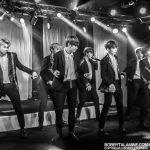 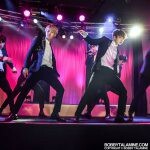 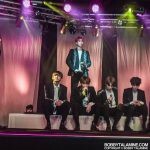 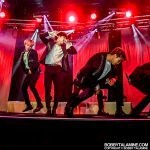 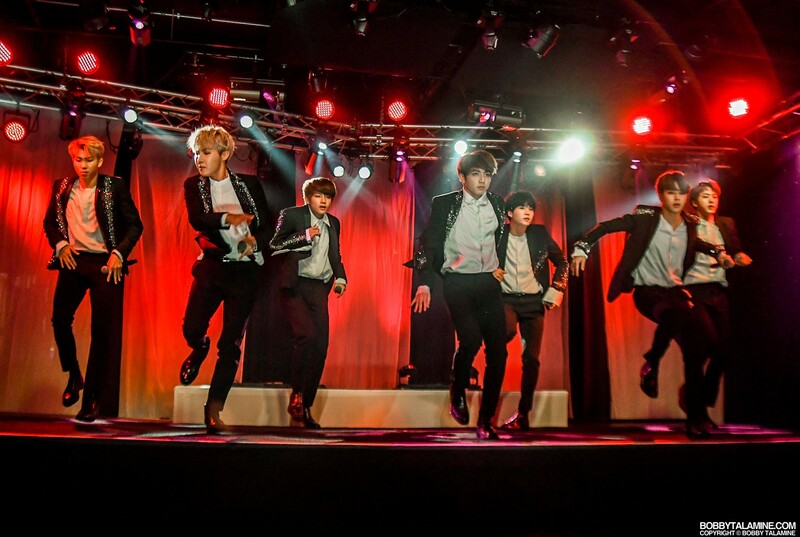 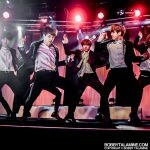 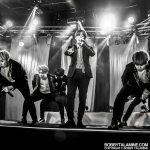 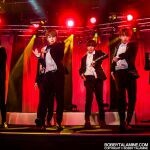 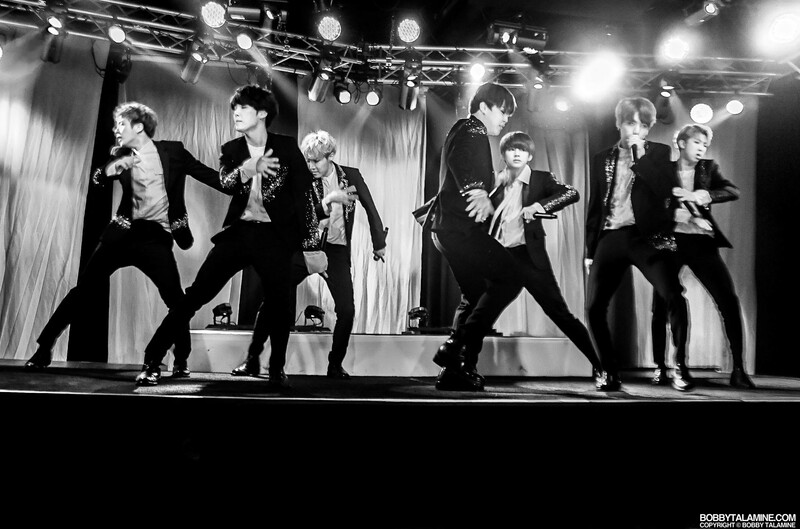 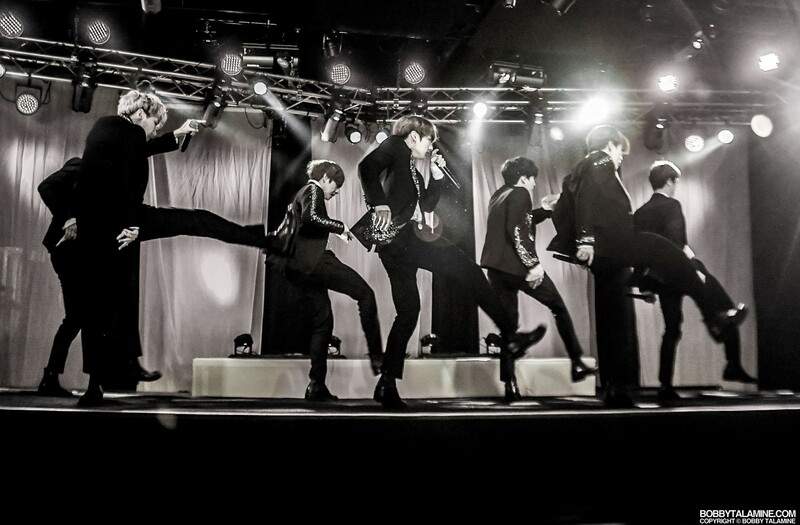 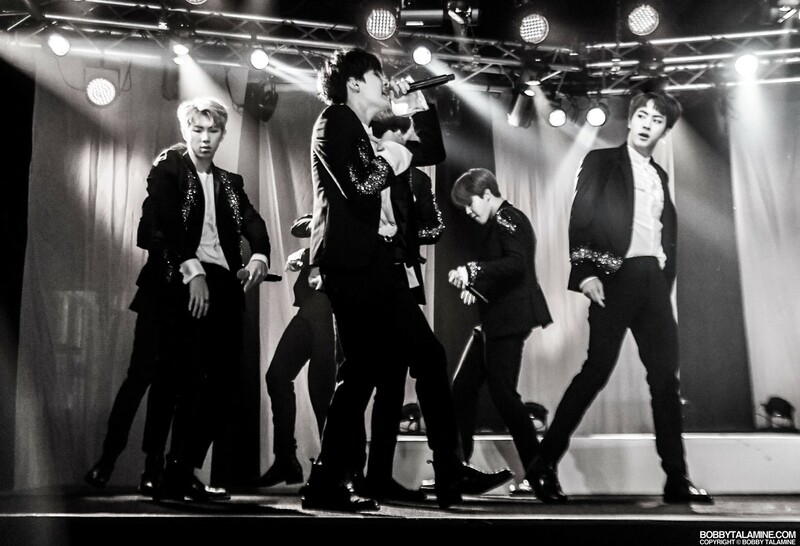 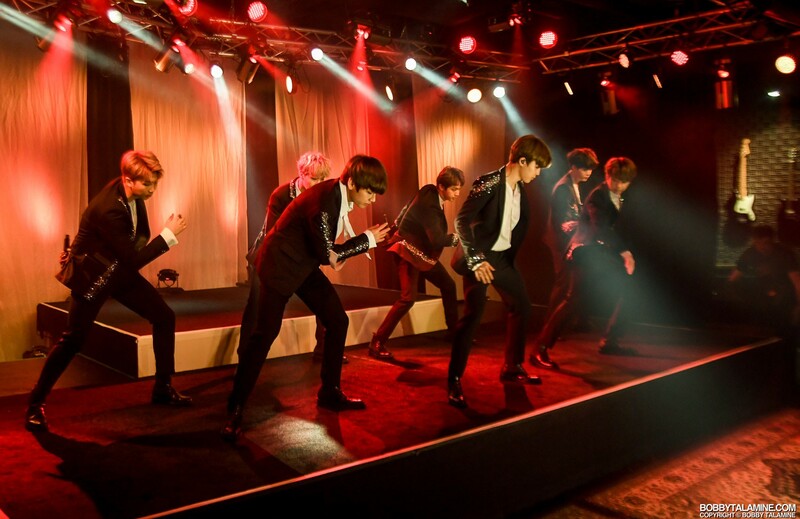 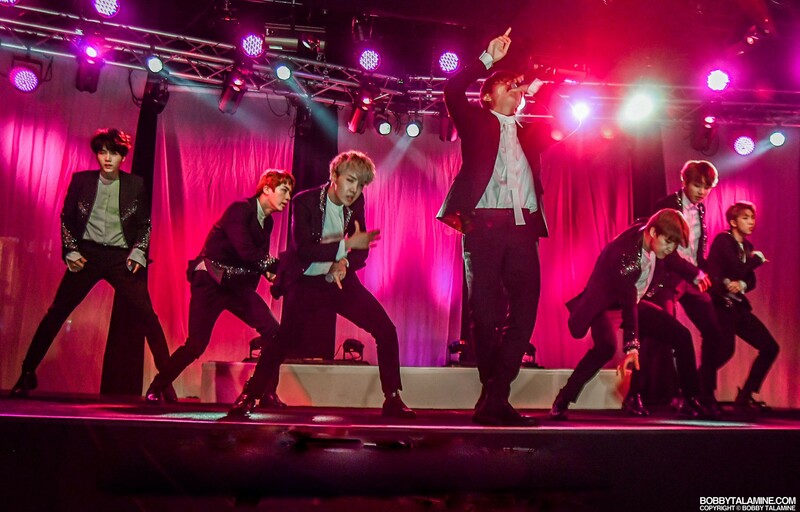 RM and BTS can size up any stage they perform on fast, and accommodate accordingly. 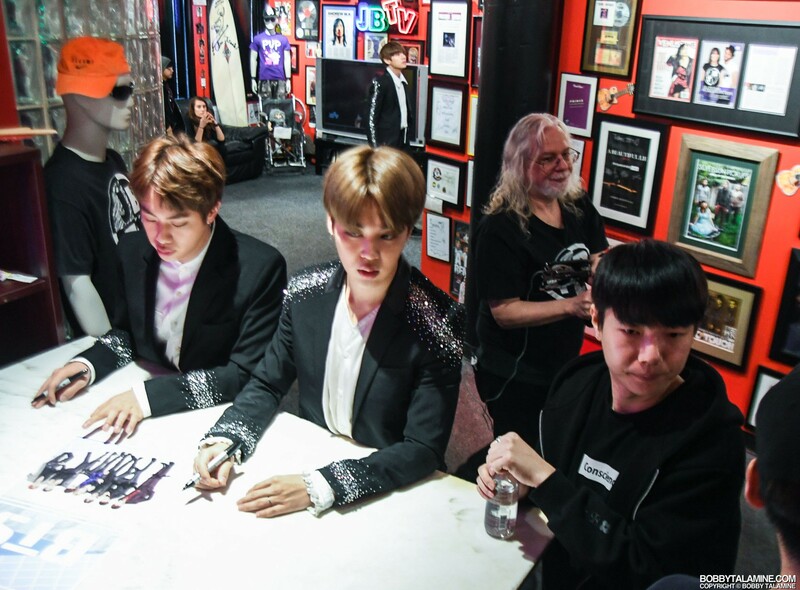 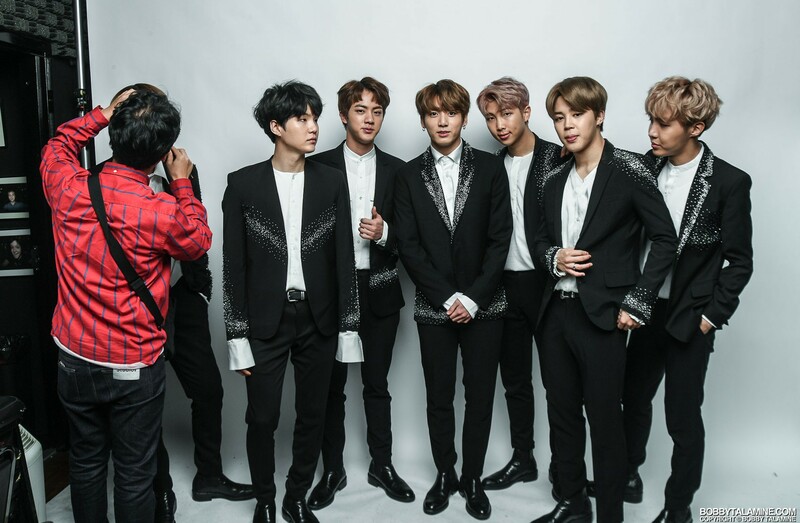 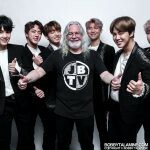 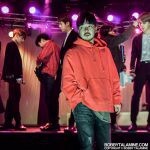 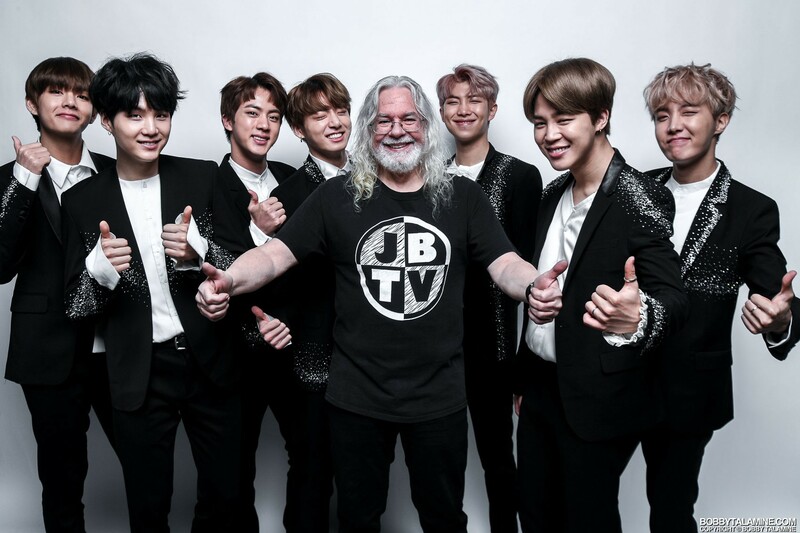 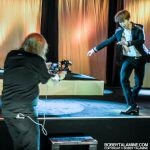 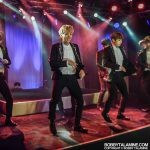 How impressive to have BTS at JBTV Music Television in Chicago, and to have the time for a pose session with me before their secret performance. 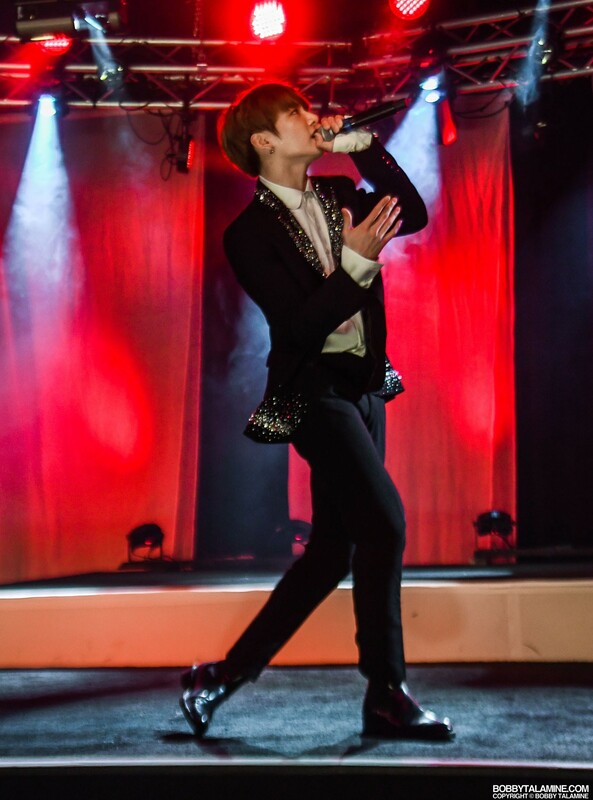 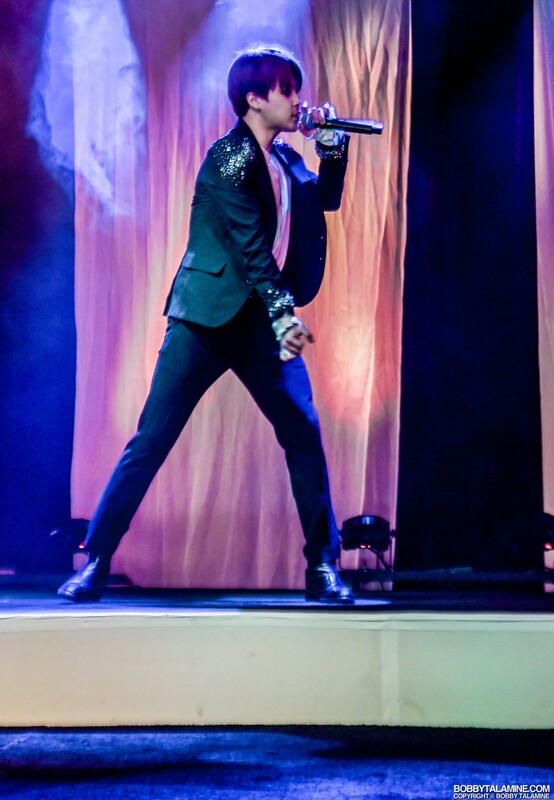 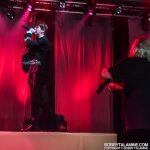 It was reported on this subsequent tour in 2017 that the audience’s screams reached an earsplitting 127 decibels, the loudest ever recorded at a few arenas on that tour. 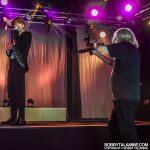 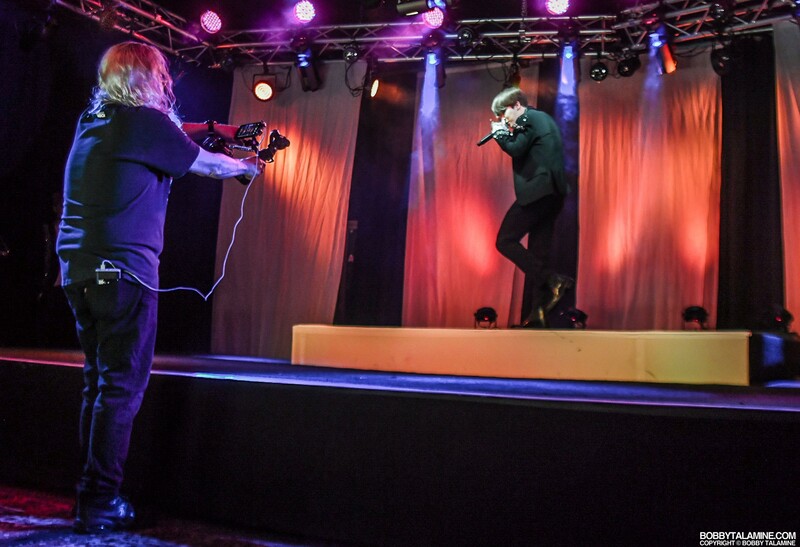 Positive reviews all around from me and the JBTV team. 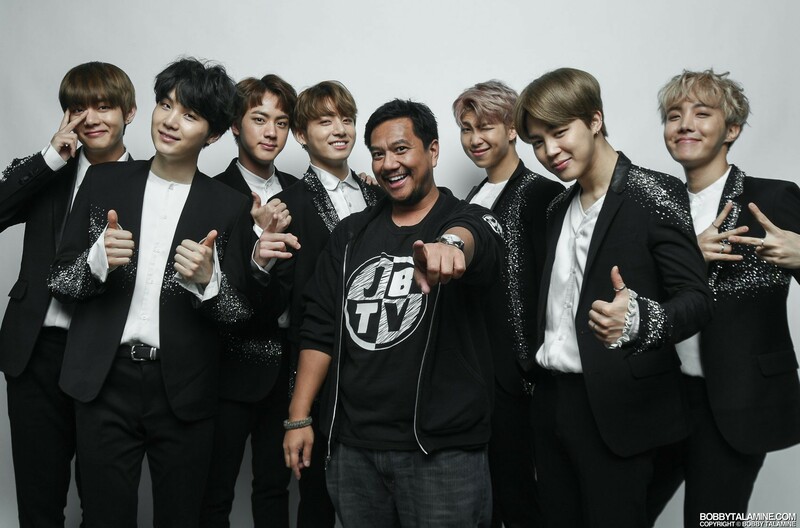 These guys are fun to work with, and have an innocence about them that doesn’t seem forced, or fake. 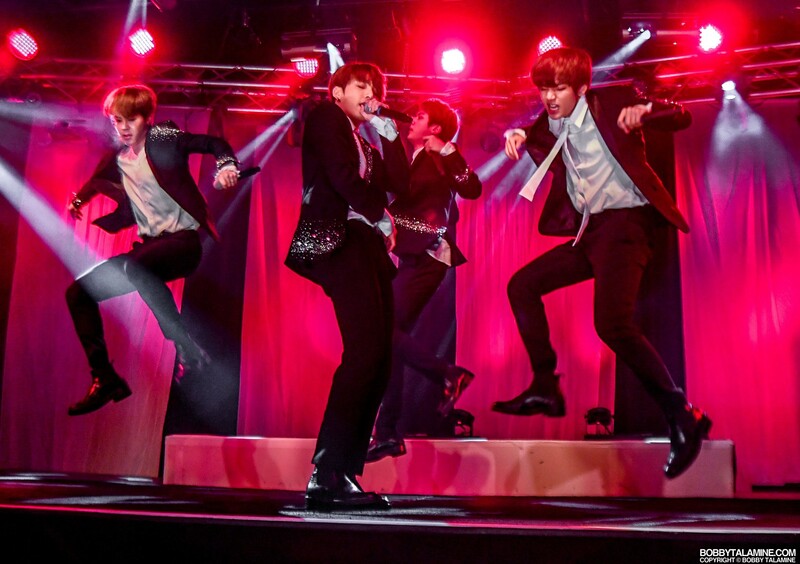 Now I get why they’re the biggest and most popular boy band in the world. 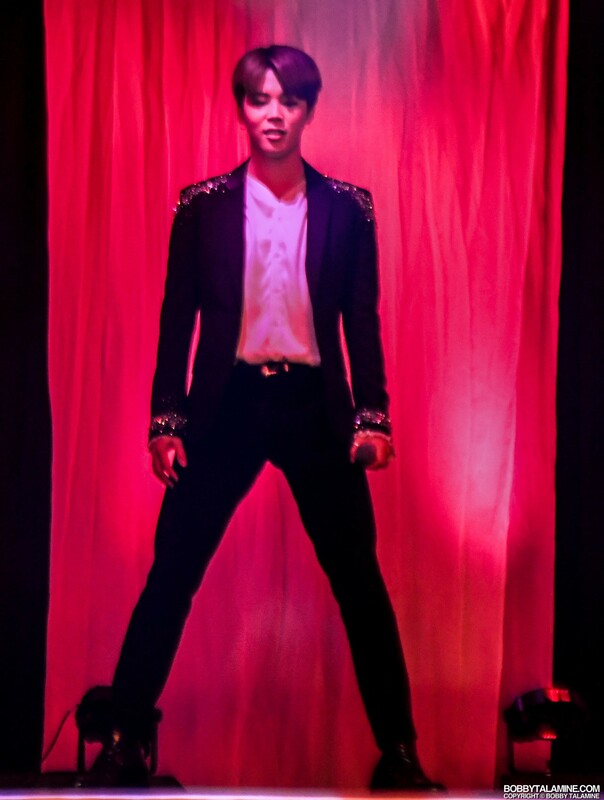 Dazzling group displays, plus they can push through any language barrier, no problem. 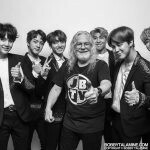 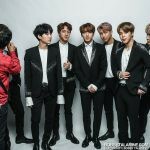 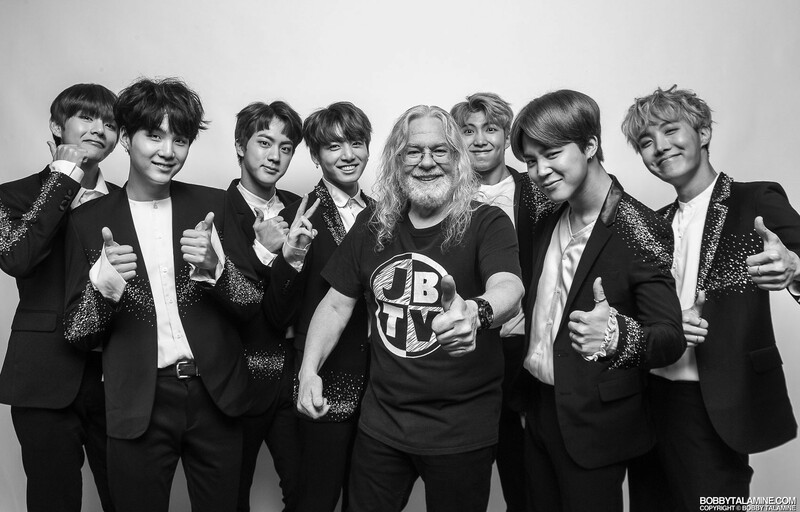 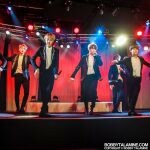 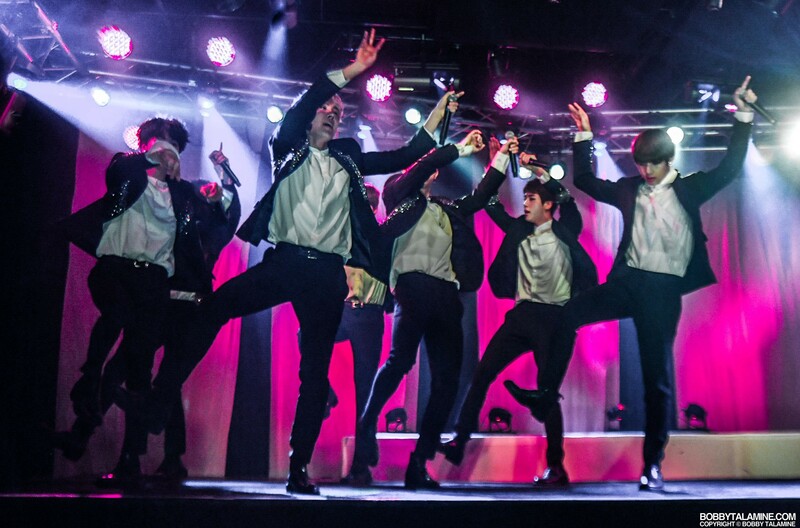 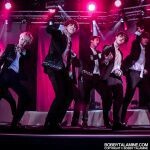 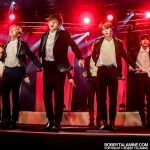 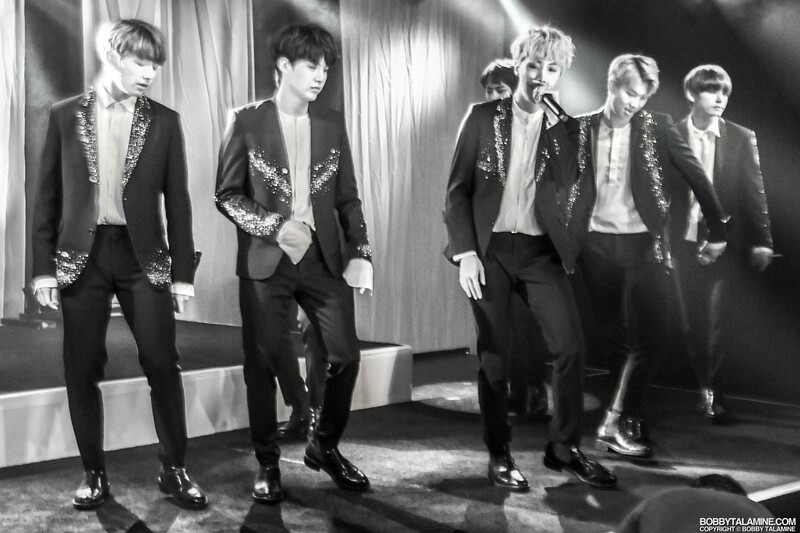 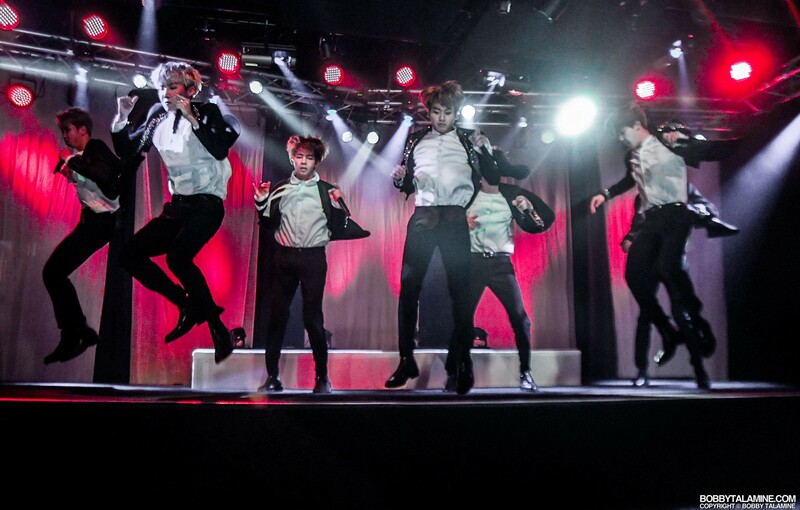 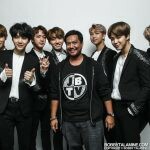 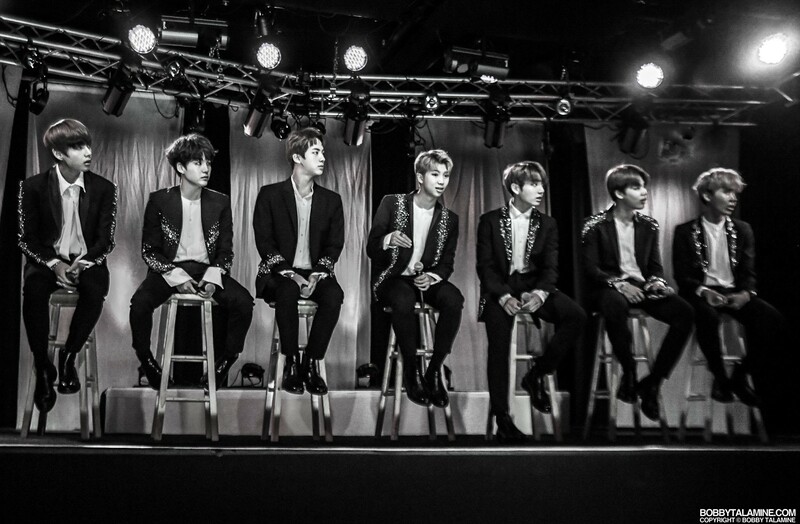 A true pleasure working with the guys from BTS.